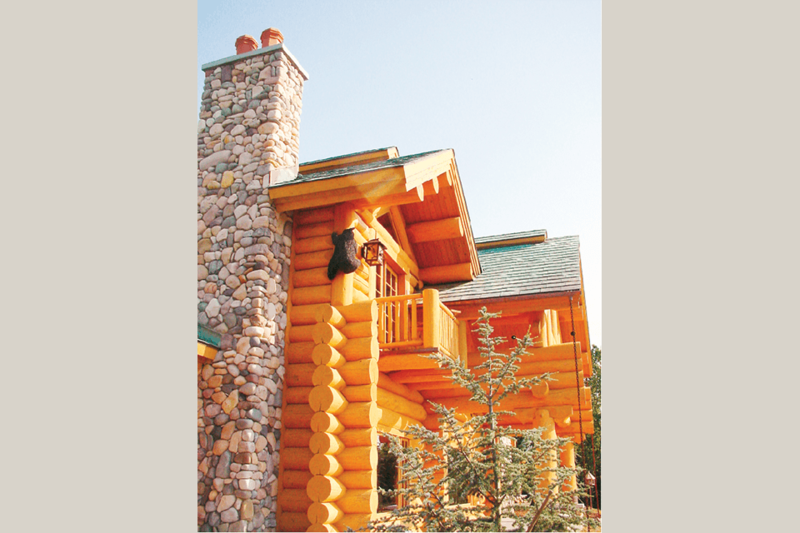 Step outside your log home to a natural extension of your living space! 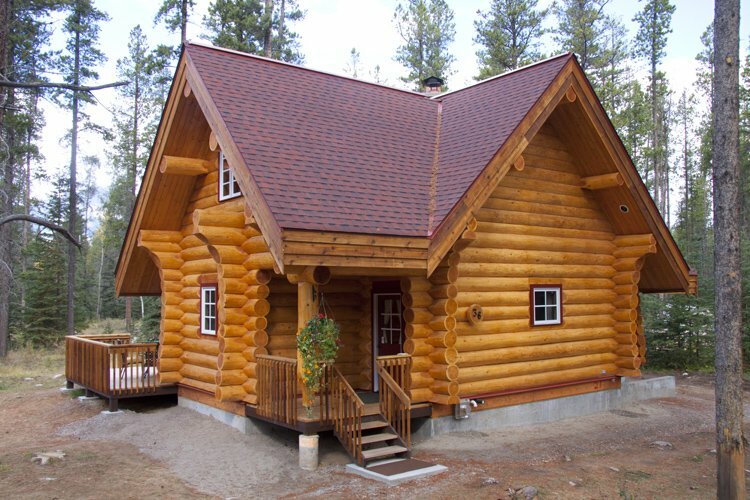 One of the strongest reasons people are drawn to log cabins is the close relationship between a log building and its environment. 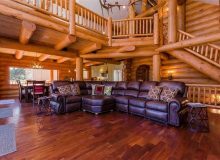 Handcrafted log homes showcase this beautifully since (unlike machine cut homes) each log retains the natural shape of the individual tree. 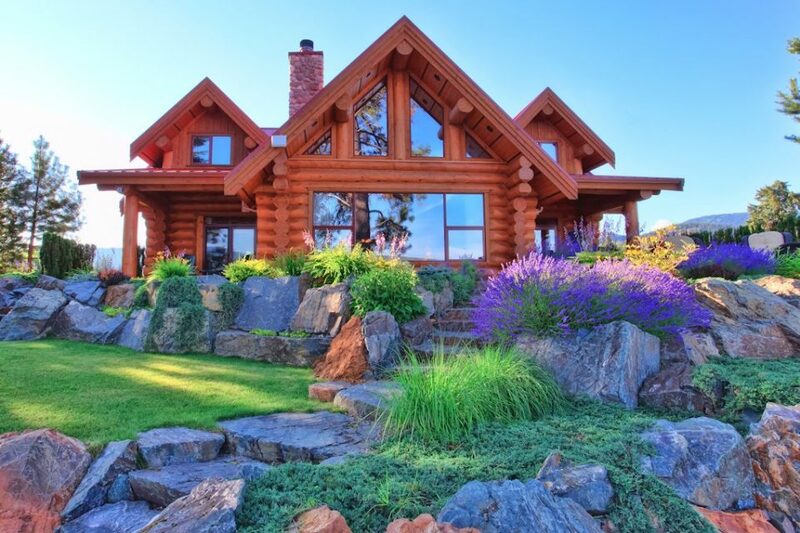 If you love log homes you’re most likely someone who appreciates the raw beauty of nature and you’re planning your log home to take advantage of its setting. 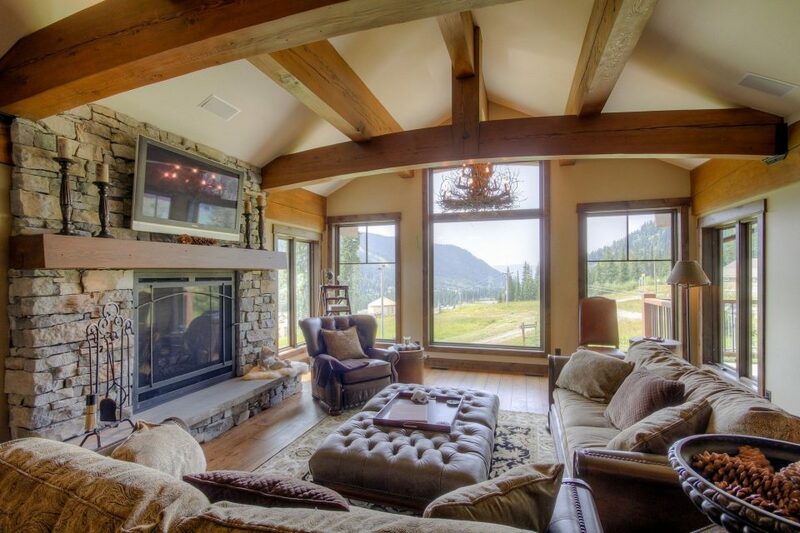 Carefully choose the placement of your windows to make the most of the view outside. 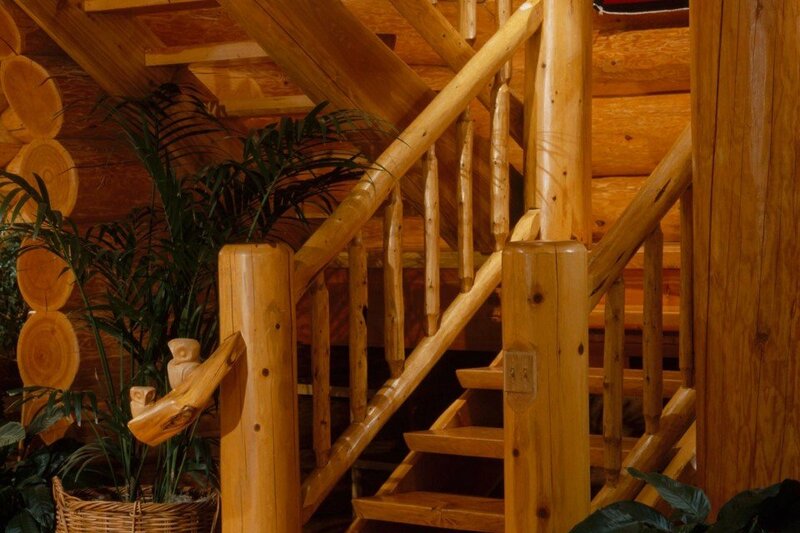 Most importantly, plan the location of your porches, patios, decks and balconies so you’ll feel as comfortable outside your log home as you do inside! 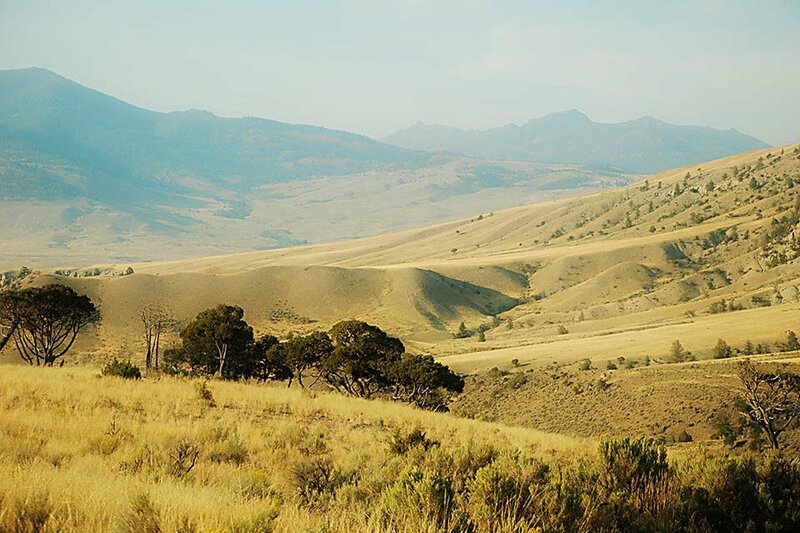 Aspect/exposure: What direction will you face? 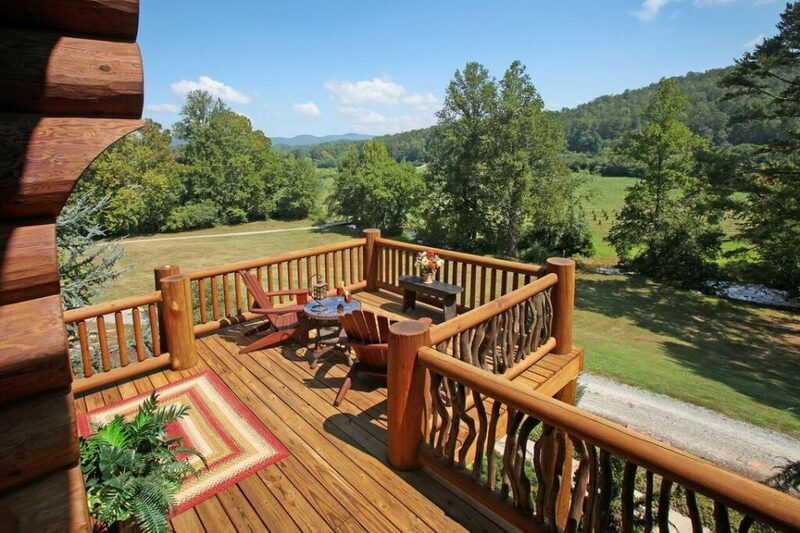 Will the sun be pleasantly warm or unbearably scorching at the times of day you’ll want to be on your porch or balcony? 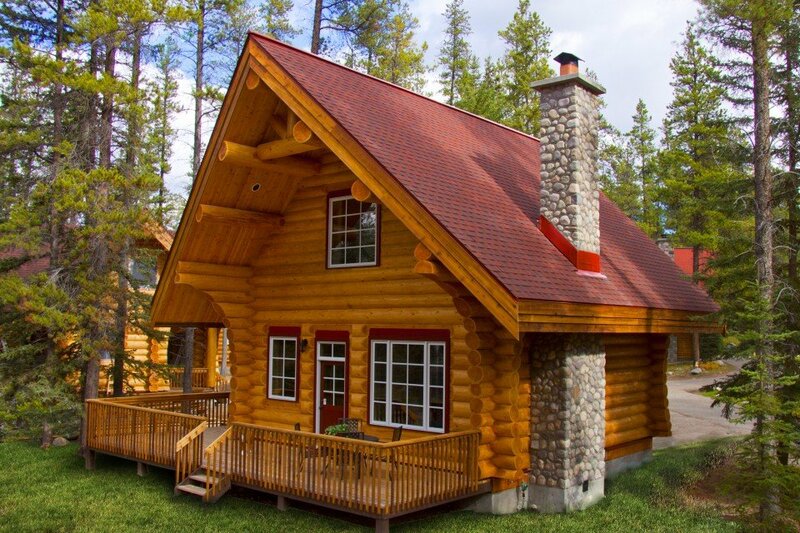 Will you need roof cover for shade? 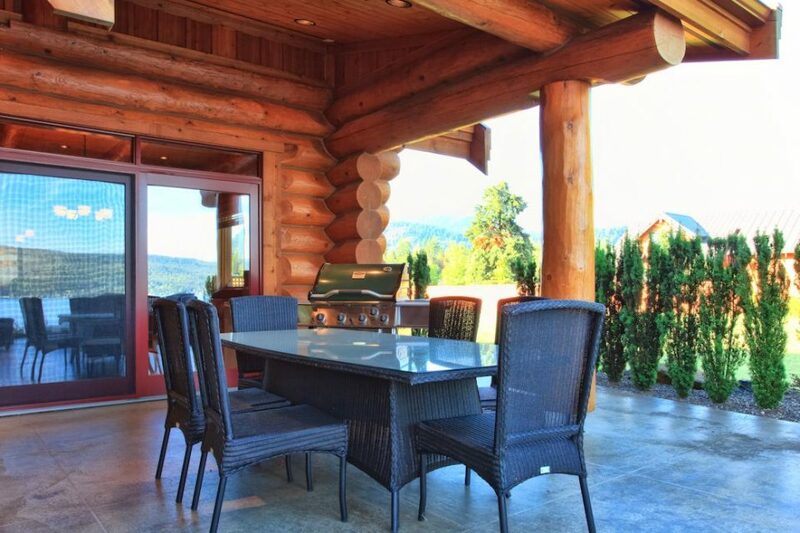 View: Make sure to overlook your favourite scenery from your outdoor living space! 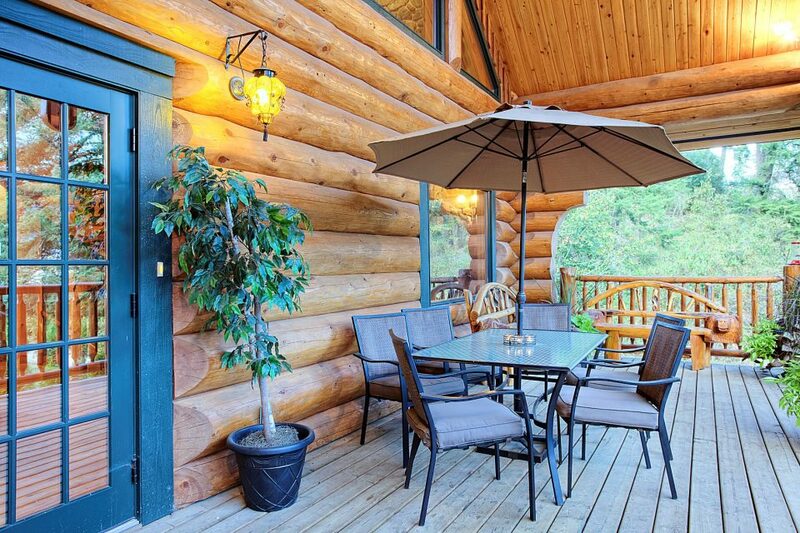 Do surrounding trees screen and shade effectively or will you need to remove (or plant) a few for best effect? 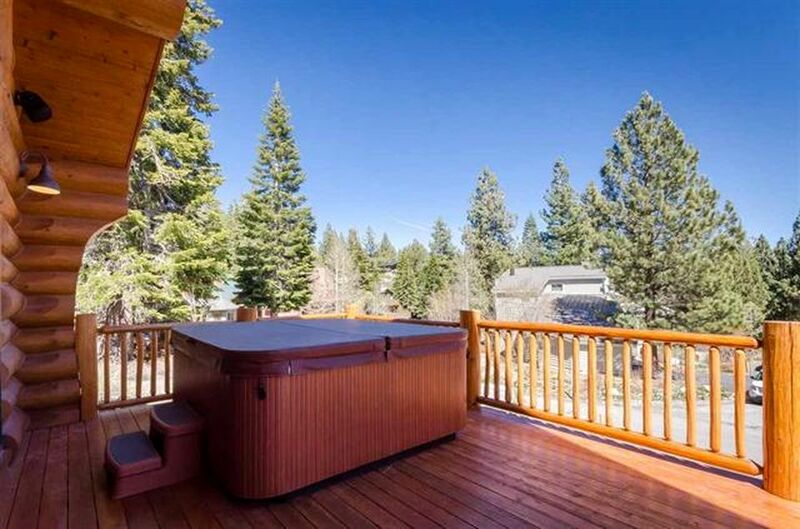 Proximity of neighbours: How much privacy will you have from your patio hot tub? 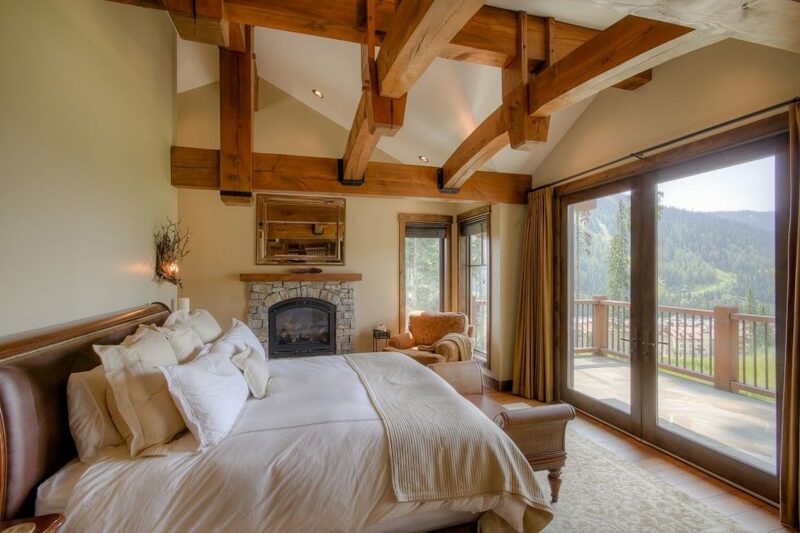 You might need to adjust your floor plan so that the deck outside your master bedroom won’t be on full display from the windows next door. 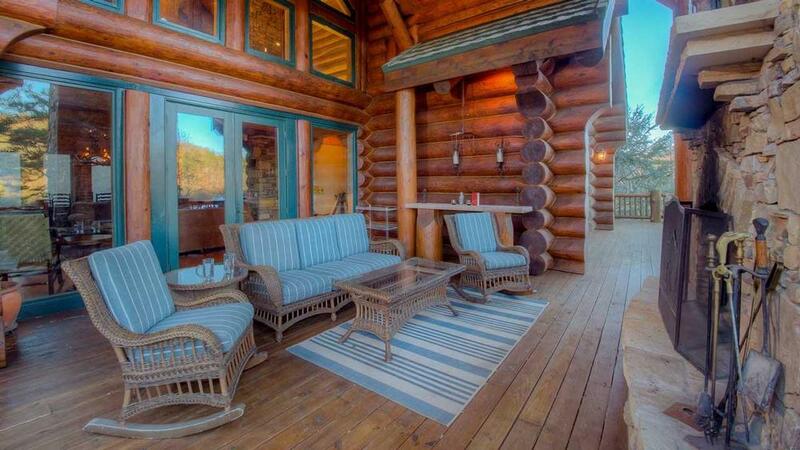 Outdoor living means something different to everyone. 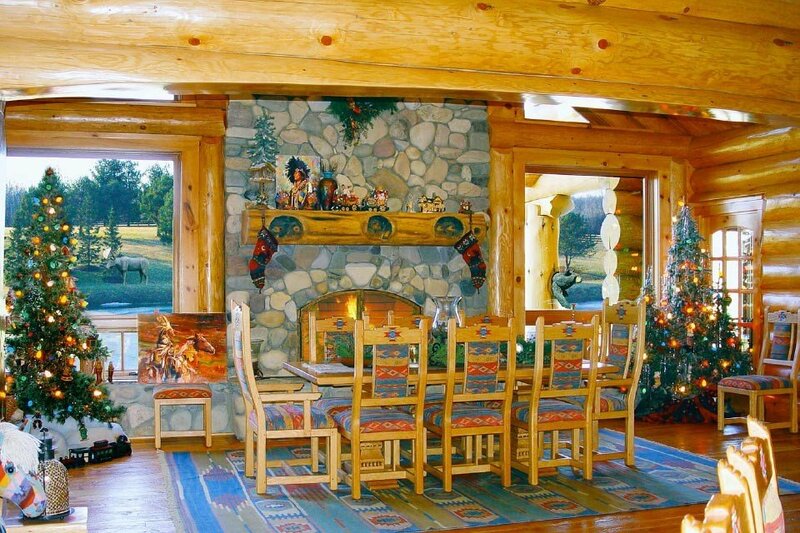 Do you imagine a simple rocking chair or a rustic bench on the front porch of your log cabin? 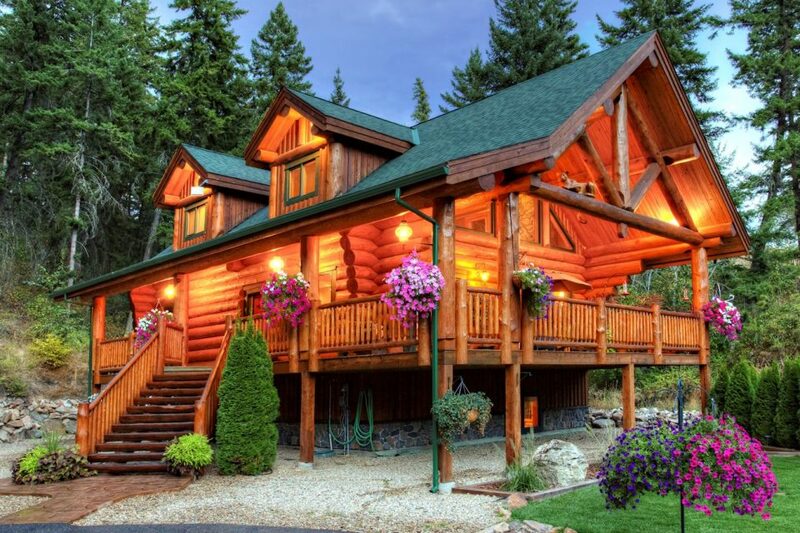 Or are you dreaming of a luxury backyard retreat? 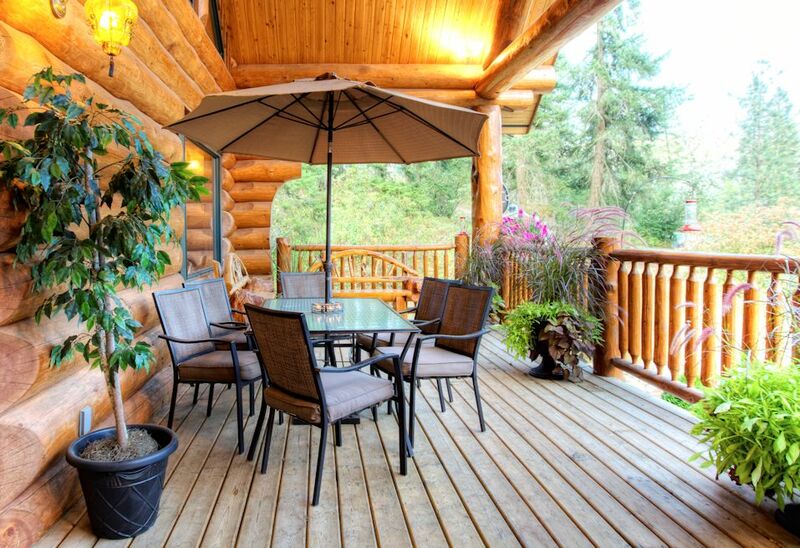 You’ll want to put some thought into your exterior living space at the design stage of your home to ensure many years of outdoor enjoyment! 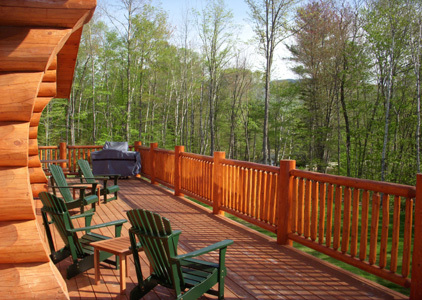 Covered porches, balconies or gazebos let you enjoy warm weather even in the rain. 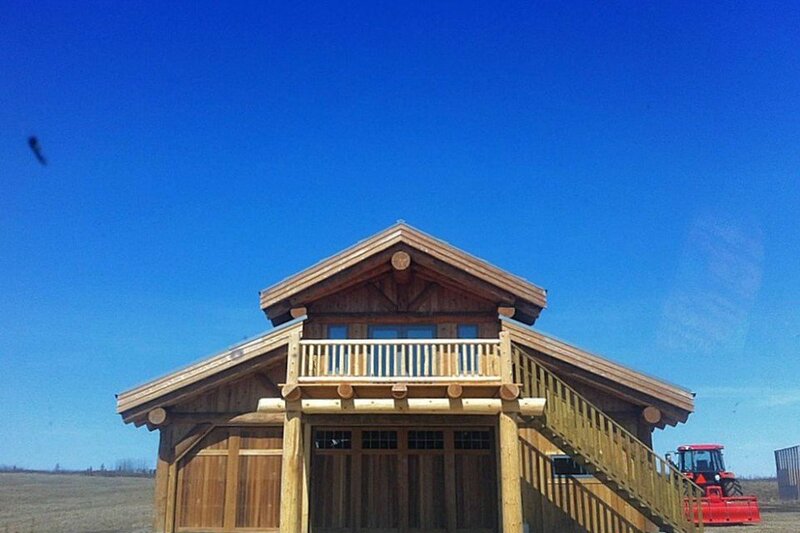 They’re also perfect for storm-watching or listening to crickets on summer nights. 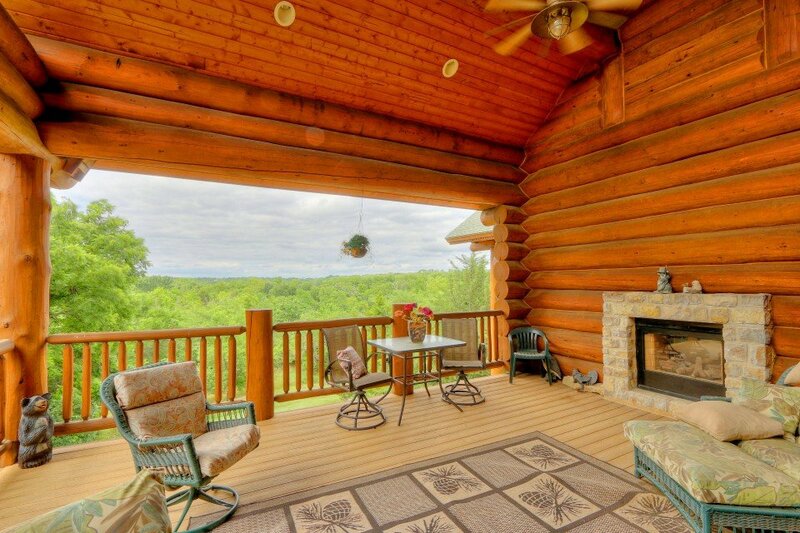 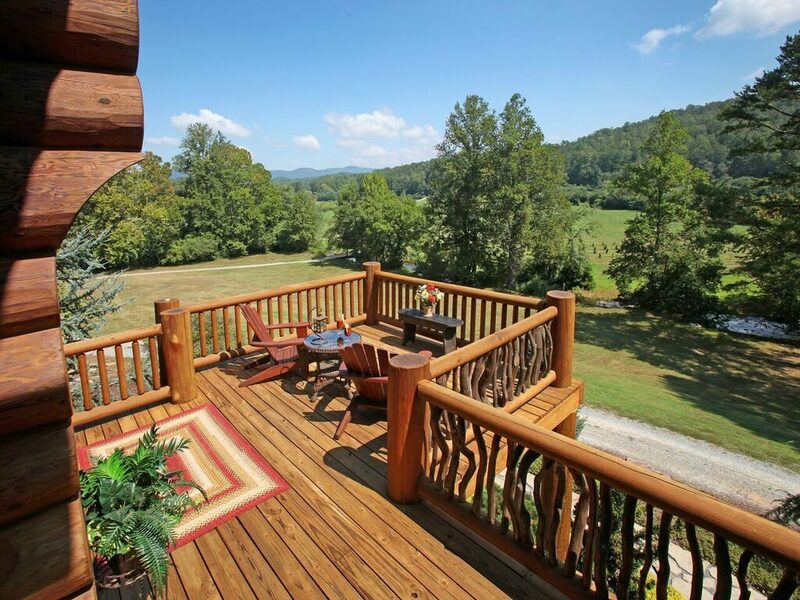 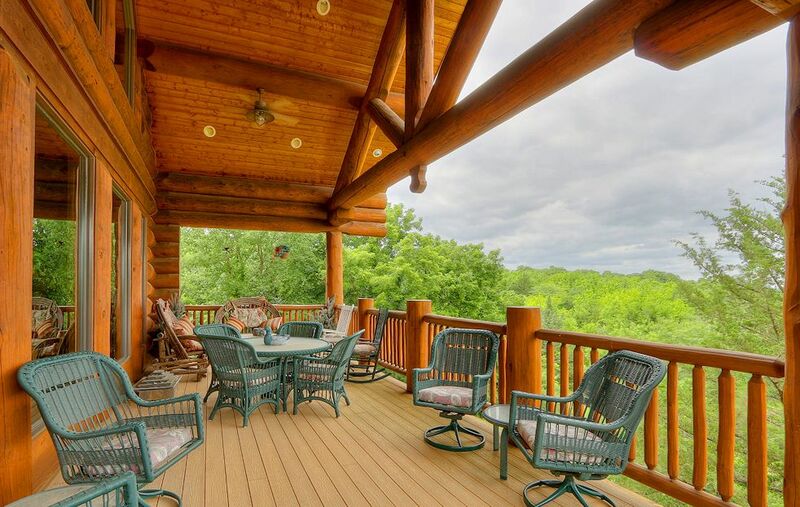 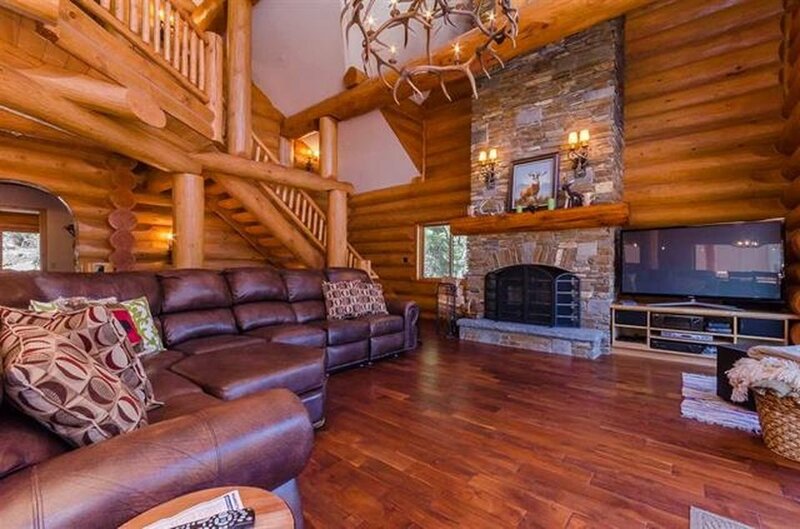 Lean back against the warmth of your log walls as you relax on your front porch. 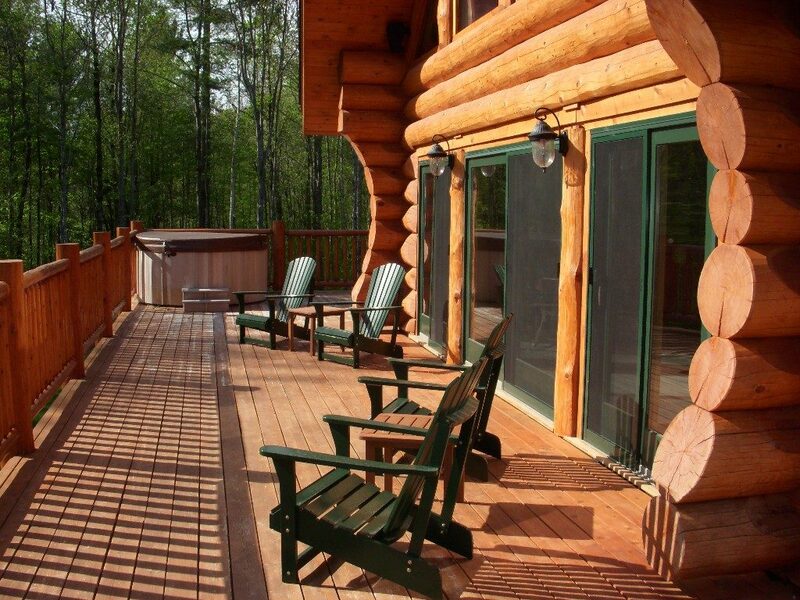 Uncovered sundecks or patios are perfect places to work on your tan on June afternoons or enjoy the warmth of the sunshine in early spring or autumn. 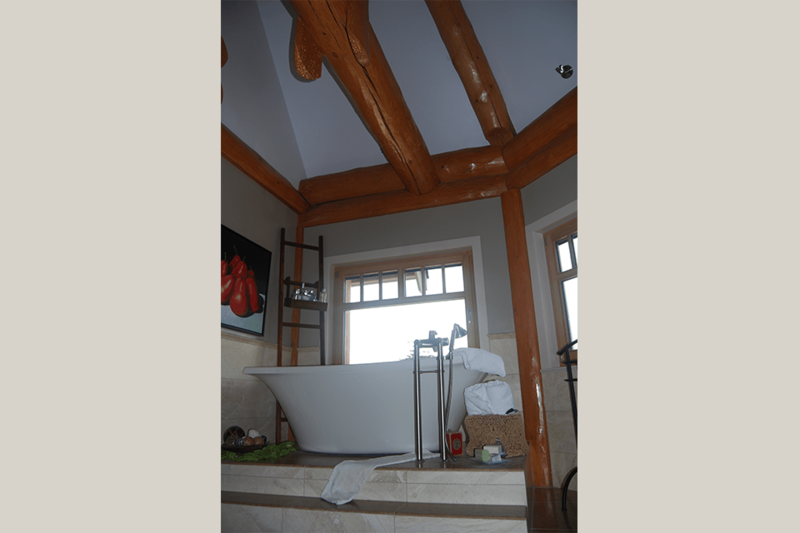 During the winter, step into your steaming hot tub for an after-snowshoe soak while the snow falls all around. 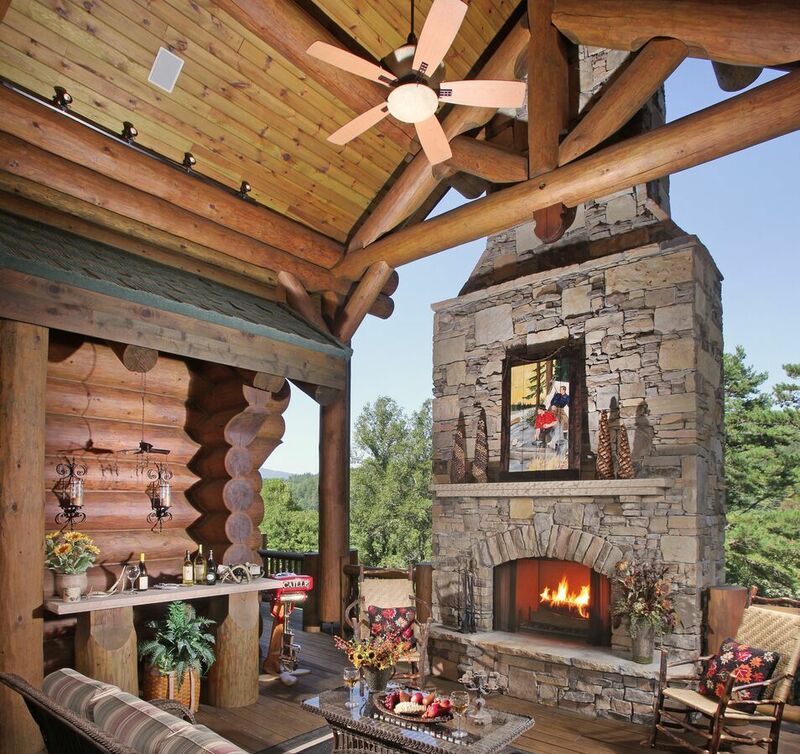 An outdoor fireplace extends the season for fresh air living and draws everyone together to share laughter and stories! 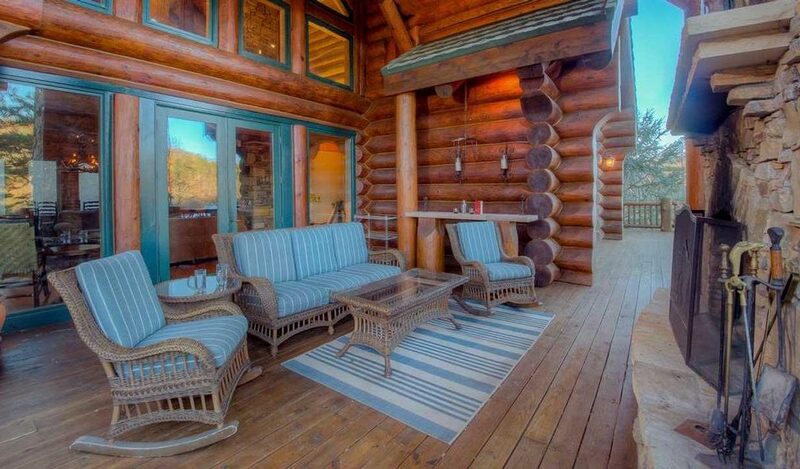 Coffee or cocktails are best served outside on sunny days but good things can come in small packages. 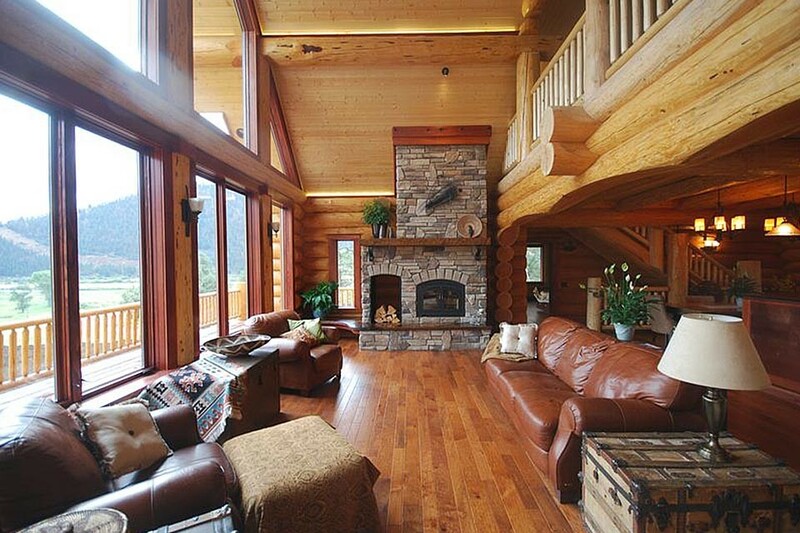 Strategic seating makes the most of a corner with an amazing view! 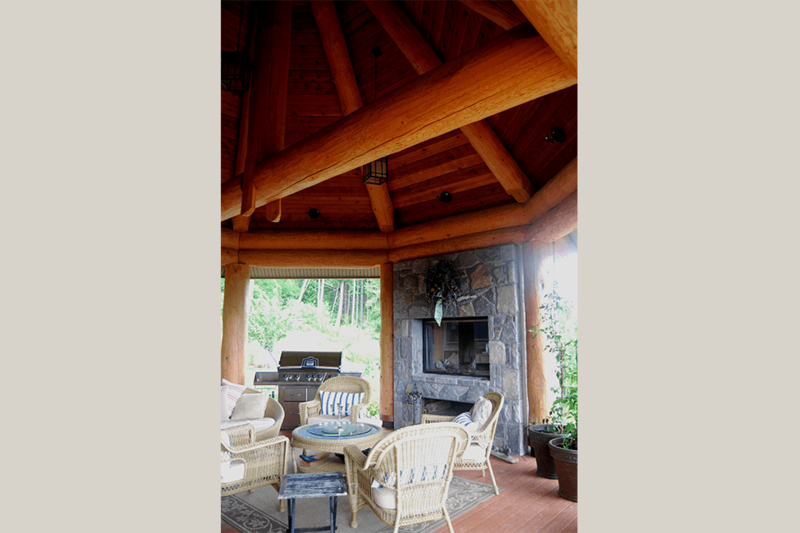 Indoor-outdoor spaces like this sheltered attached gazebo are great for locations that receive a lot of precipitation. 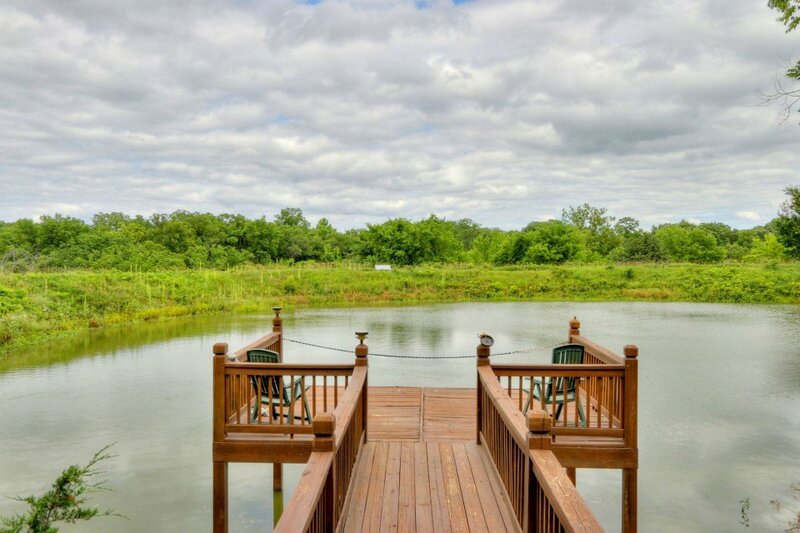 Don’t let the rain keep you from enjoying the great outdoors! 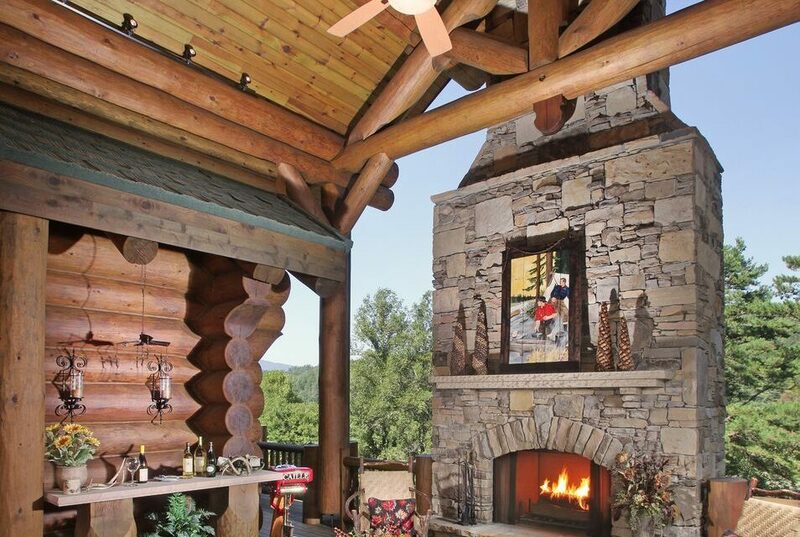 An alcove offers shelter on three sides and overhead while an impressive outdoor fireplace might be the reason your living room barely gets used most of the year! 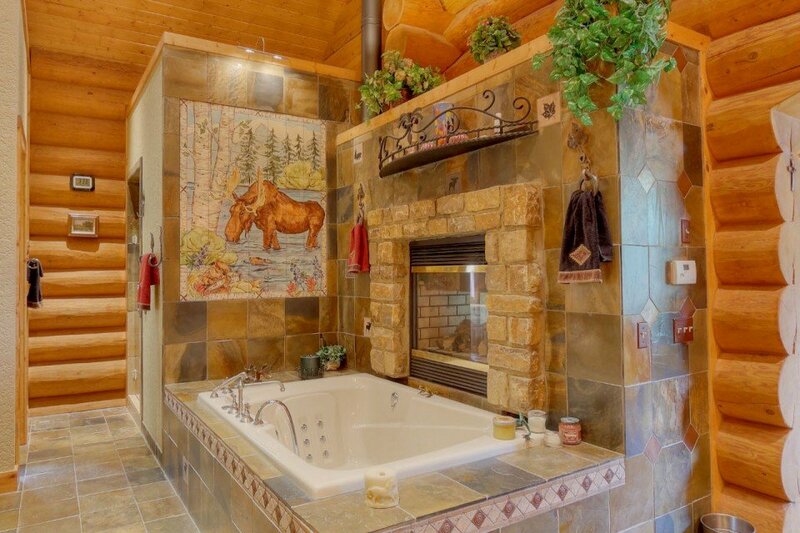 Take some time to imagine how you like to unwind. 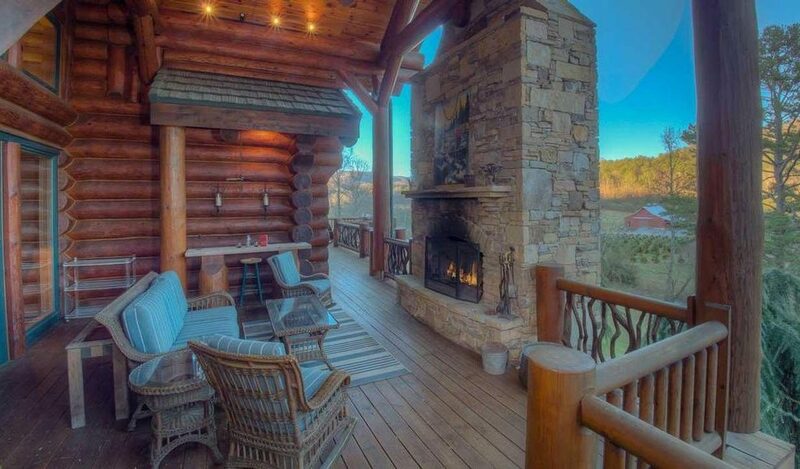 Do you crave solitude to recharge your soul or would you rather share your down time connecting socially? 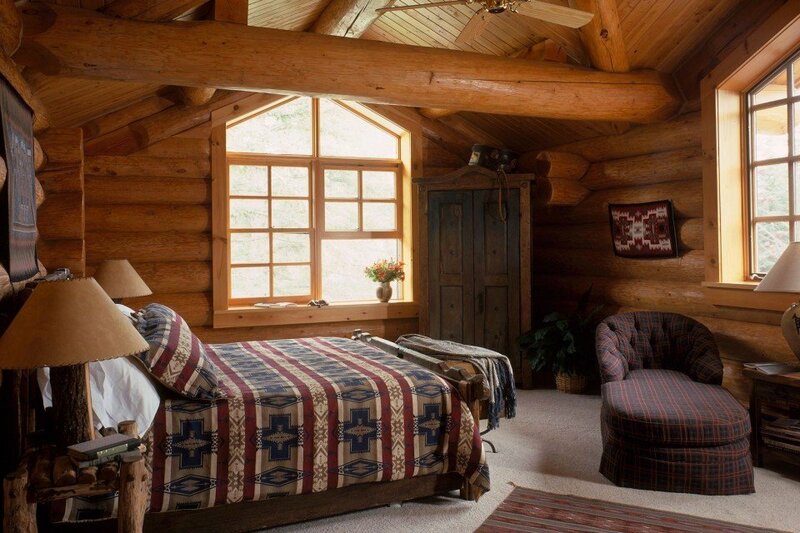 Would you prefer time for yourself with a good book after a hectic week dealing with people or do you dream of filling your weekends with groups of friends and family? 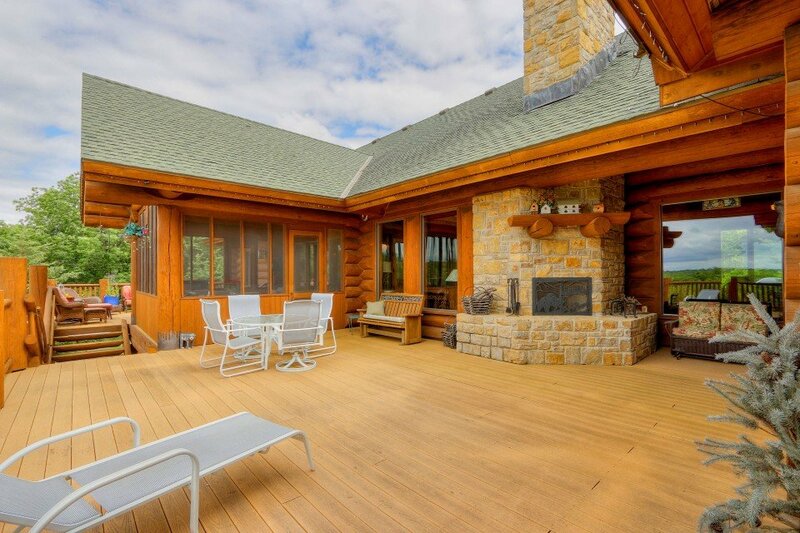 The answers to these questions will help you create meaningful outdoor spaces that enhance the quality of your life. 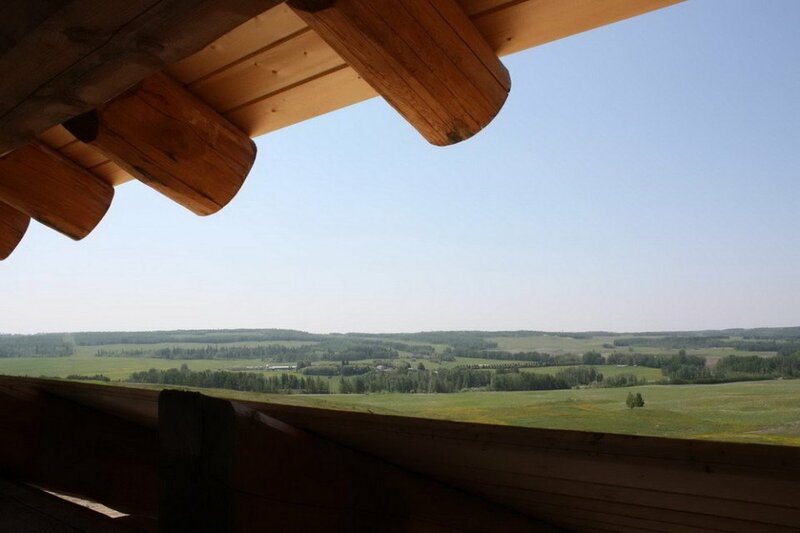 The rolling hills of western Alberta gave this client room to breathe and plenty of space to build. 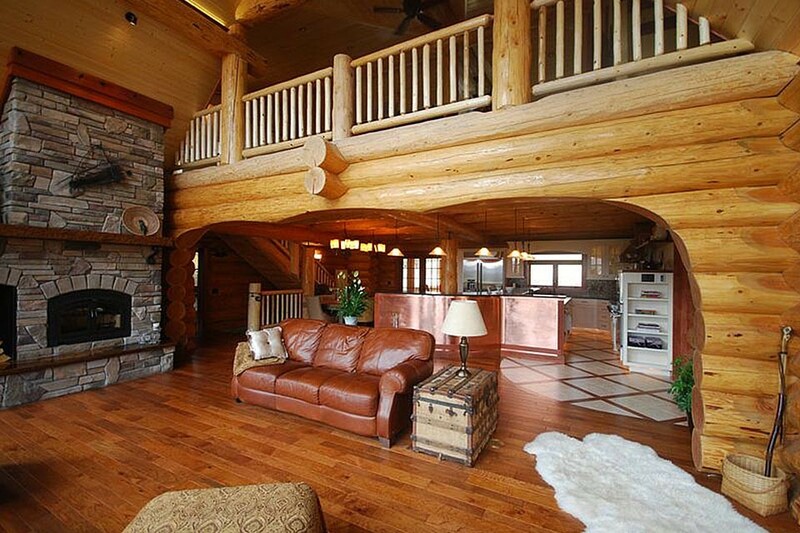 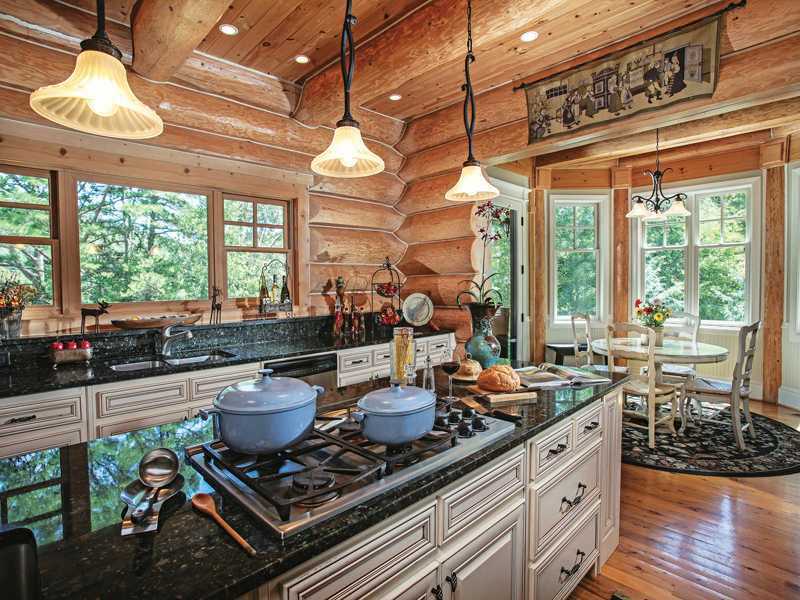 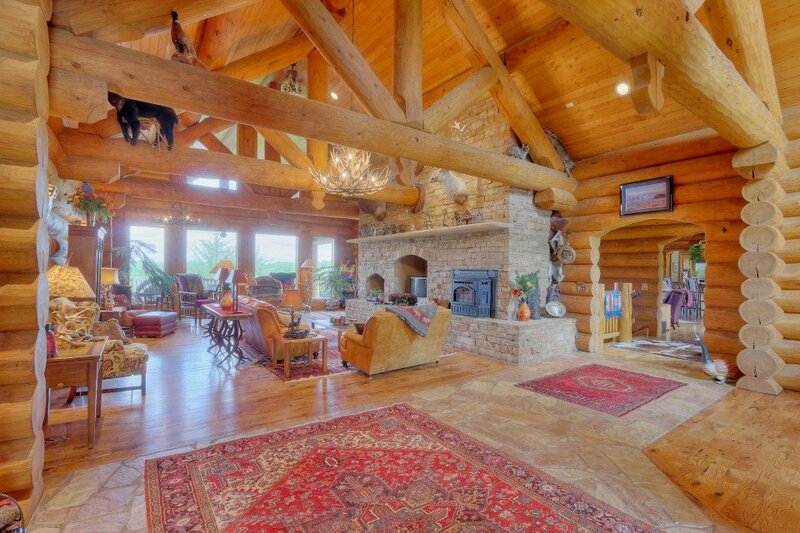 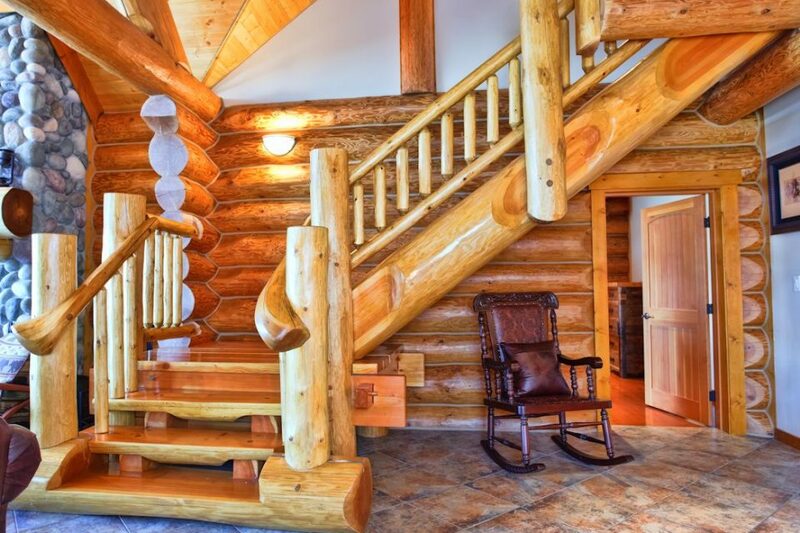 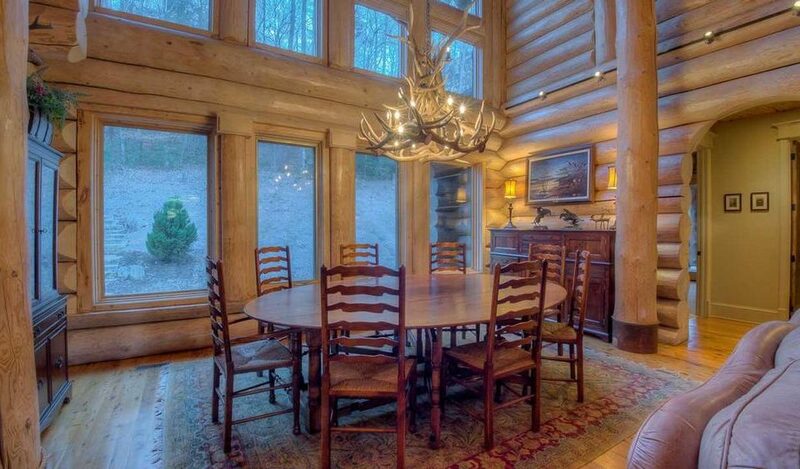 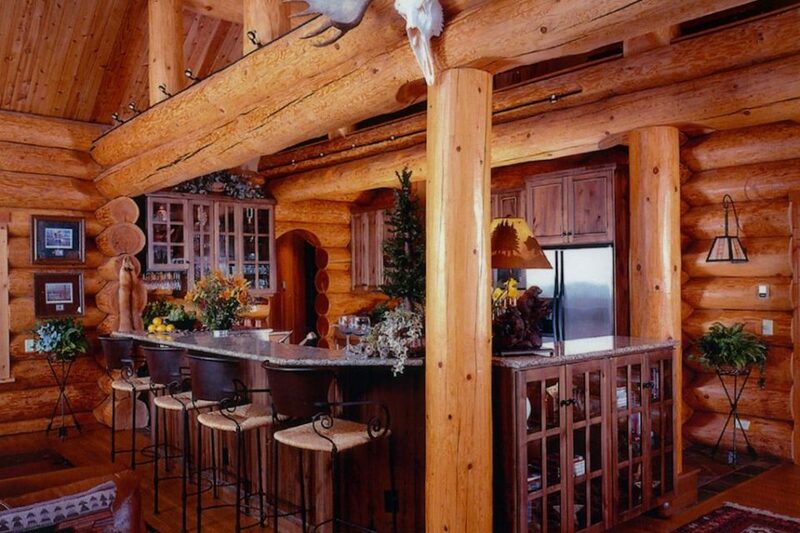 This 4000 + square foot log home features irregular log ends to add rustic character. 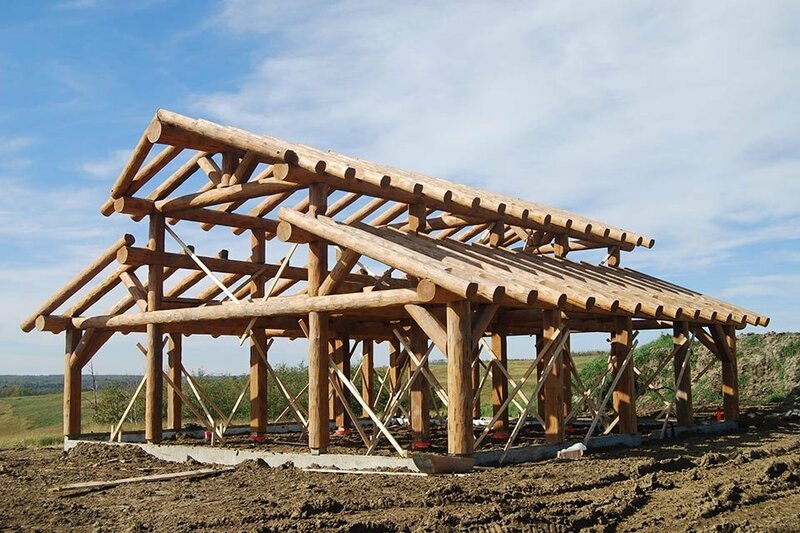 The accompanying post and beam barn was designed with living quarters and a workshop as well as ample room for ATVs and farm equipment. 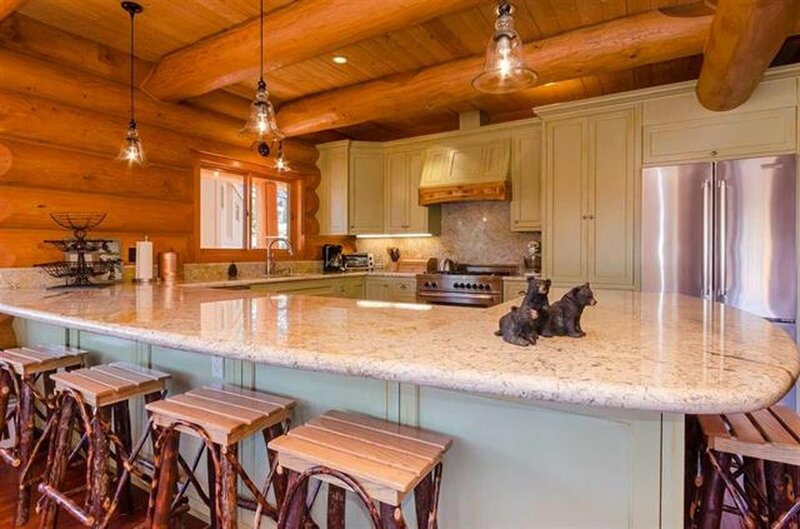 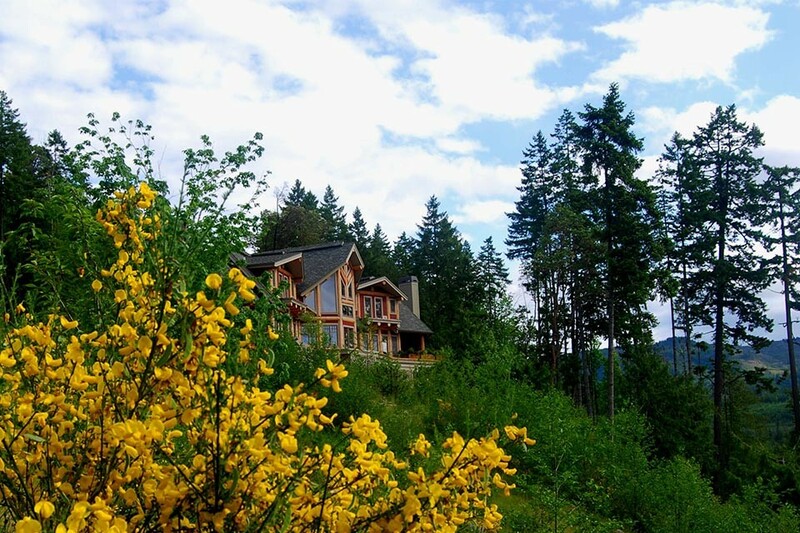 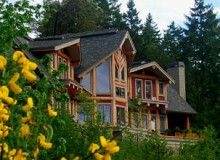 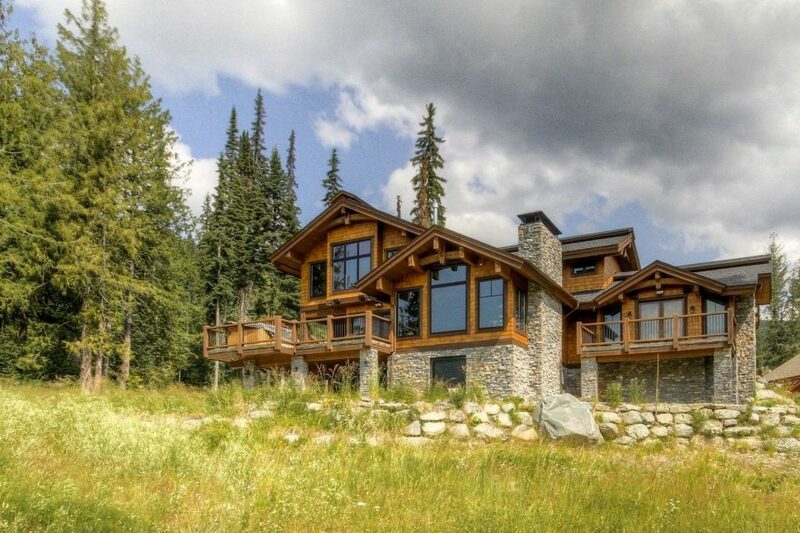 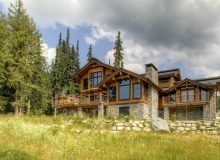 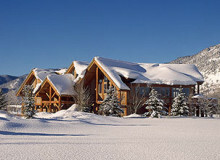 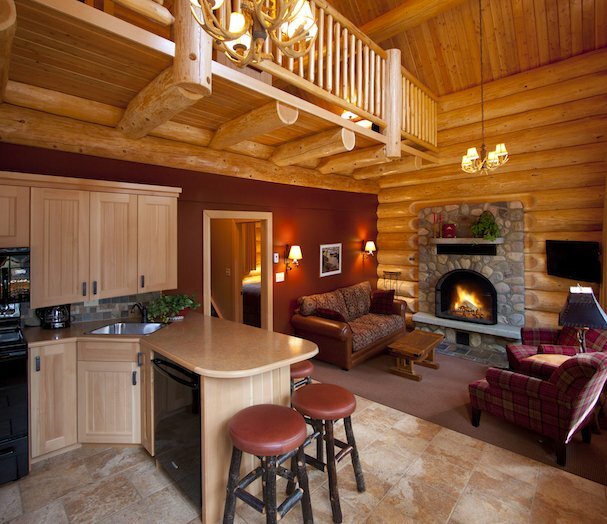 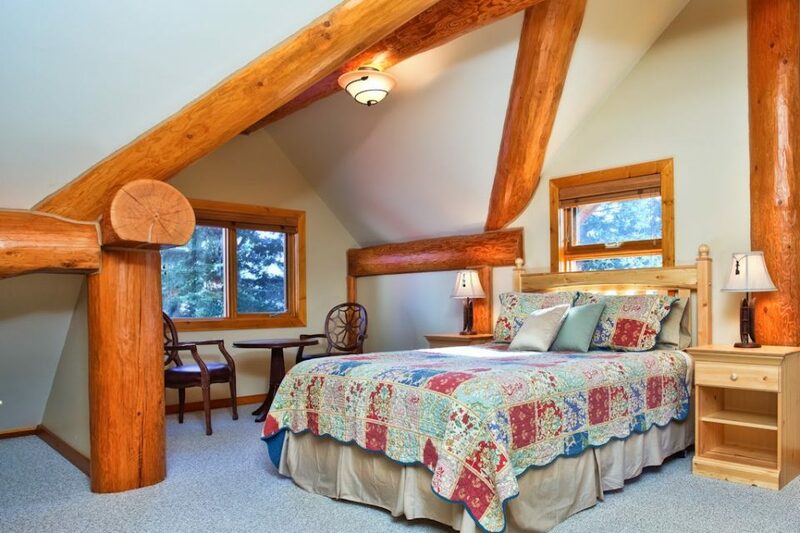 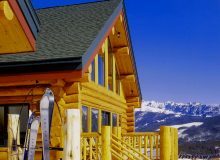 Timber luxury slopeside in one of British Columbia’s premier mountain ski resorts! 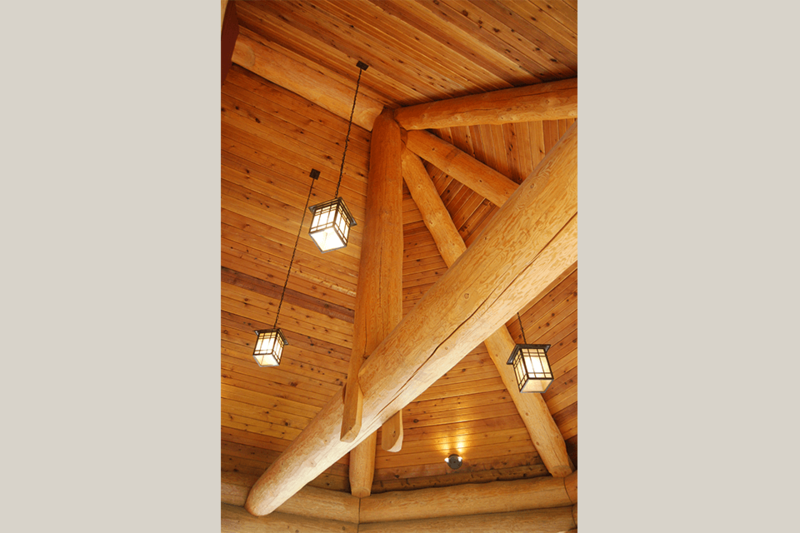 Powerful Douglas Fir timbers from North American Log Crafters add strength and character to a fine quality mountain home. 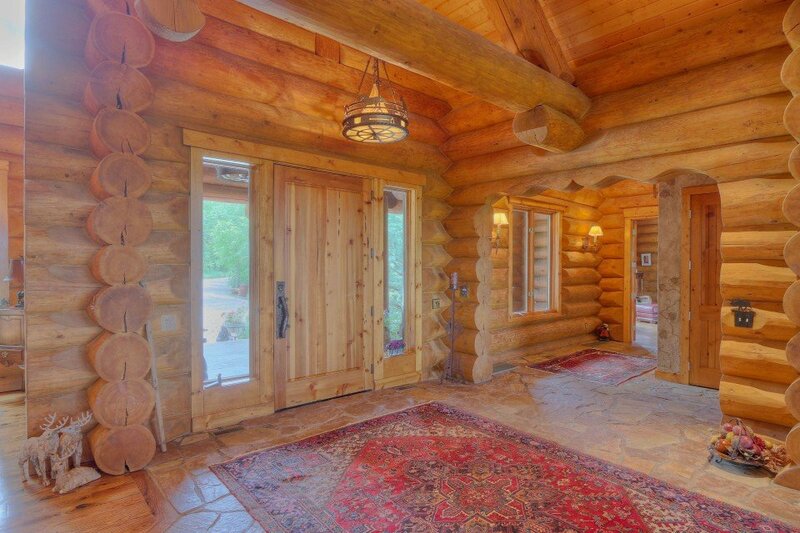 Warm and inviting, the impressive craftsmanship adds both interior and exterior appeal. 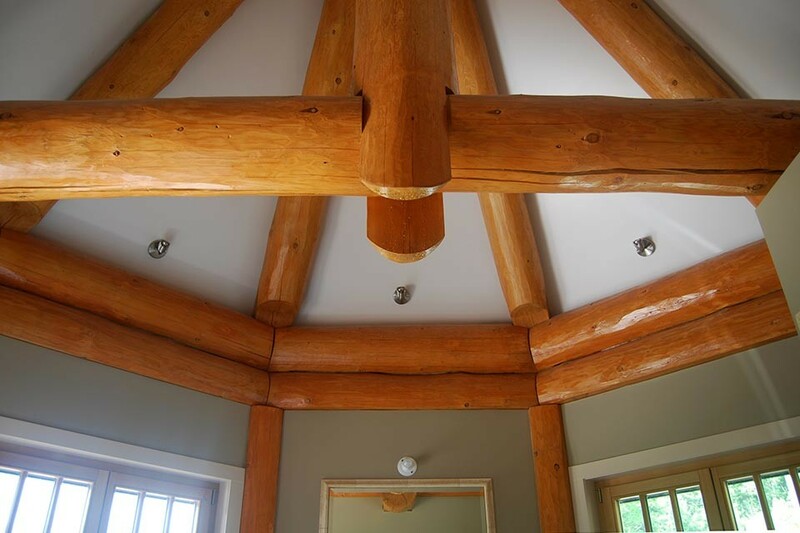 Imagine your own custom timber design! 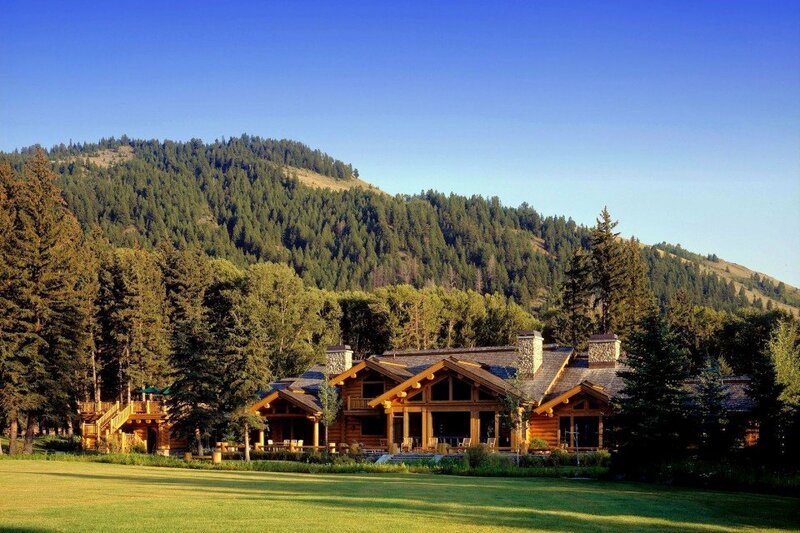 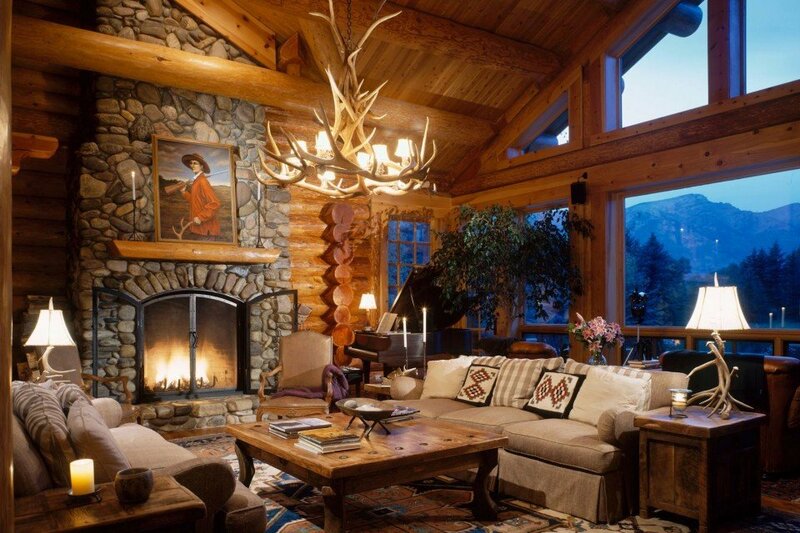 Rustic apres-ski luxury in Big Sky, Montana. 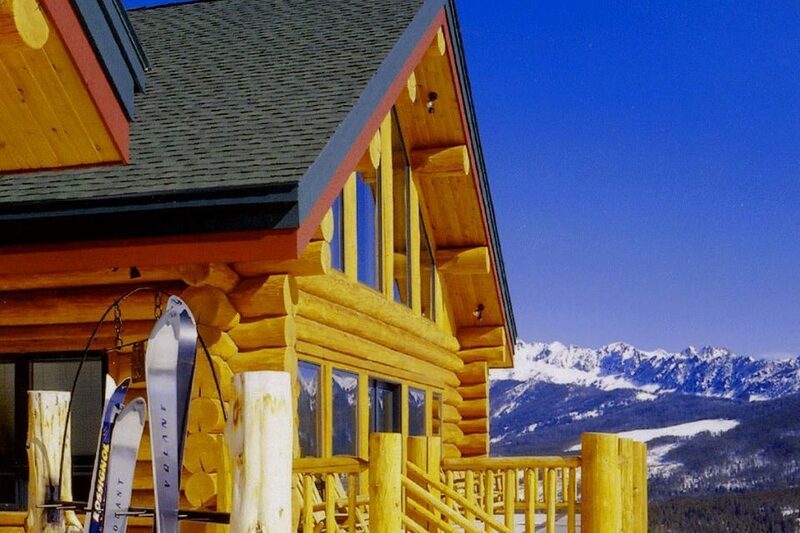 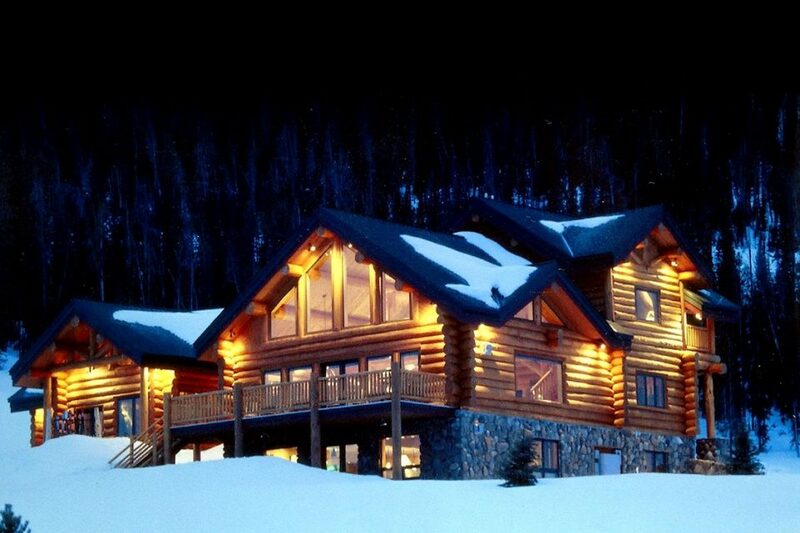 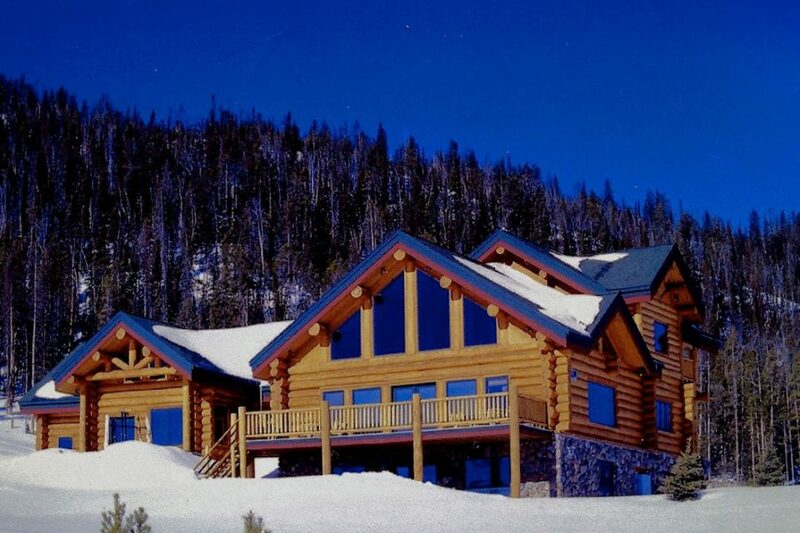 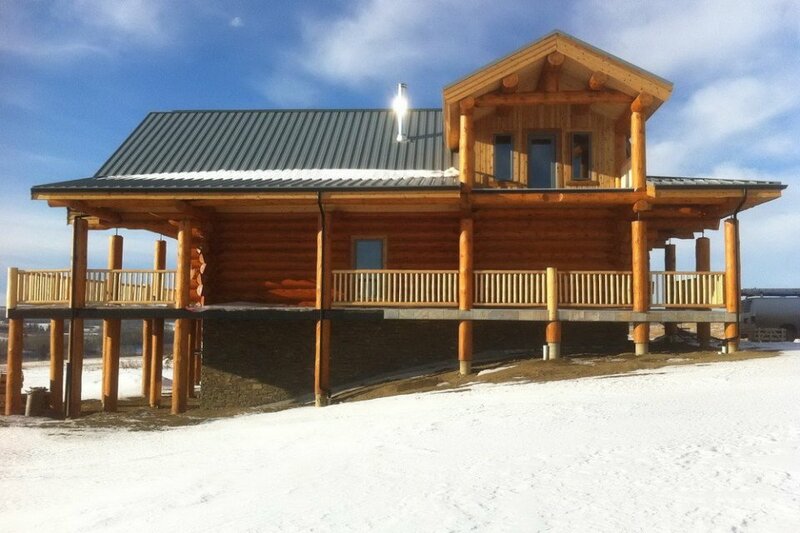 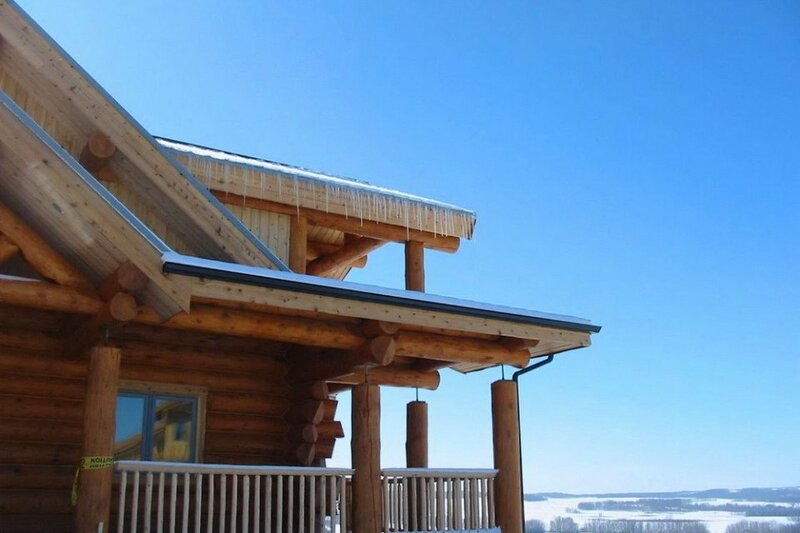 This popular log home plan is featured here in a ski in-ski out location with fantastic views. 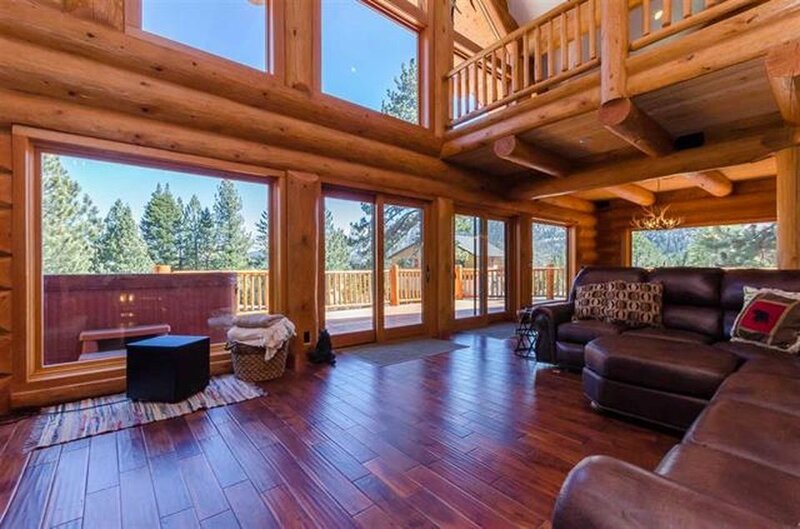 With wide open spaces inside, it’s the perfect place to end a day of outdoor adventures no matter where you want to build. 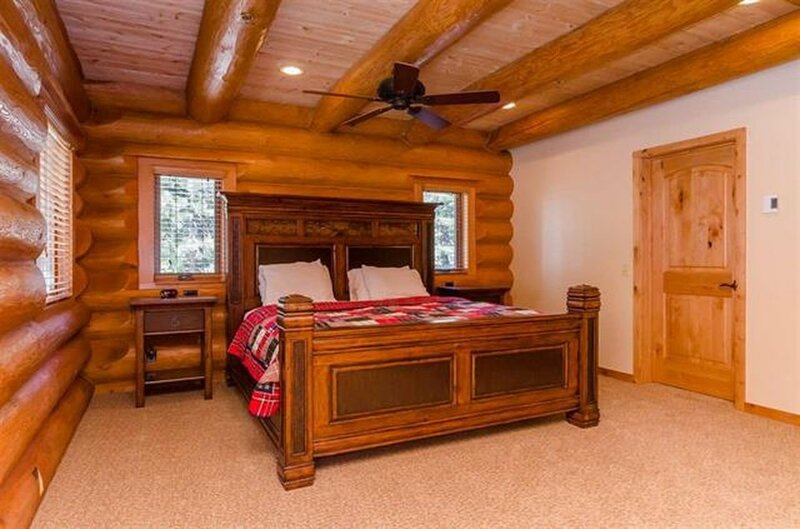 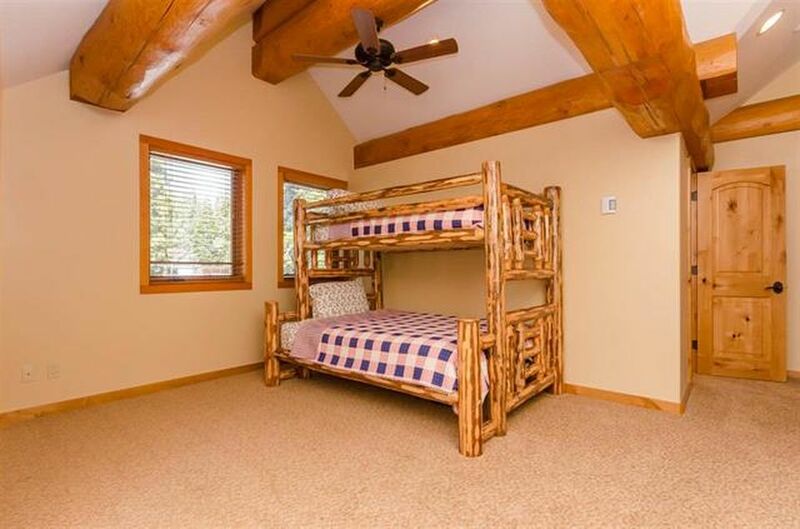 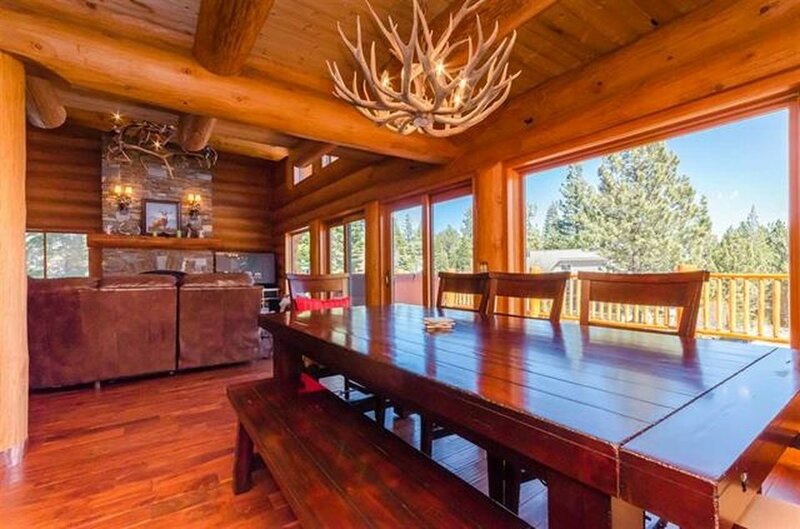 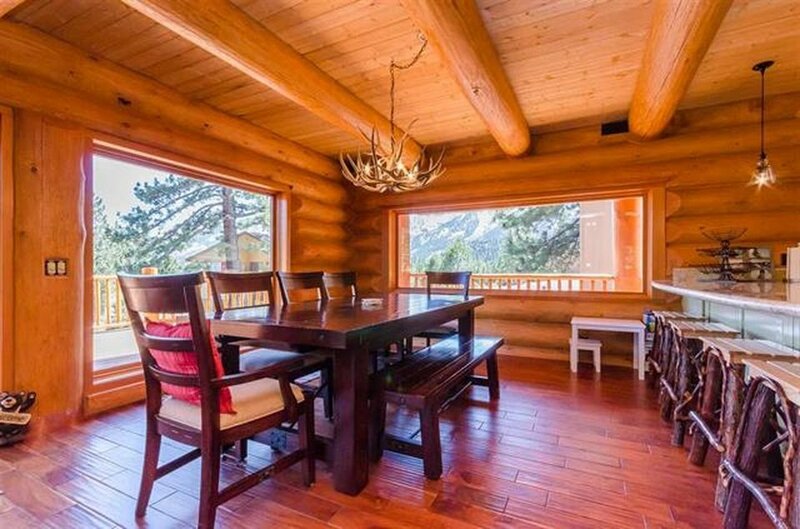 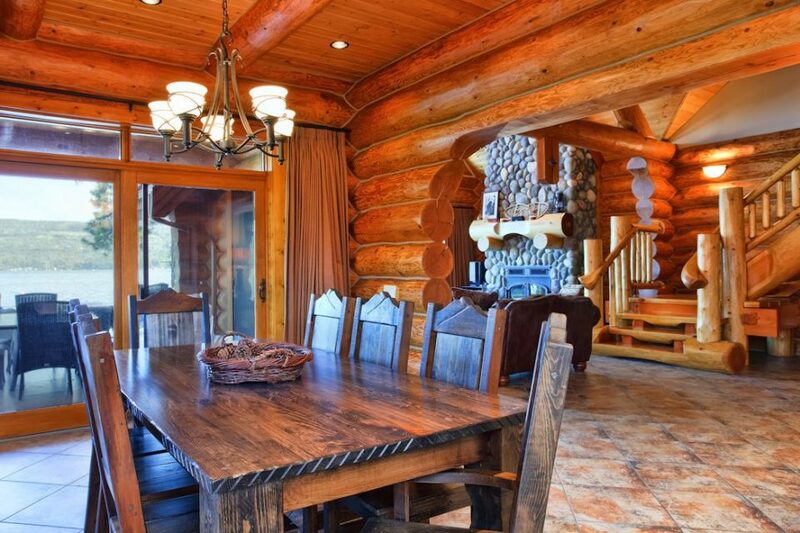 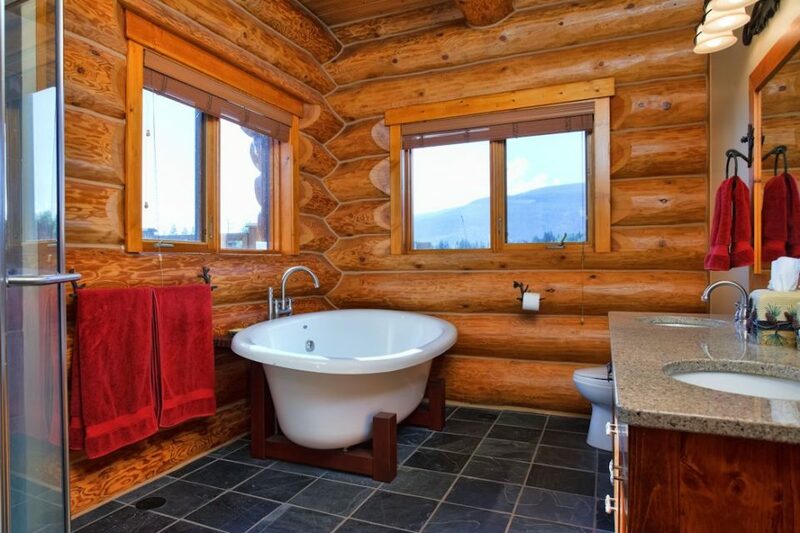 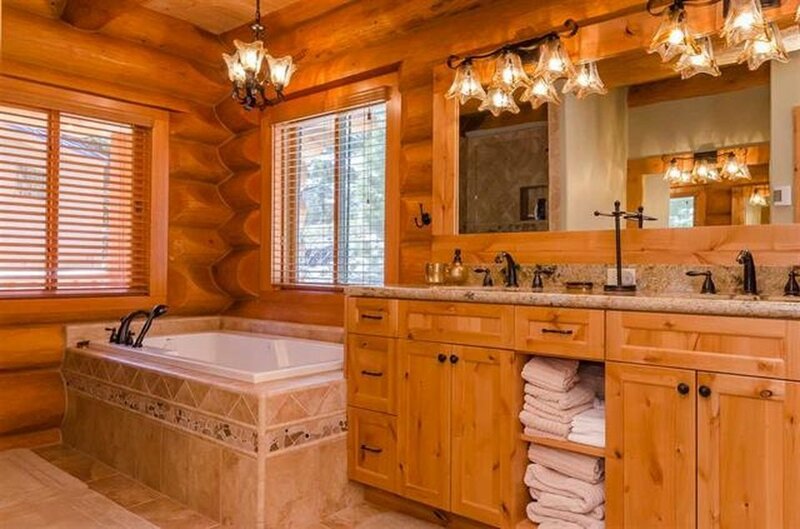 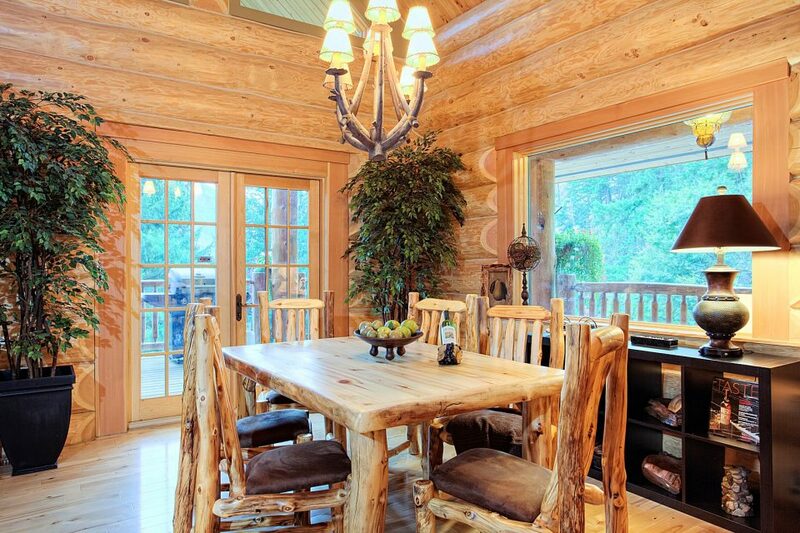 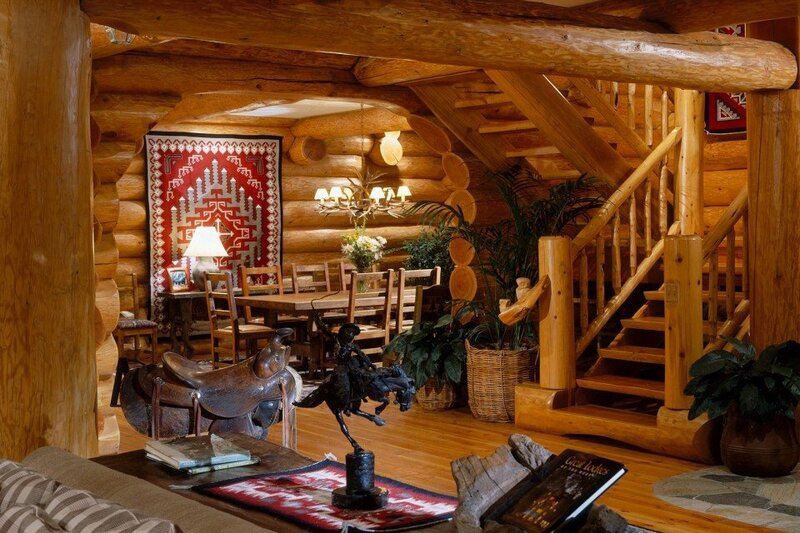 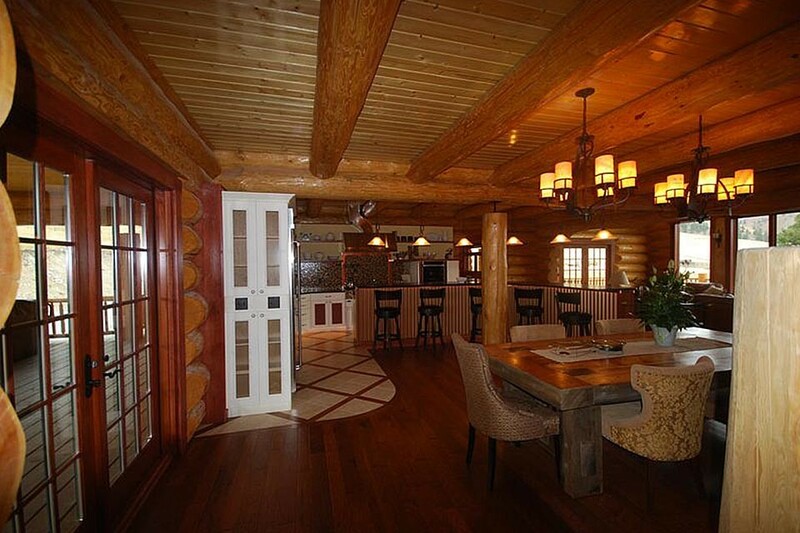 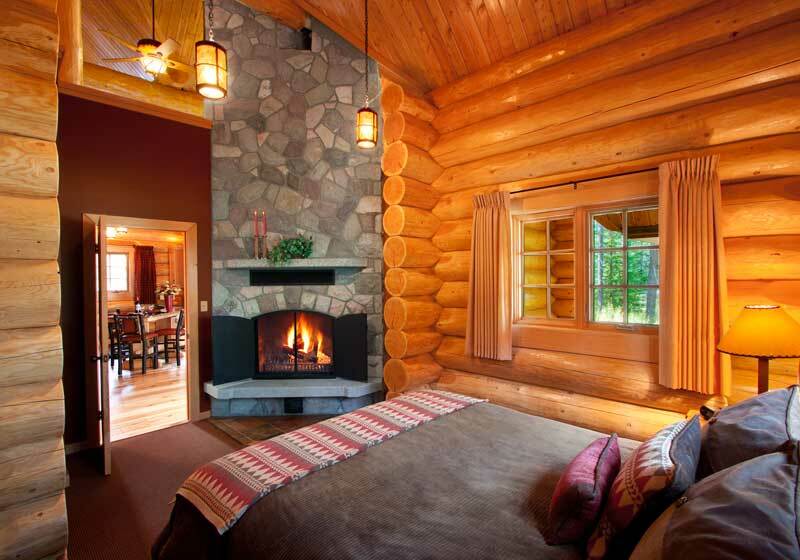 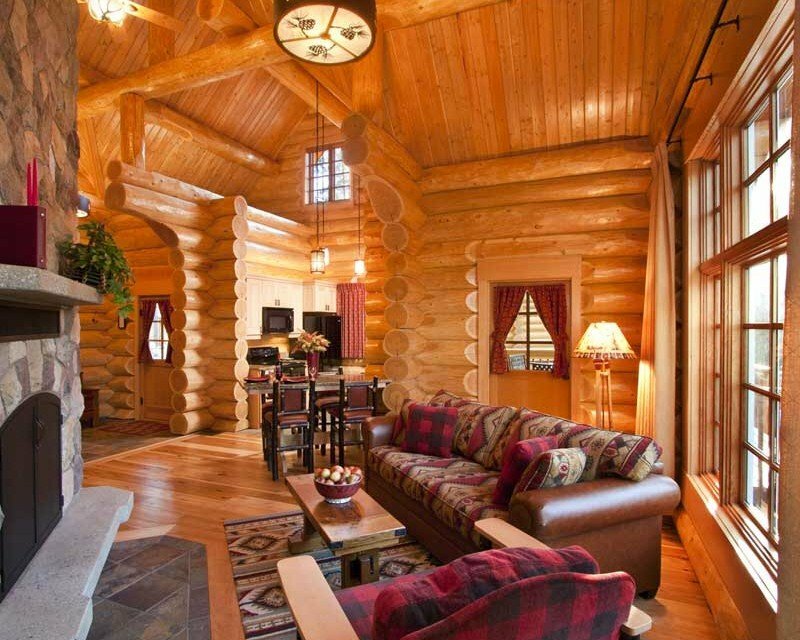 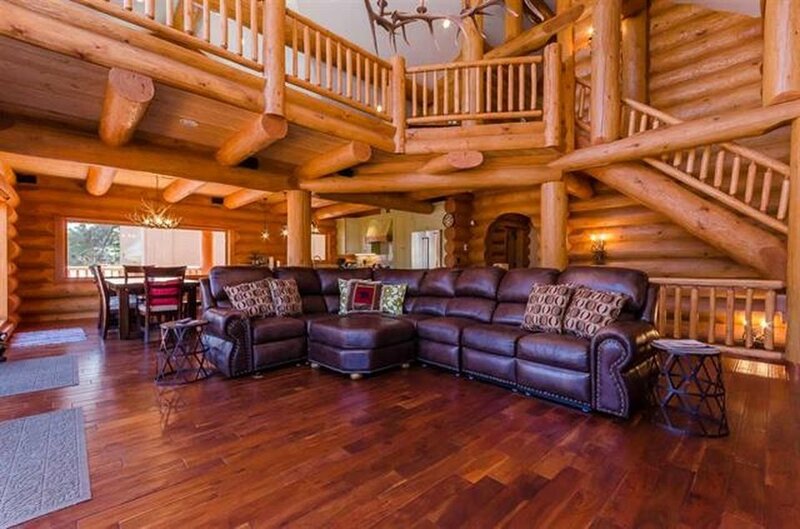 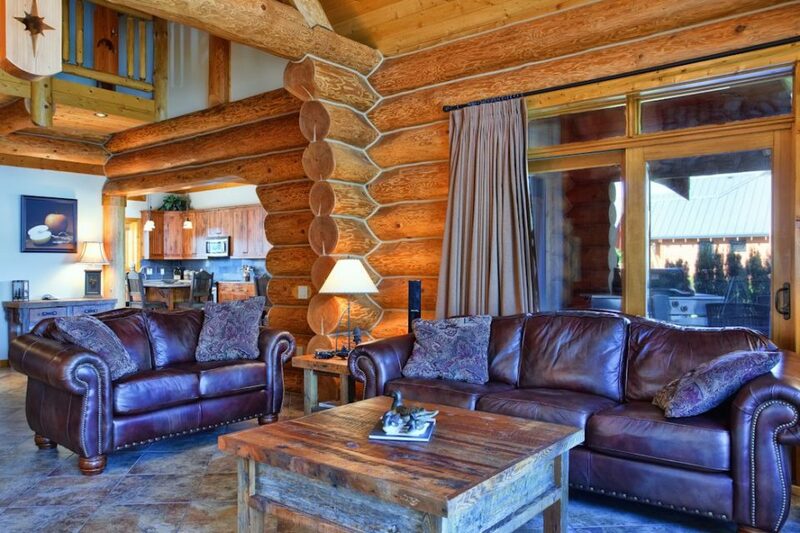 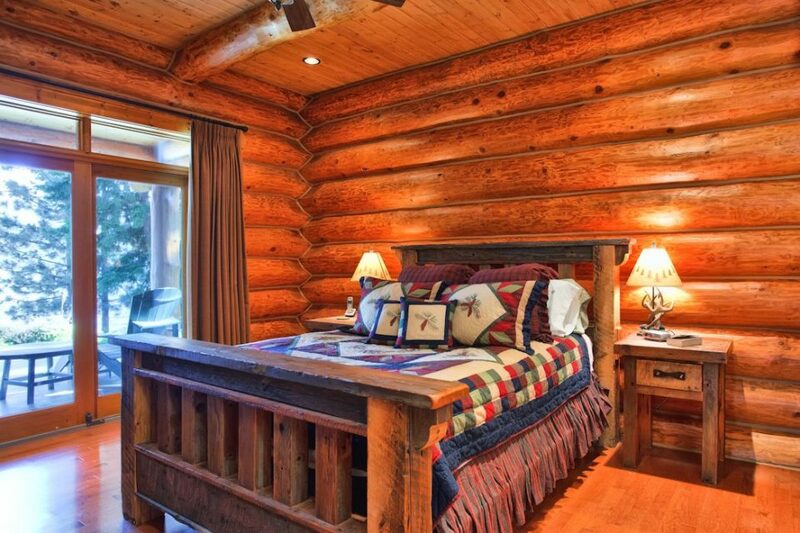 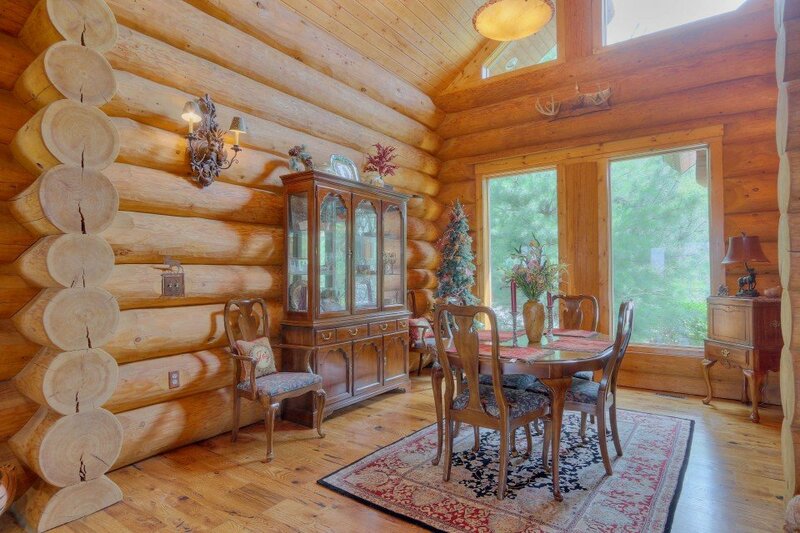 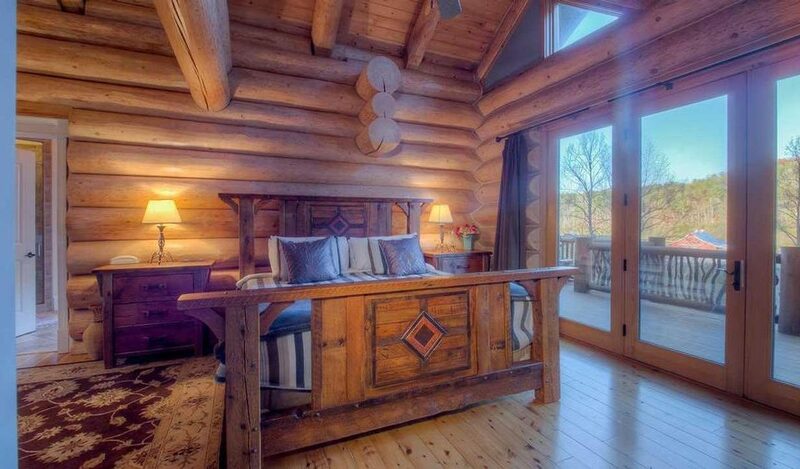 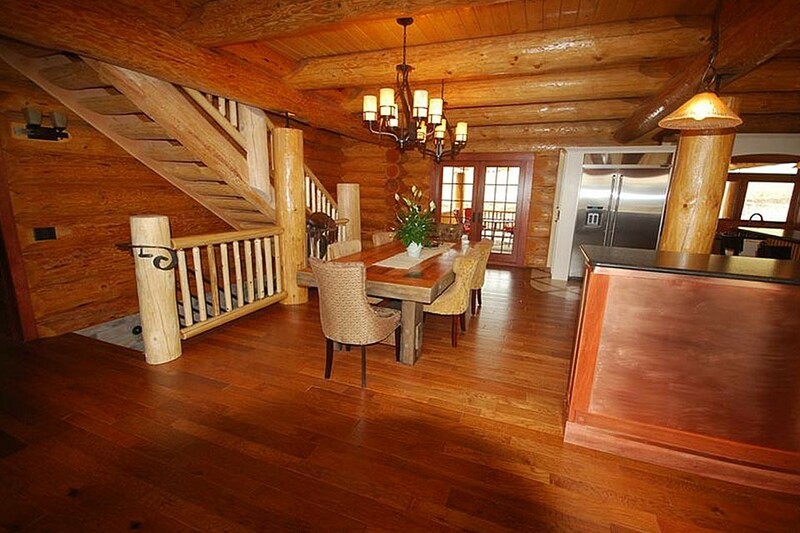 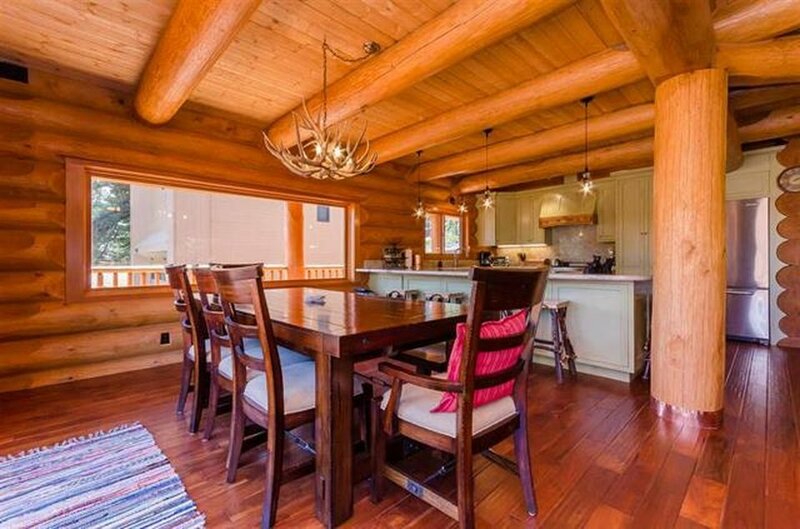 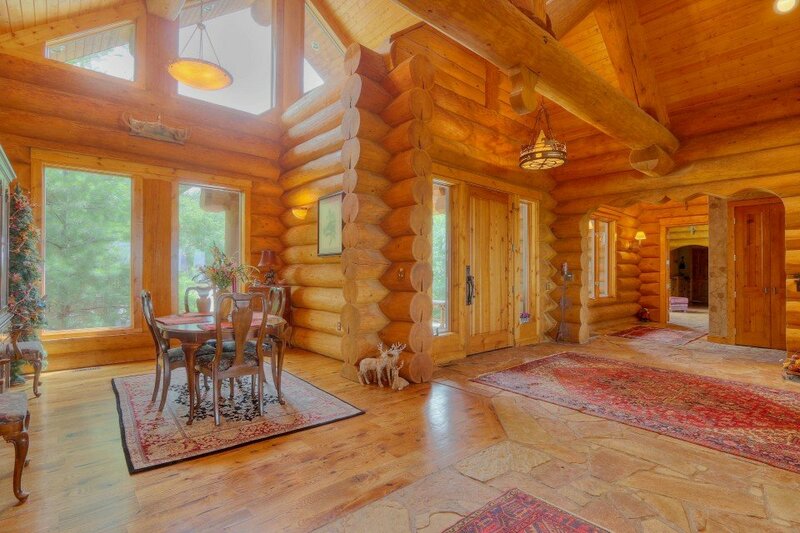 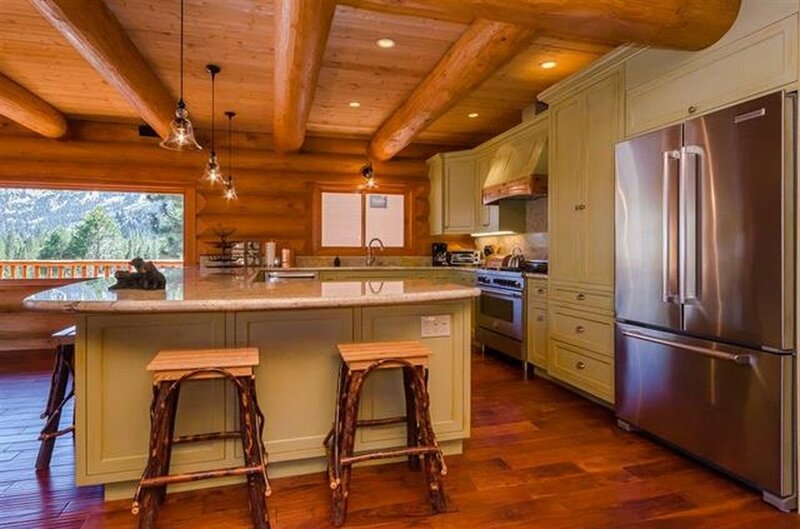 A 4000 sq ft design makes the most of the handcrafted log work for a cozy log cabin feel. 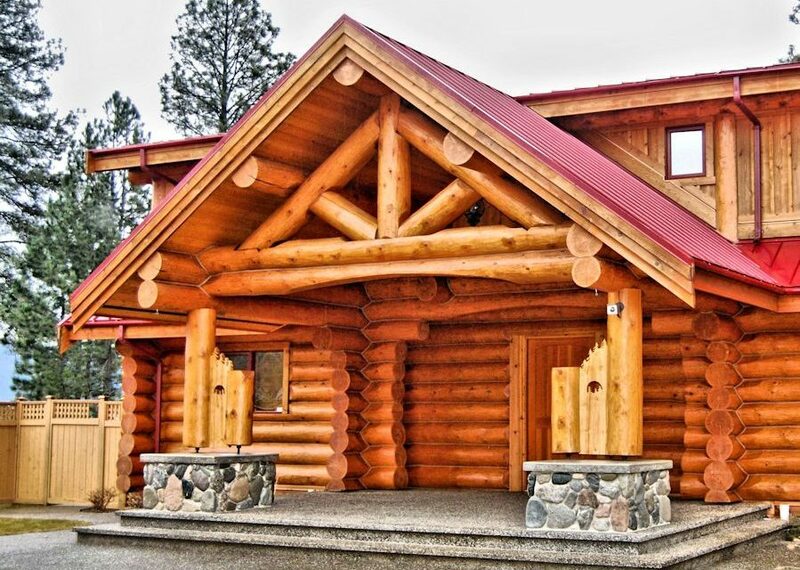 A log home that works anywhere! 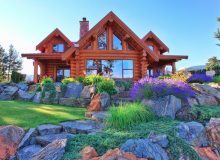 You can imagine the log cabin style of this California home in a rural setting, but it’s also beautiful on a suburban lot. 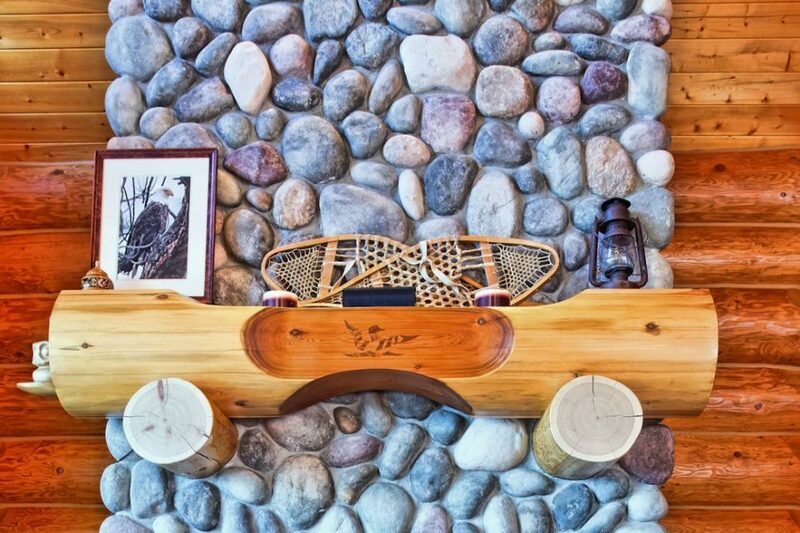 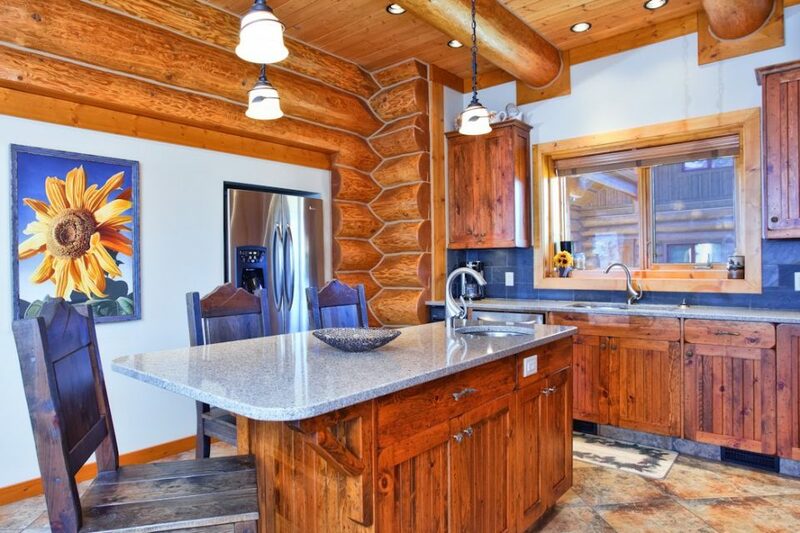 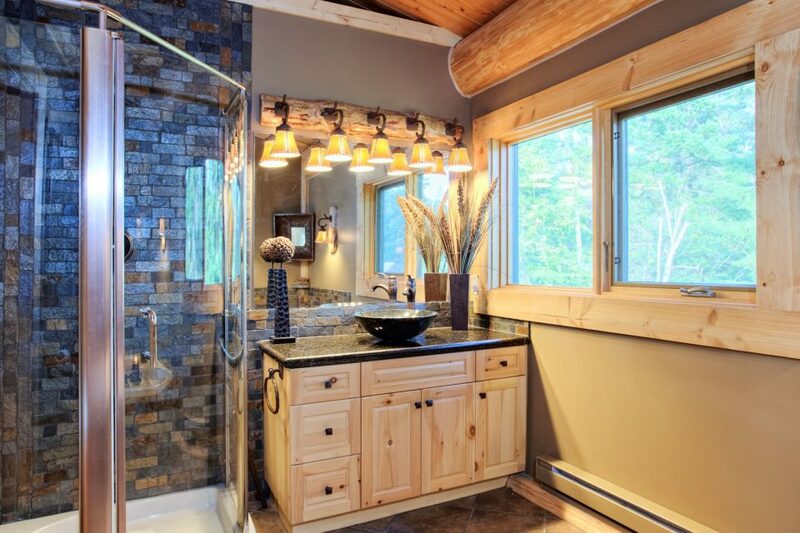 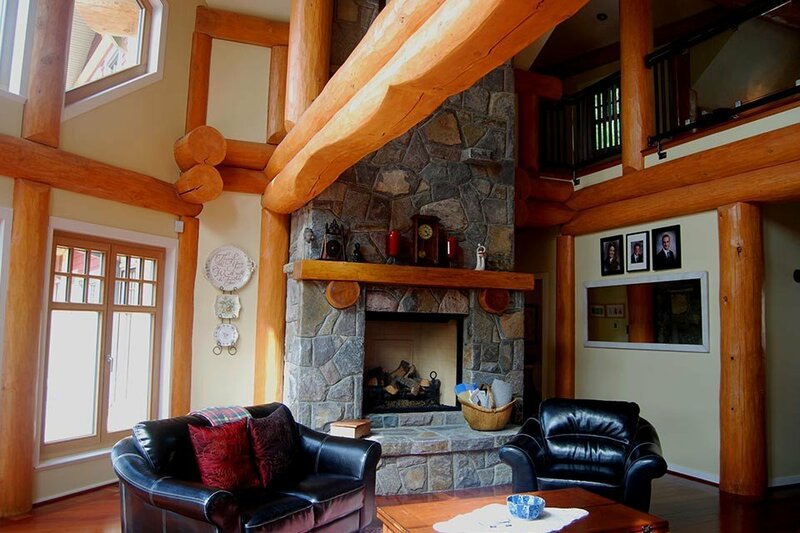 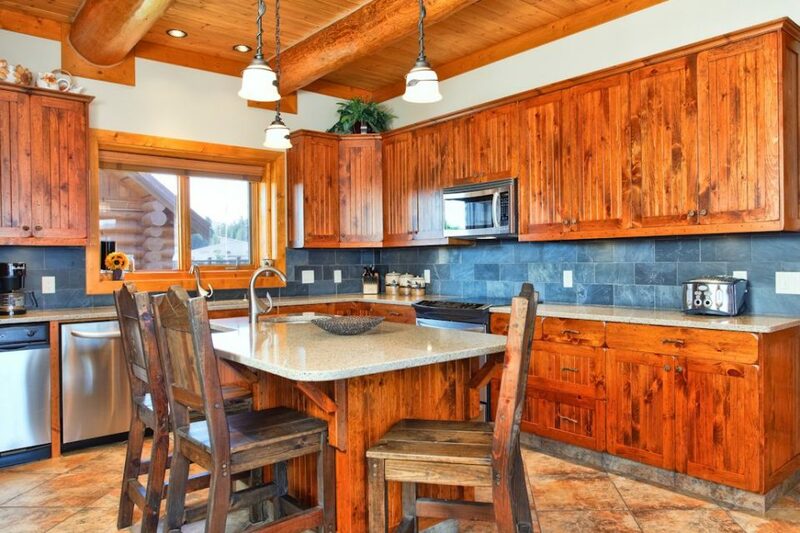 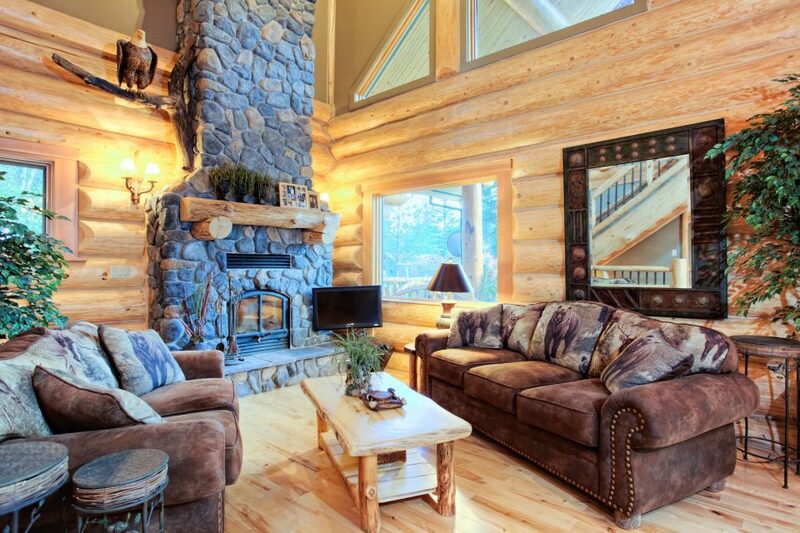 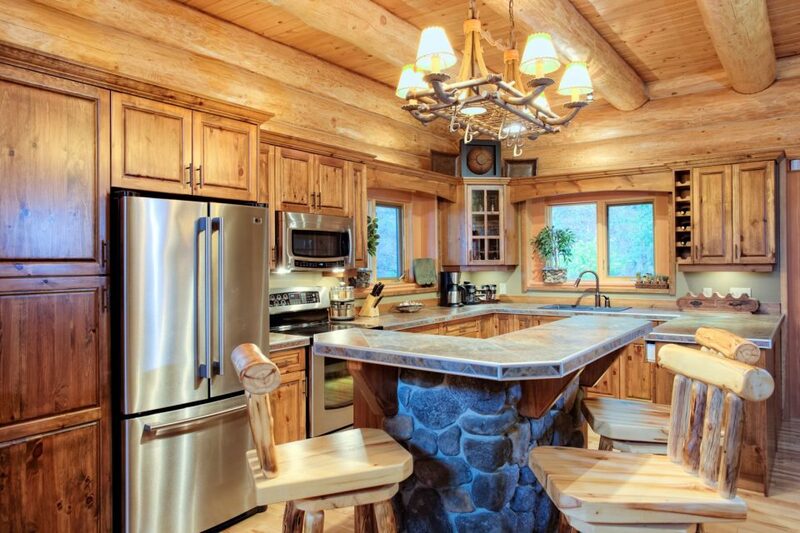 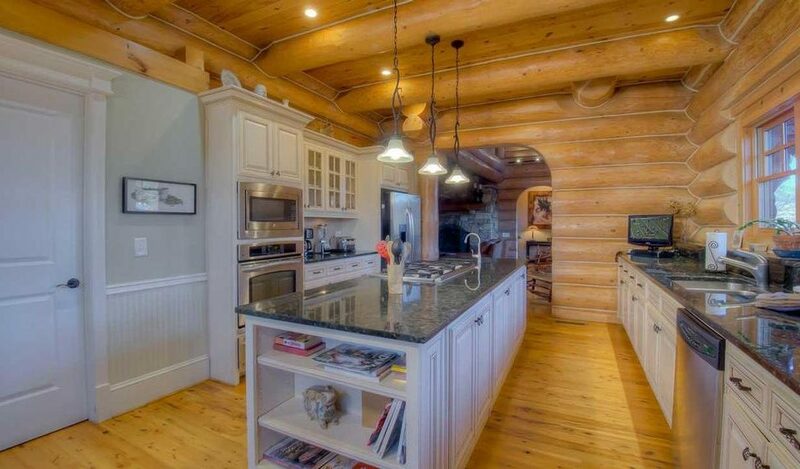 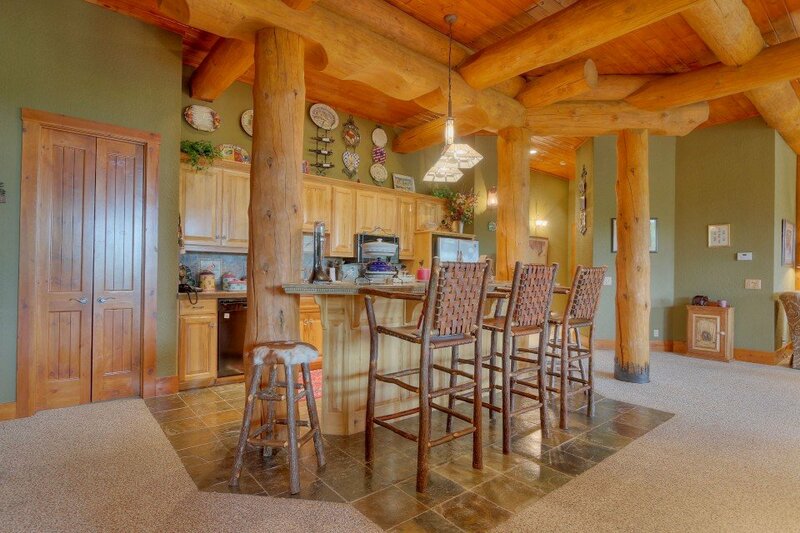 Handcrafted Canadian logs add rustic style and character to a practical open concept design. 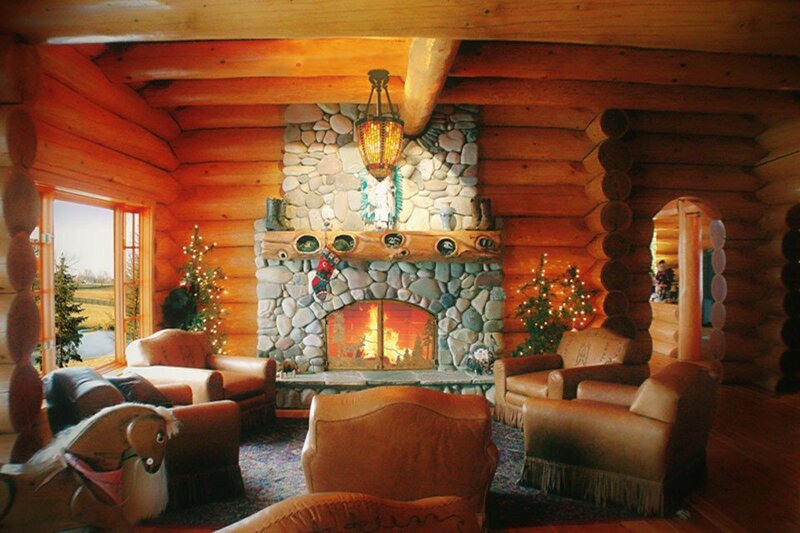 Premium quality natural logs and many windows bring the outdoors in, creating an inviting log cabin home design for entertaining family and friends. 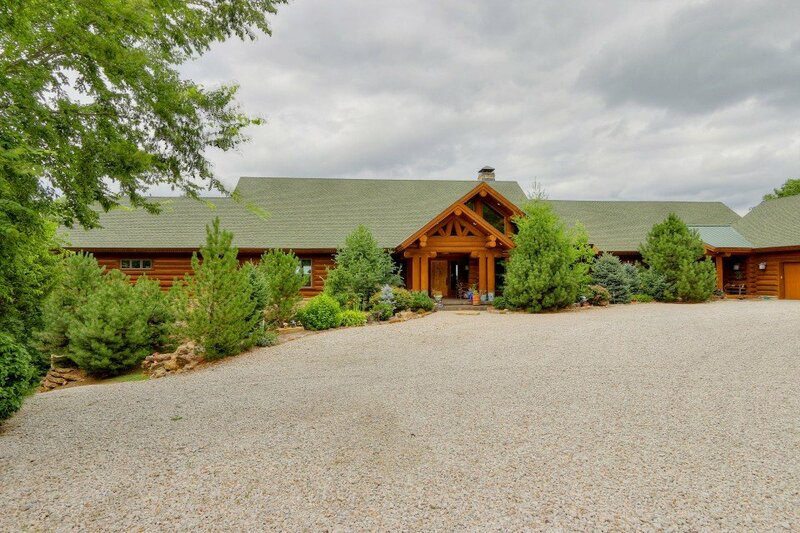 This private 9270 square foot custom log home on 40 acres in Kansas was handcrafted in Canada by North American Log Crafters. 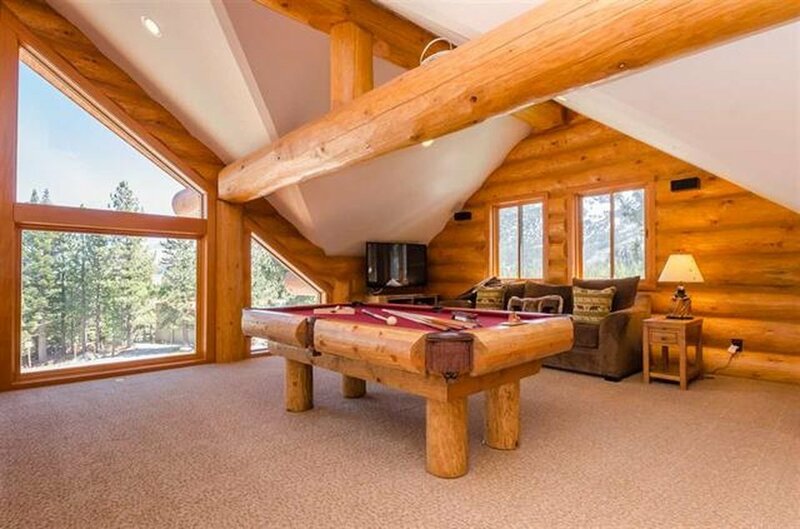 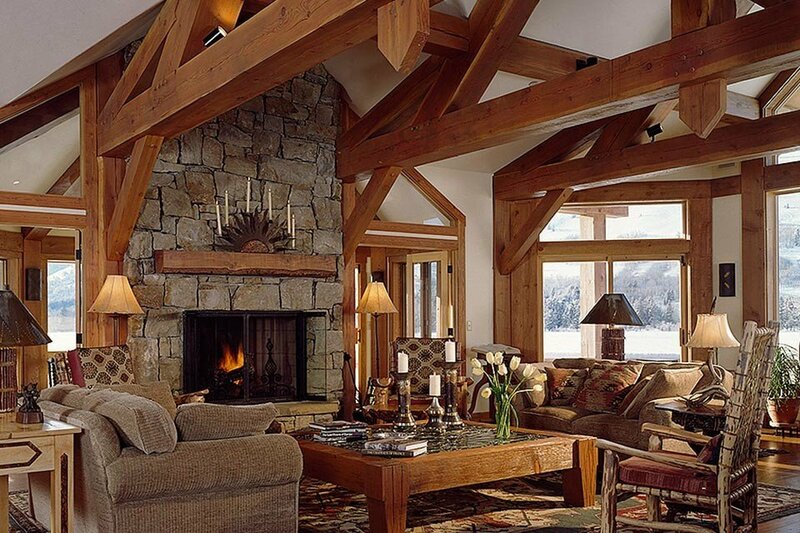 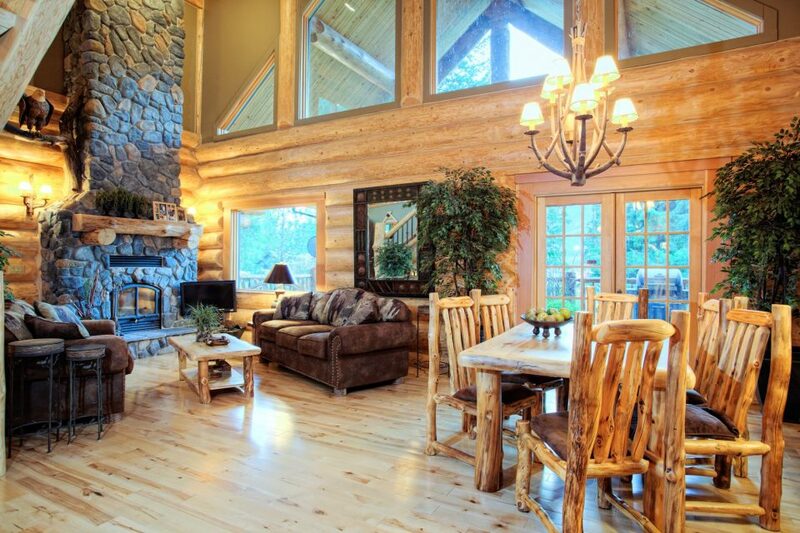 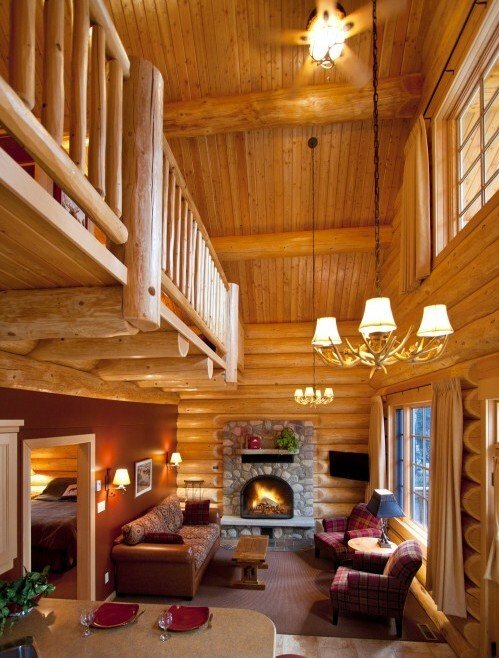 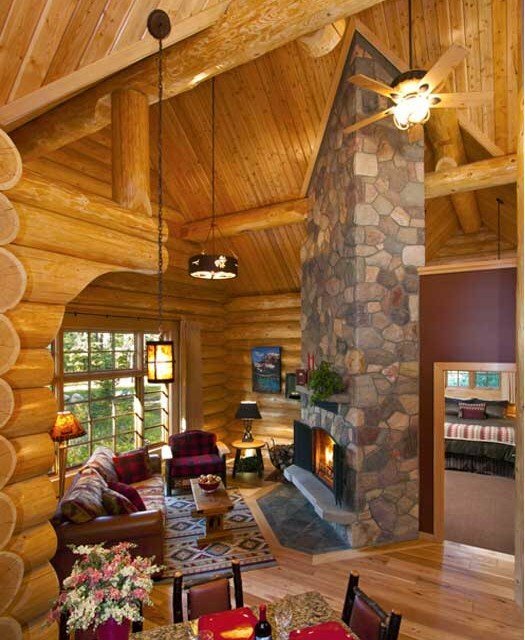 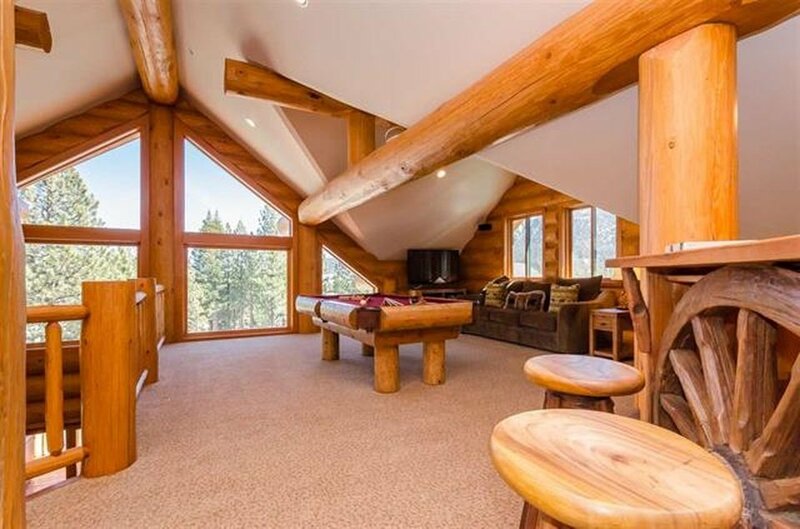 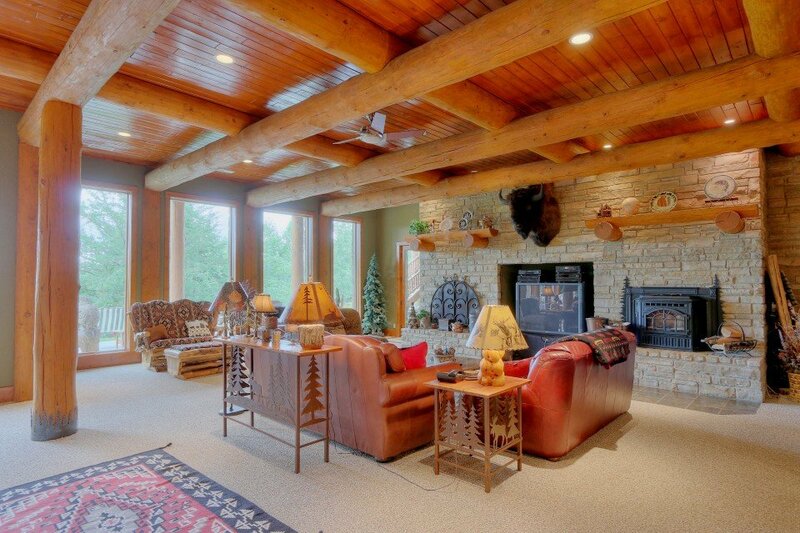 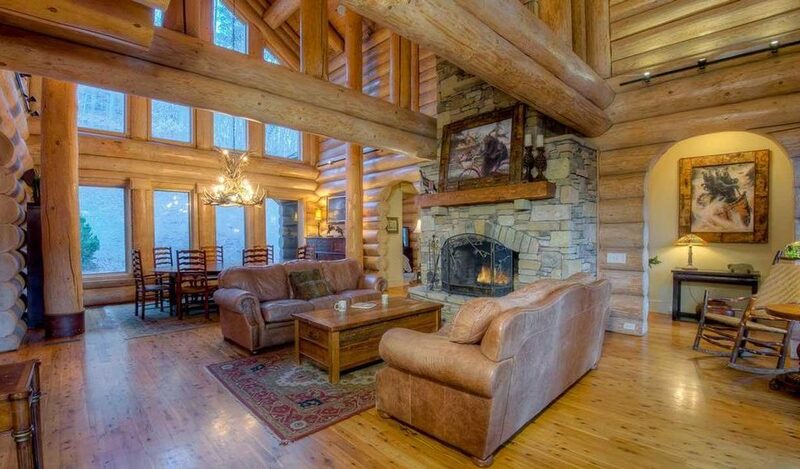 The cozy glow of Douglas Fir logs and 8 fireplaces warm the open spaces that soar to 34 foot vaulted ceilings! 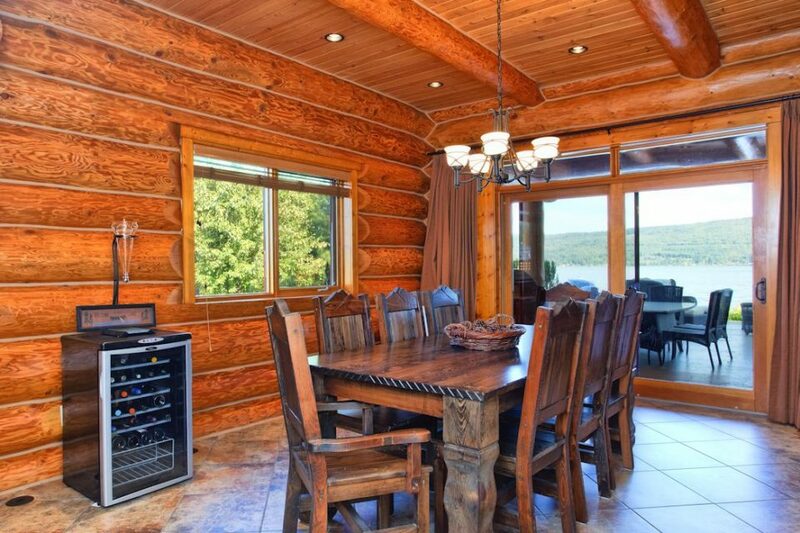 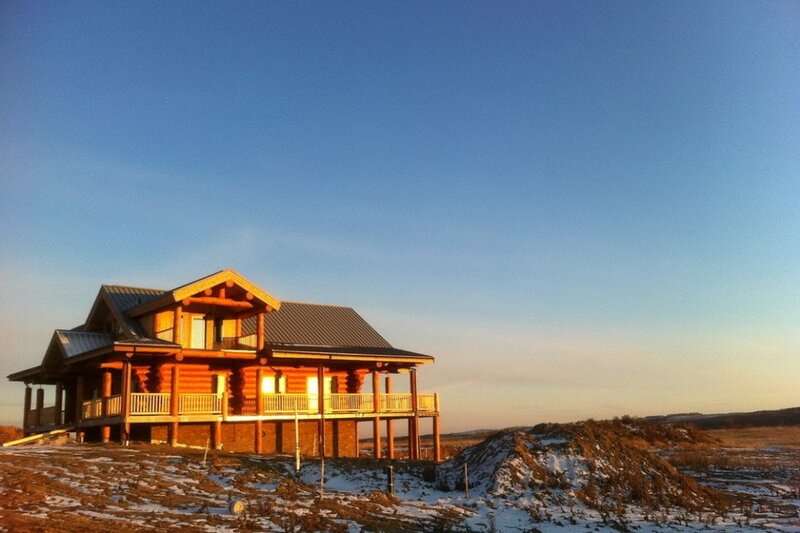 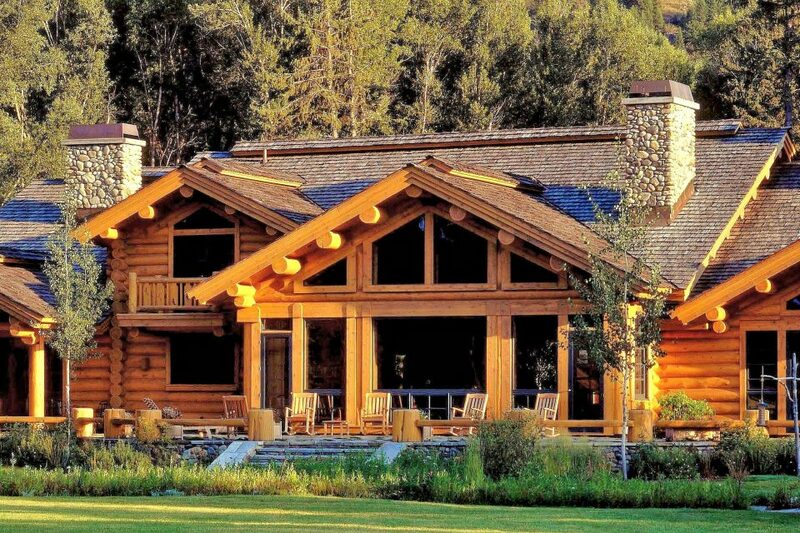 This log home was designed to take advantage of the incredible location and views. 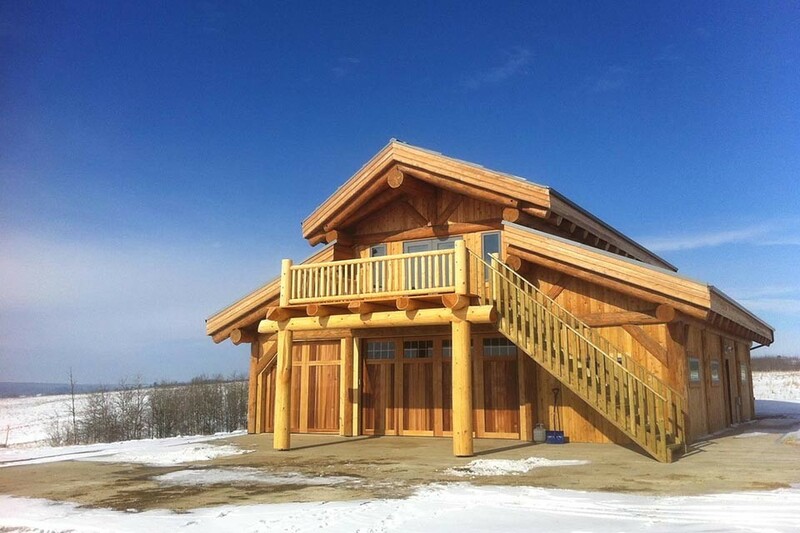 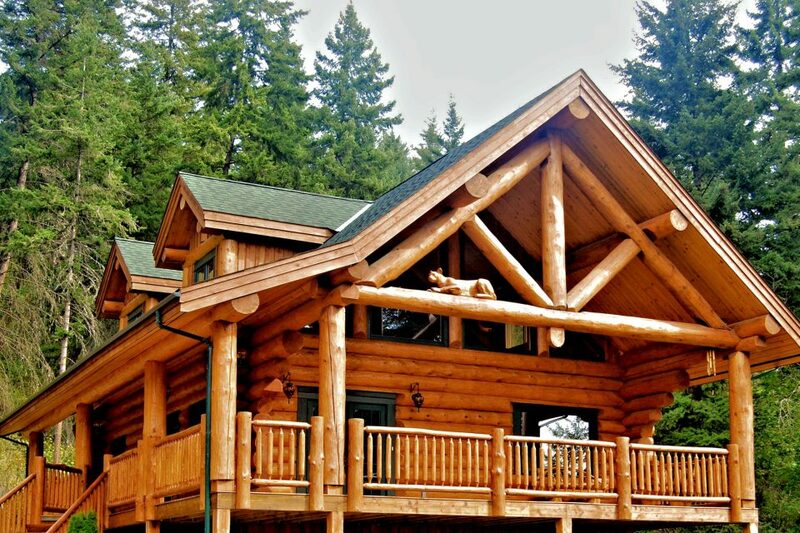 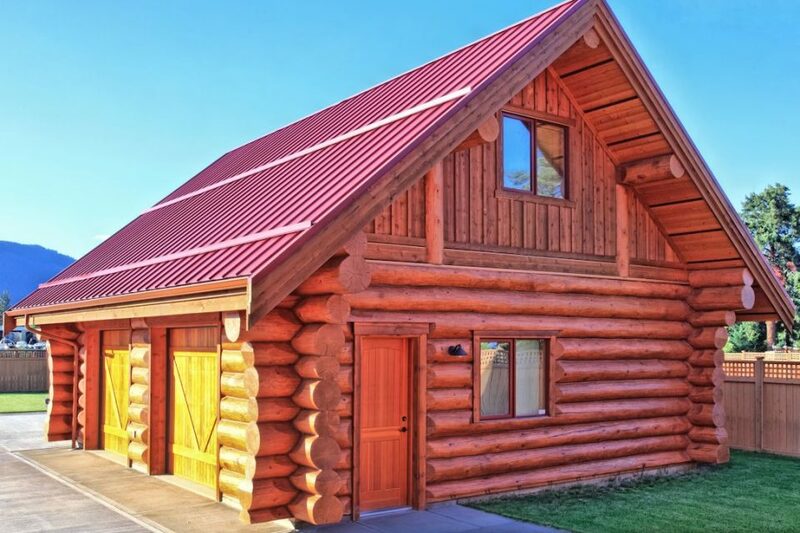 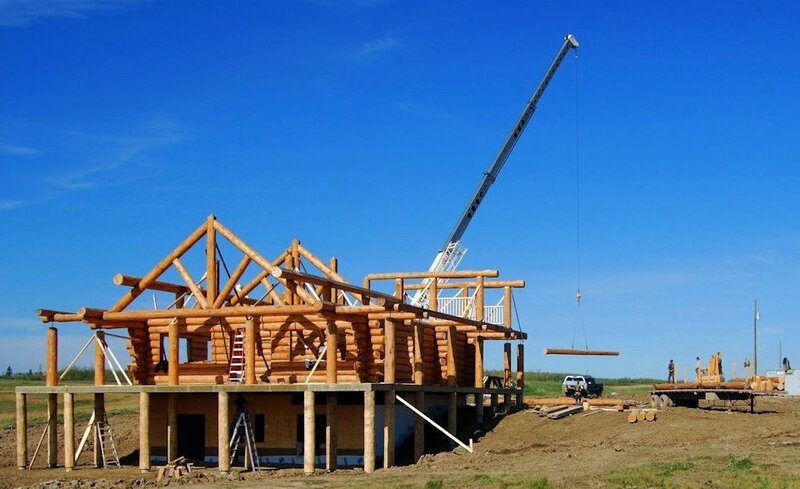 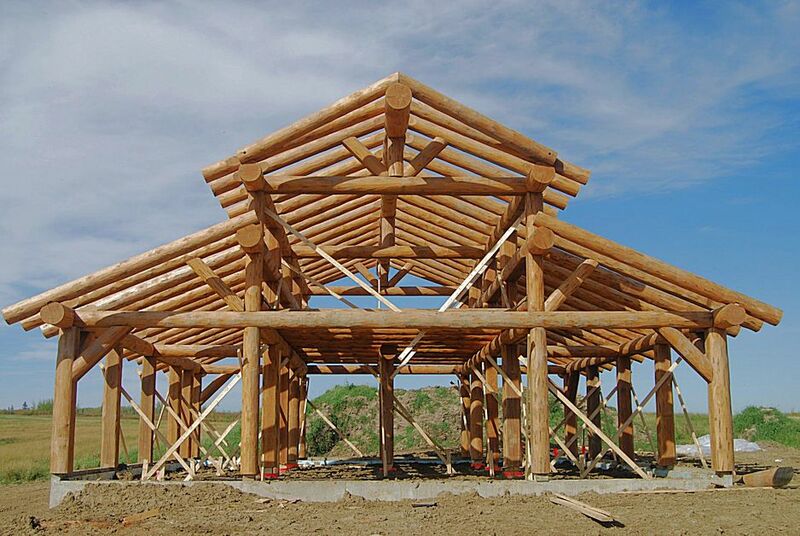 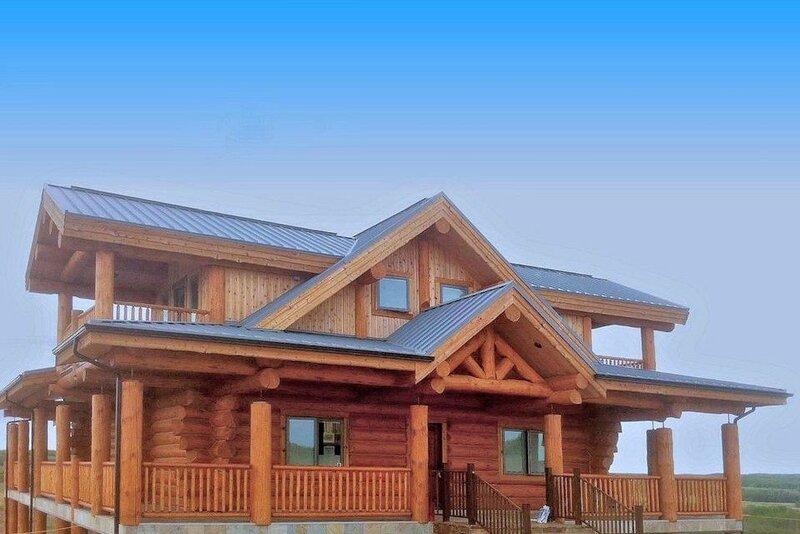 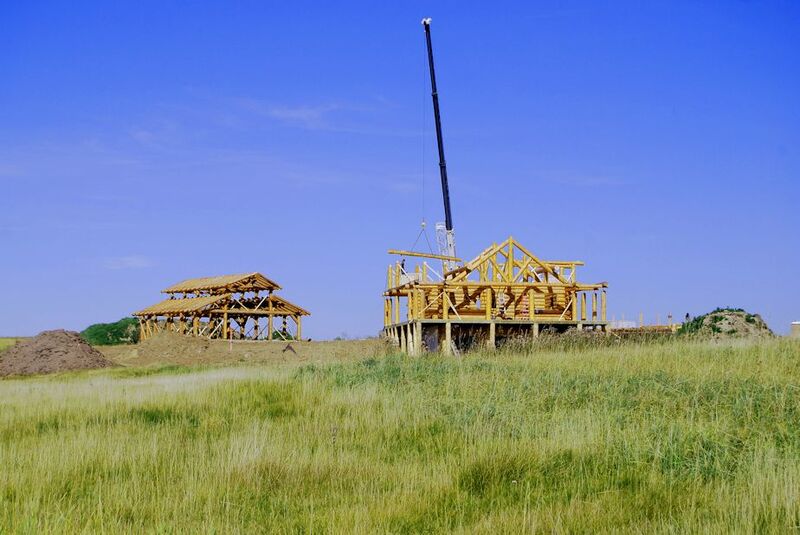 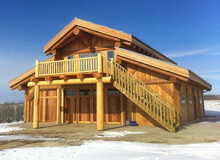 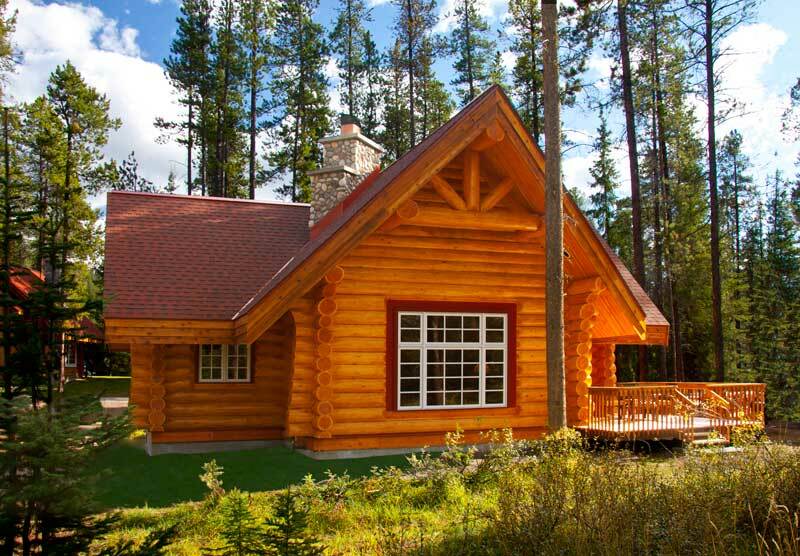 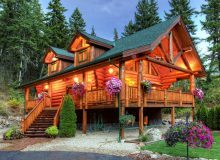 Design and plan your own custom country log home! 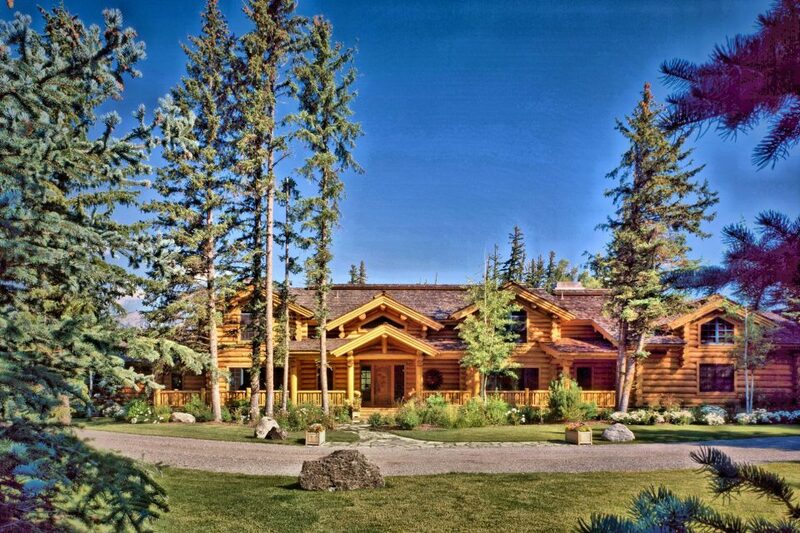 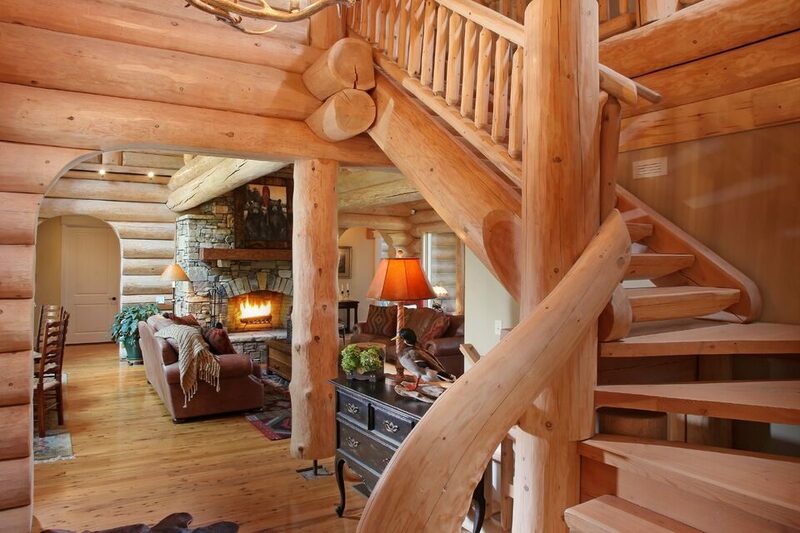 Proudly handcrafted in Canada of premium Douglas Fir logs, this Wyoming masterpiece will last hundreds of years. 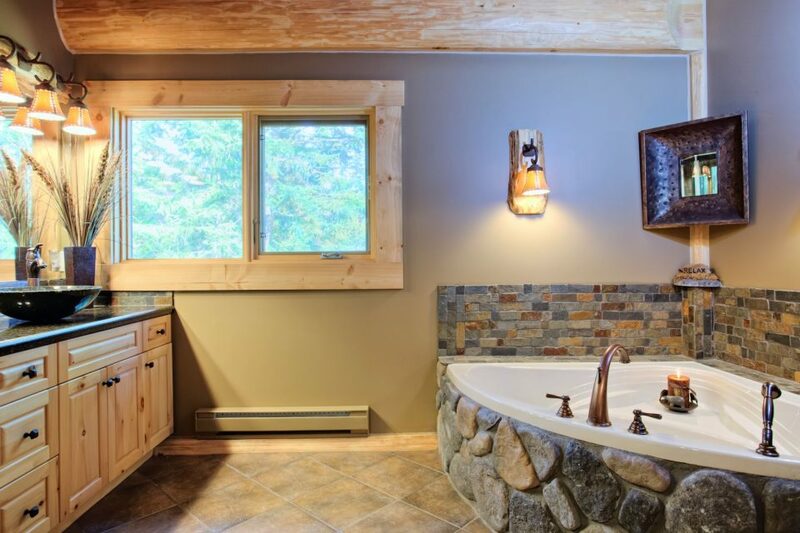 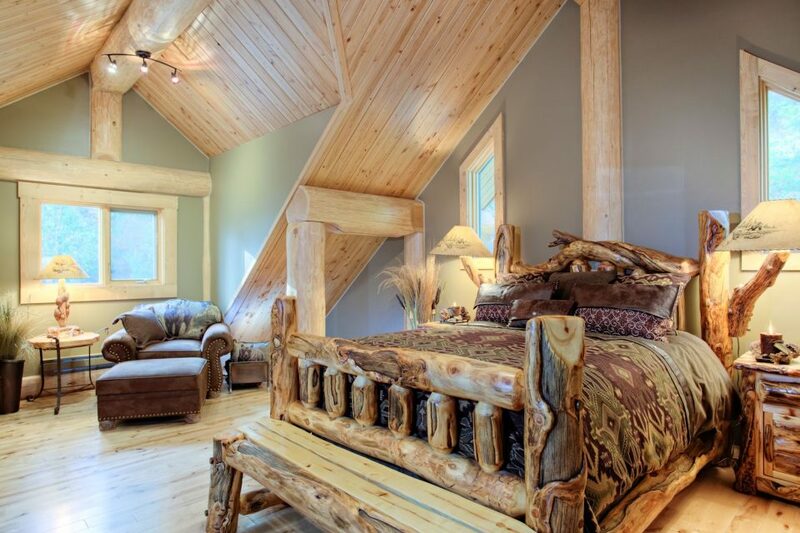 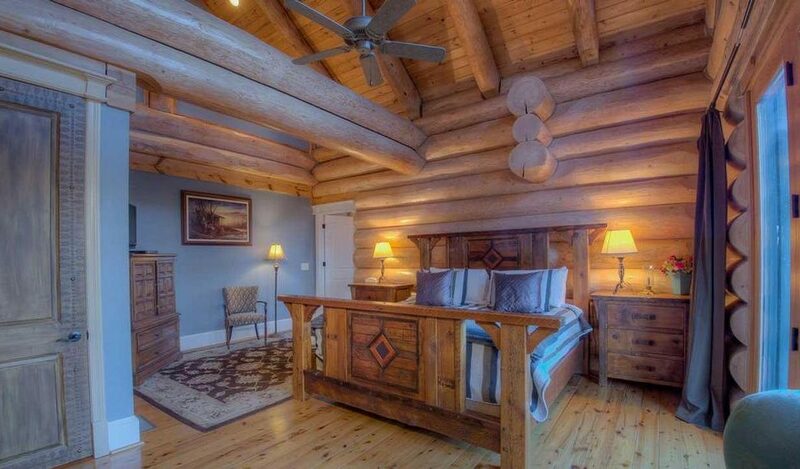 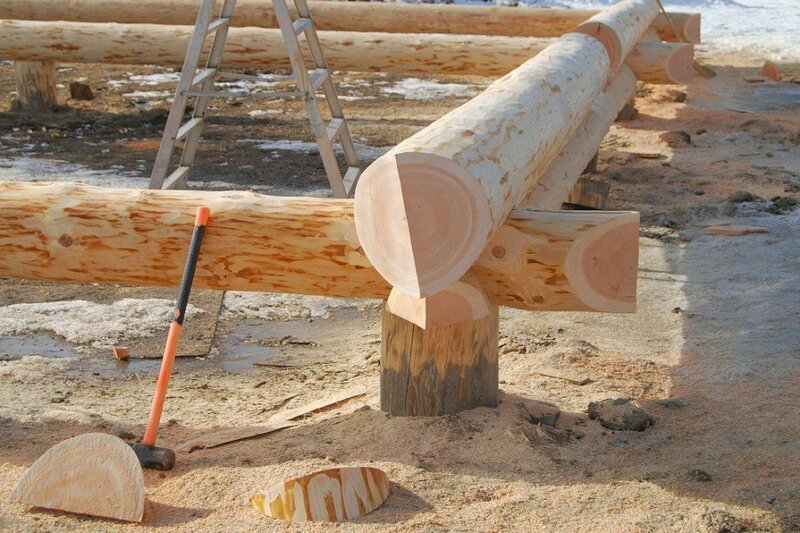 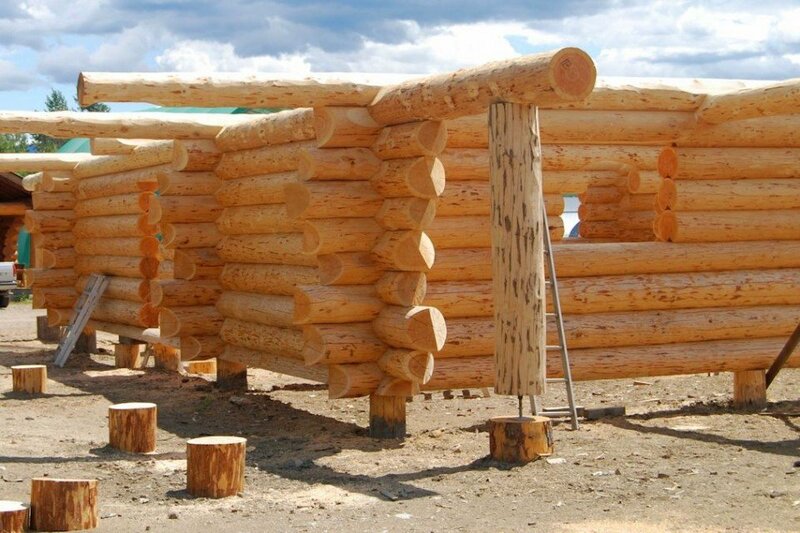 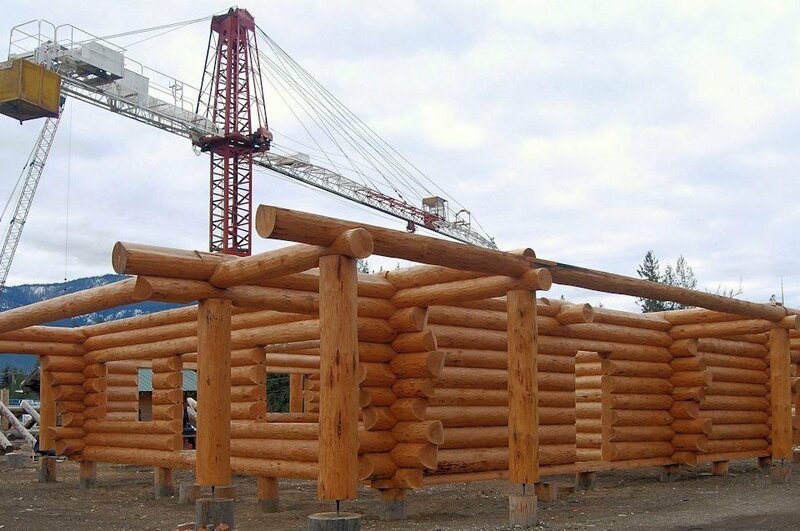 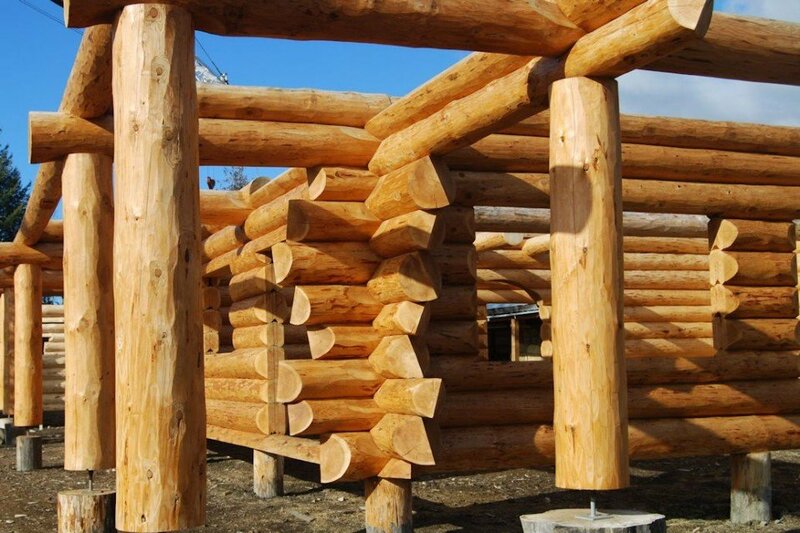 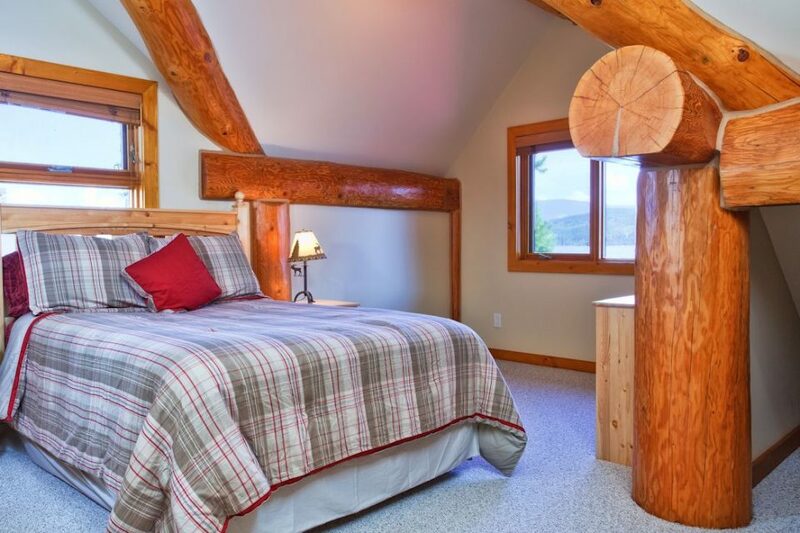 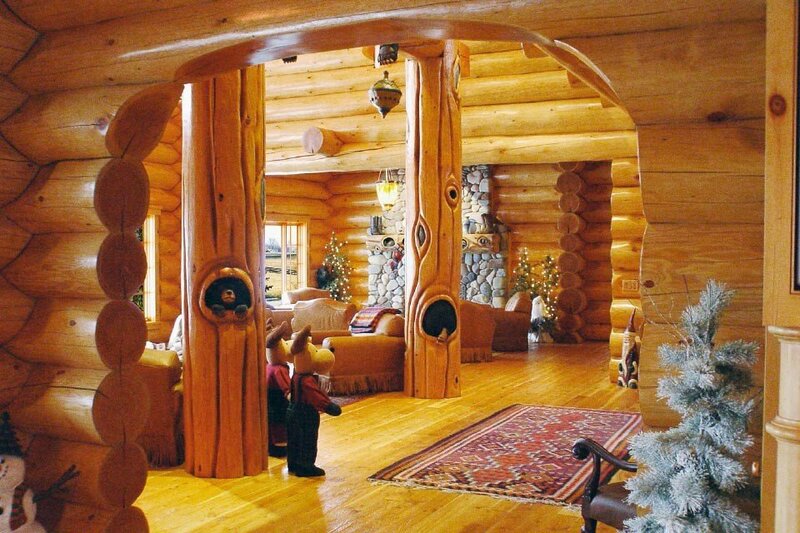 This is the level of craftsmanship you can expect in every log home from North American Log Crafters. 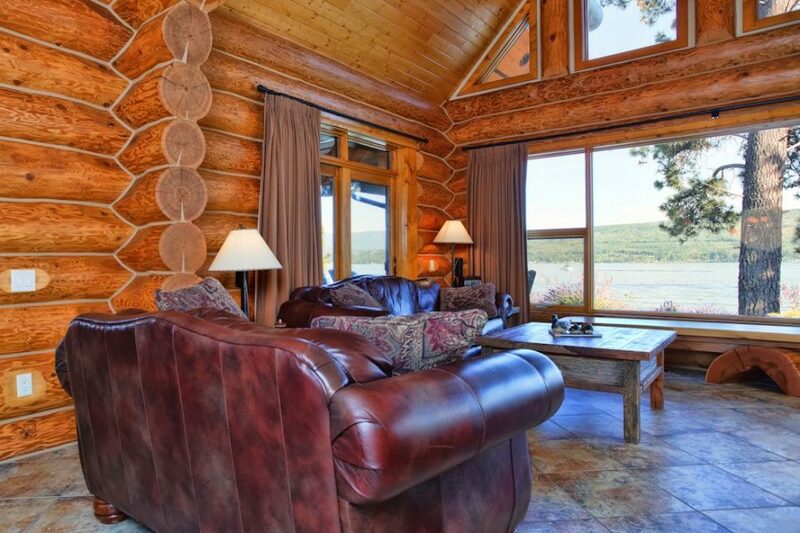 Cool in the Summer and cozy all year long, this log home on the beach is the where everyone wants to spend the holidays! 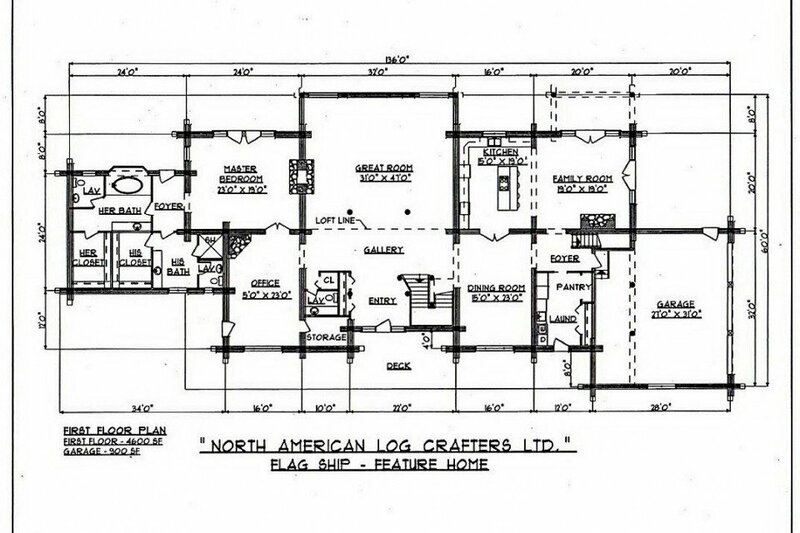 Our popular “Russell” log home plan with custom modifications…a little imagination turns a basic plan into a one-of-a-kind log home! 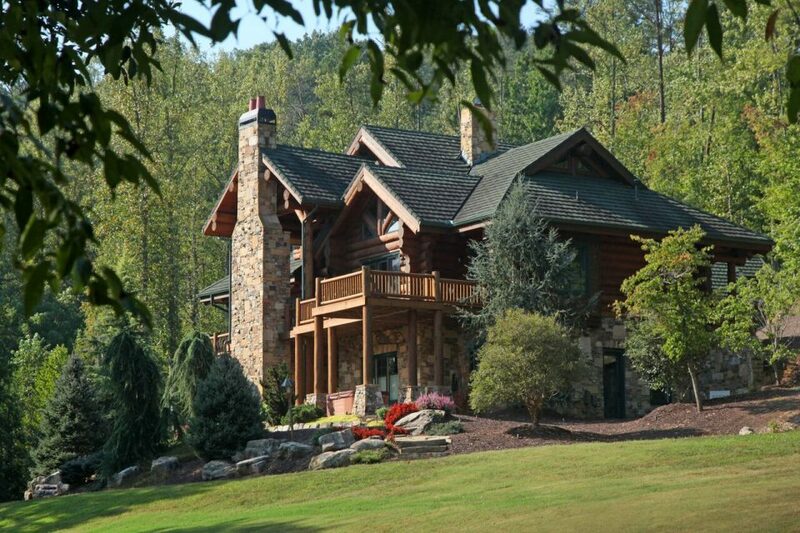 In North Georgia stands the commanding Ponderosa Lodge created of Douglas Fir handcrafted by North American Log Crafters. 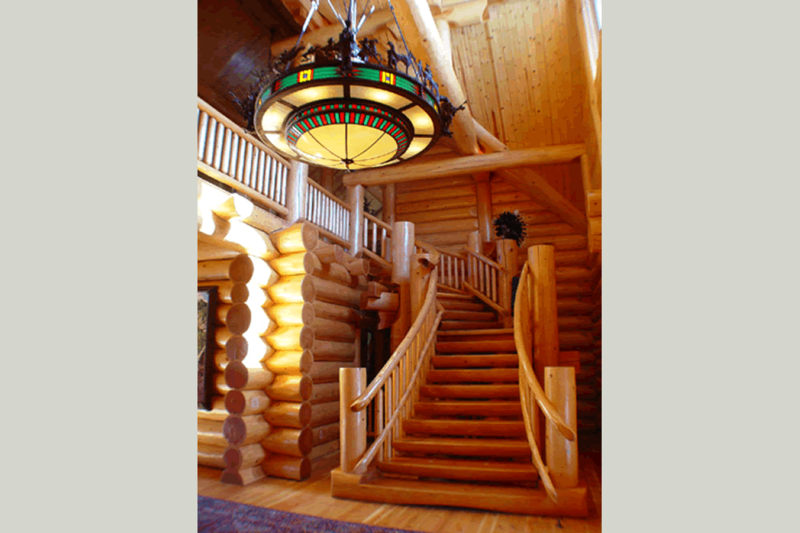 Superior finishing by local professionals resulted in a masterpiece of craftsmanship. 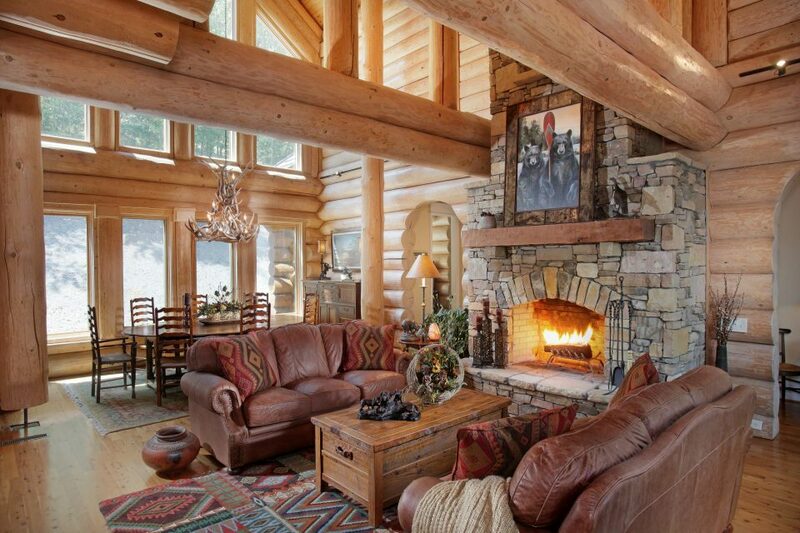 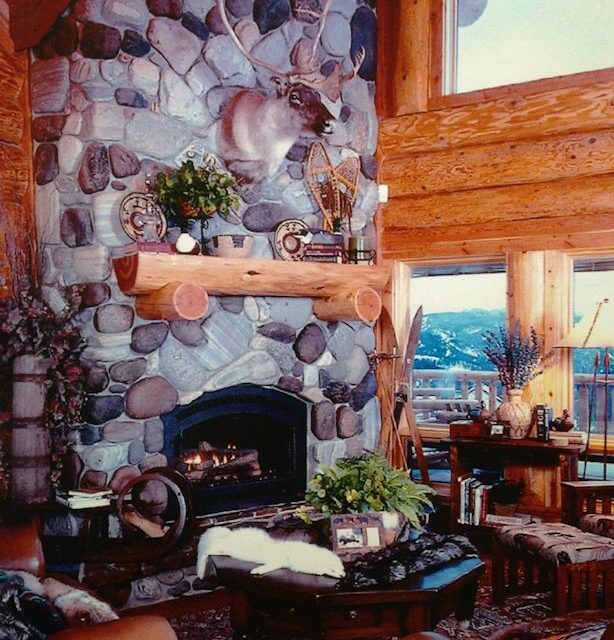 Local stone fireplaces set off a luxurious log home perfect for weekend guests. 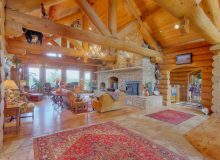 Four bedrooms with ensuites, two full kitchens and expansive indoor and outdoor living space make this the ultimate in country entertaining. 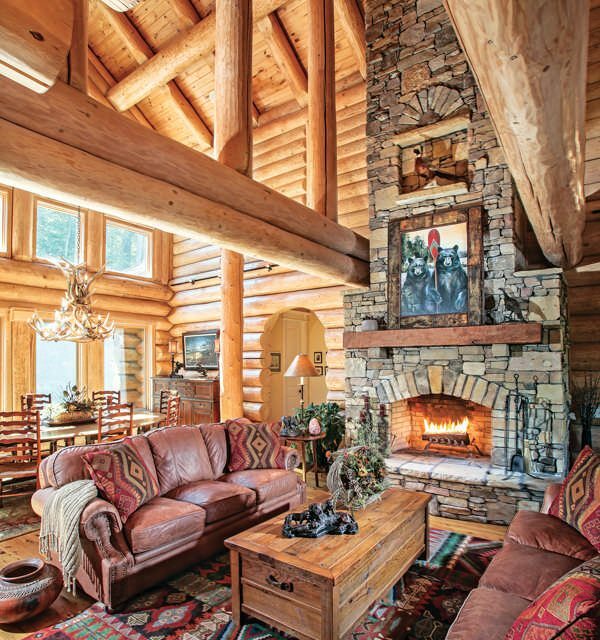 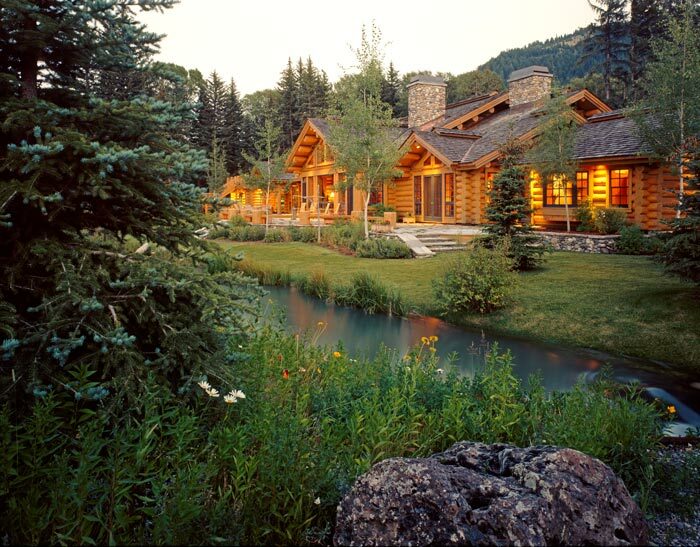 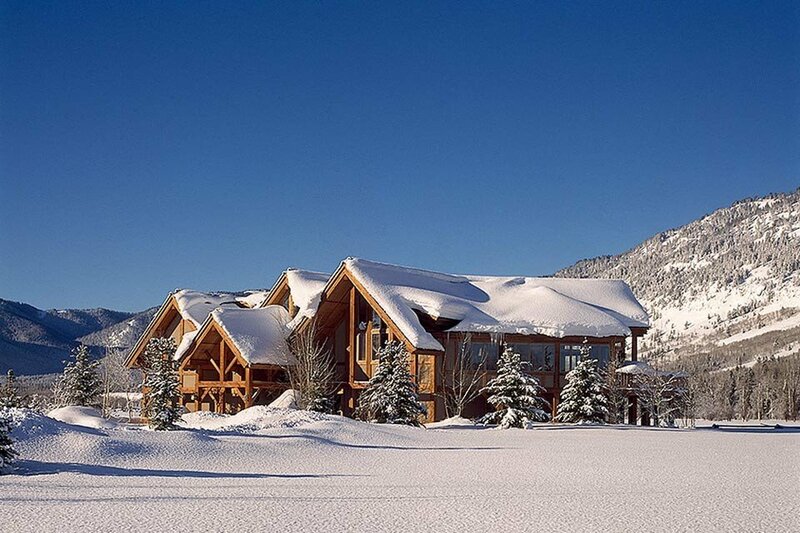 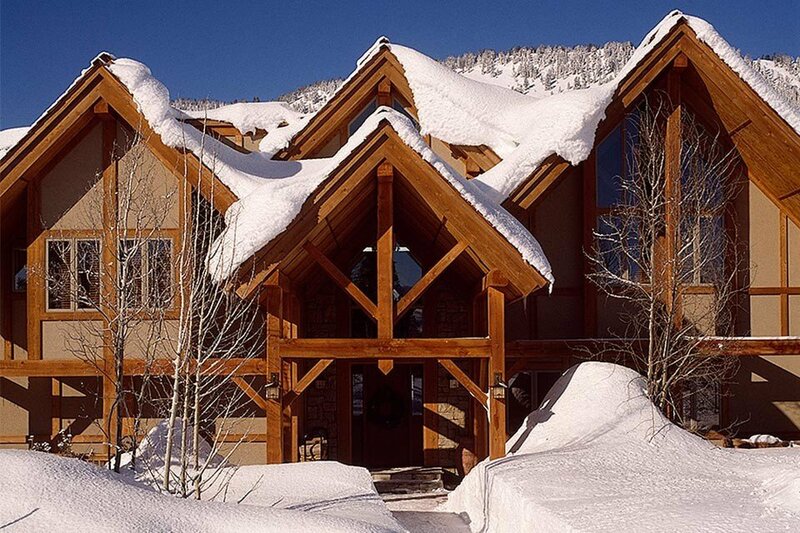 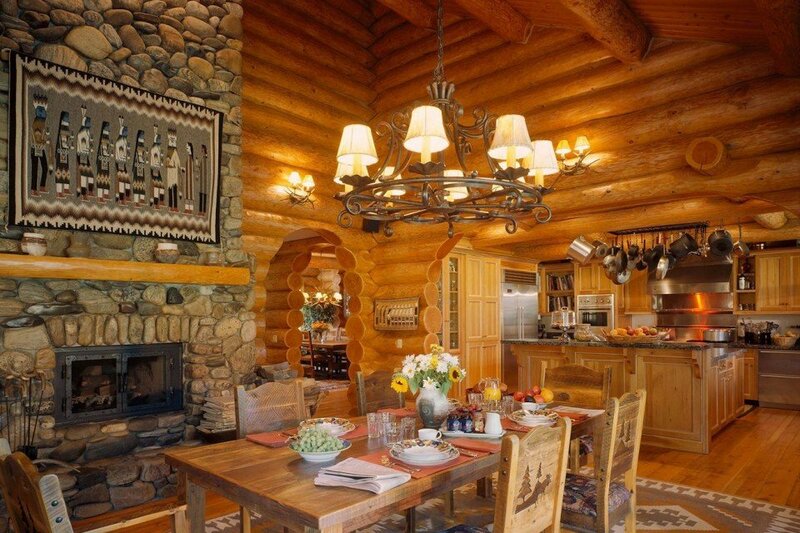 Massive timbers support and enhance the traditional style of this classic mountain home in Wyoming. 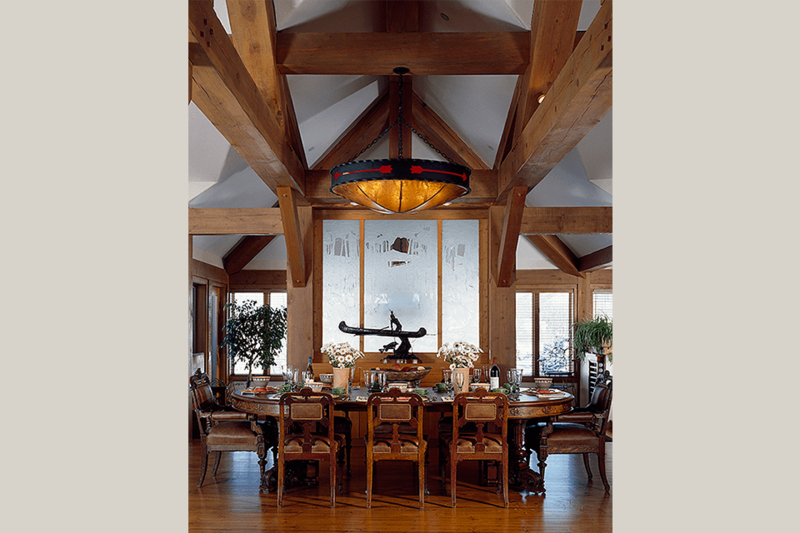 A true timeless beauty, this home blends timber frame design with casual lodge decor, its impressive beams warming soaring spaces full of natural light. 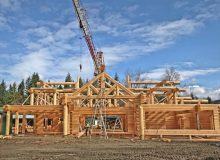 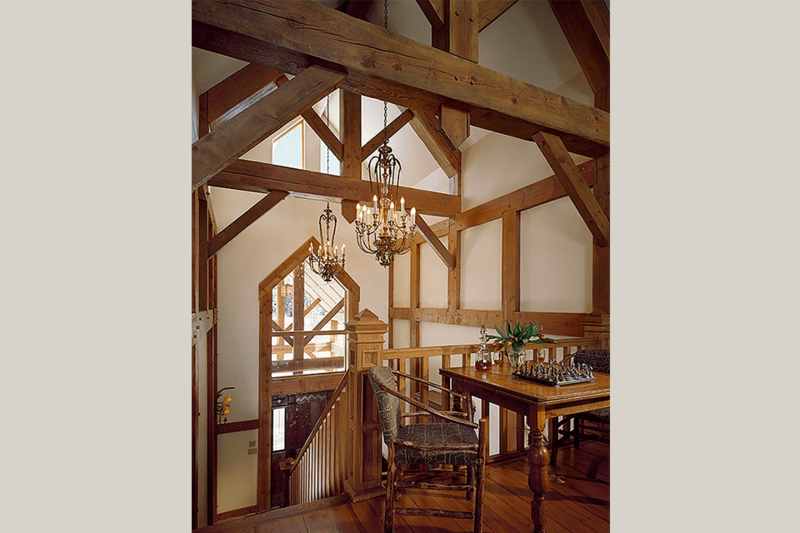 One of the oldest home building techniques, Timber Frame showcases the beauty of wood and the skill of the craftsman! 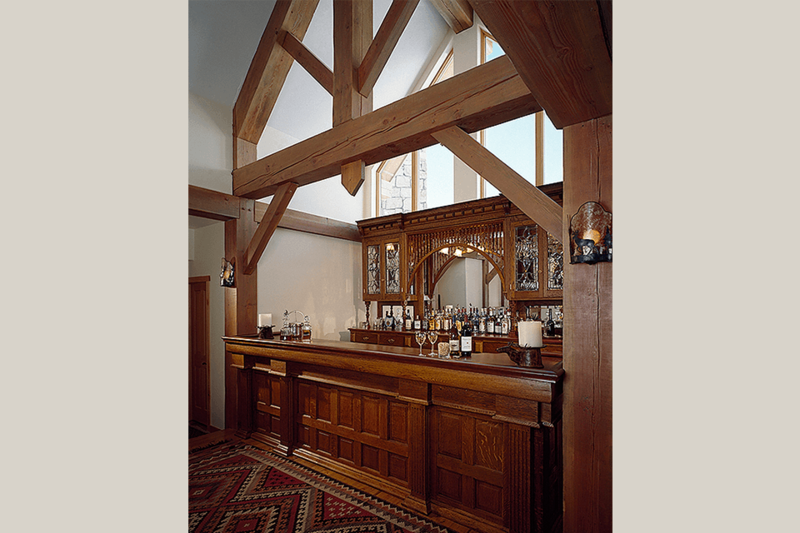 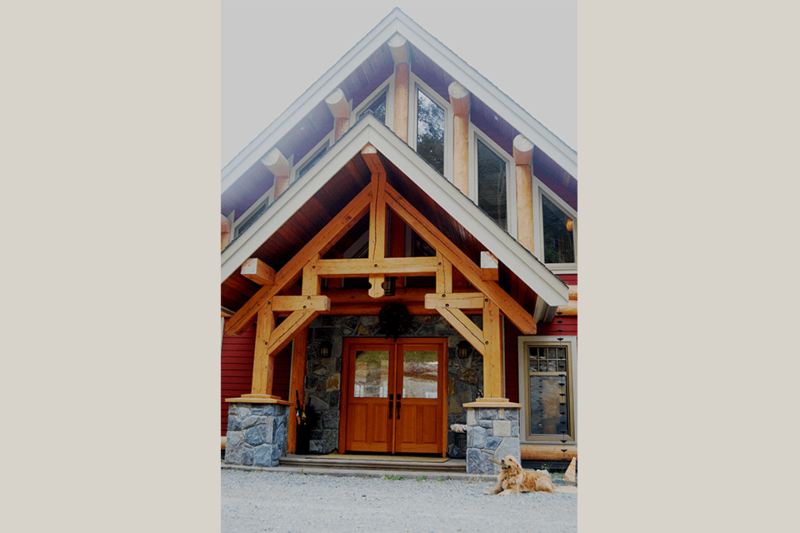 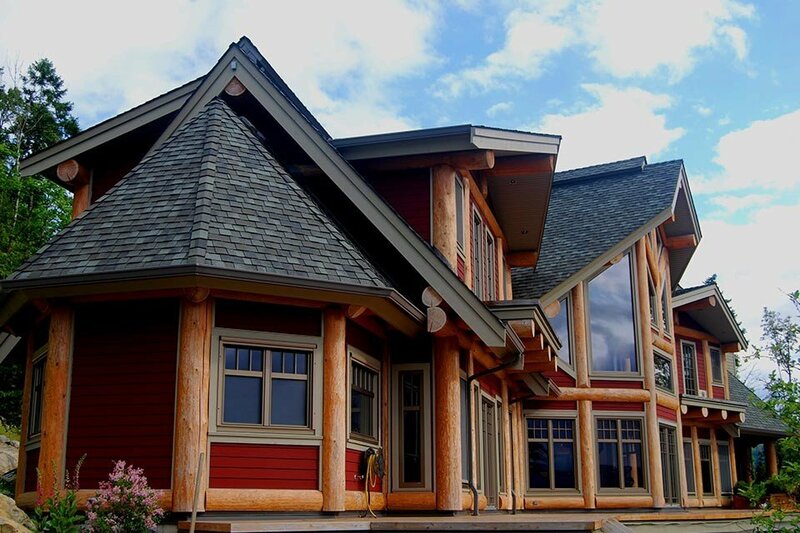 Ask how timber frame or timber elements can add structural strength and visual impact to your custom home. 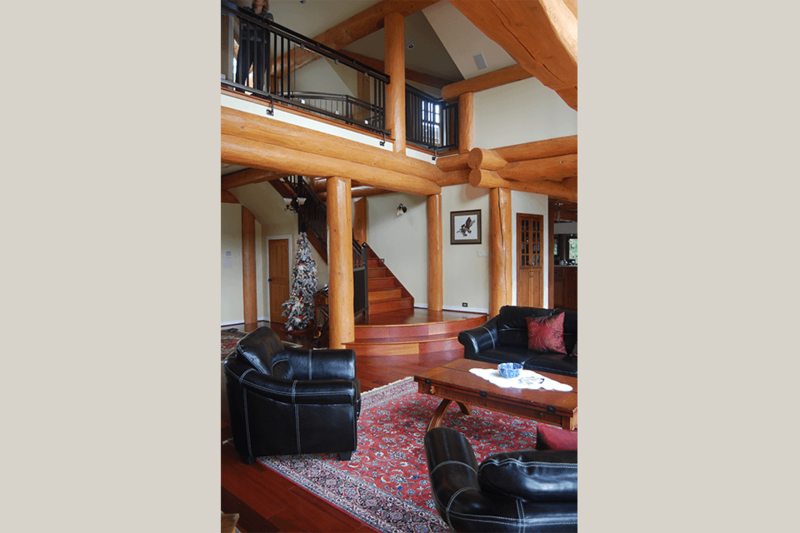 High above Shawnigan Lake on Vancouver Island this spectacular post and beam home is visible for miles and commands a birds’ eye view of the scenery. 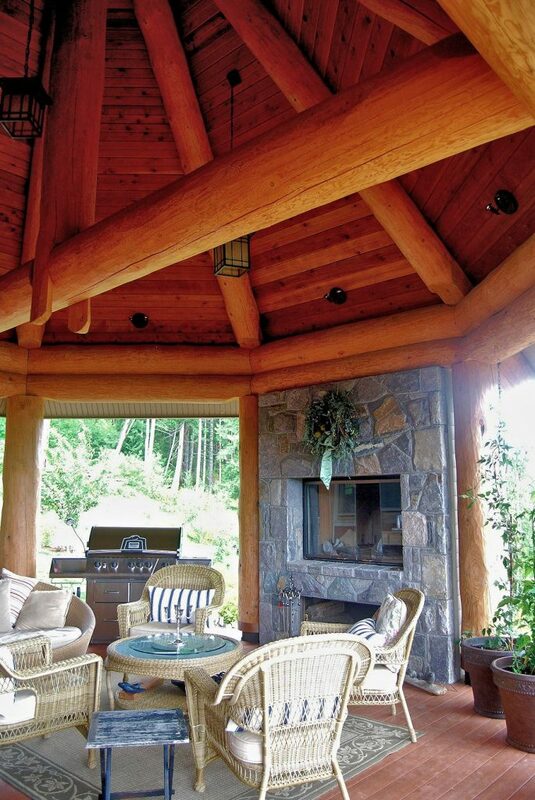 Unique covered outdoor entertaining spaces allow the owners to enjoy the island air in any weather. 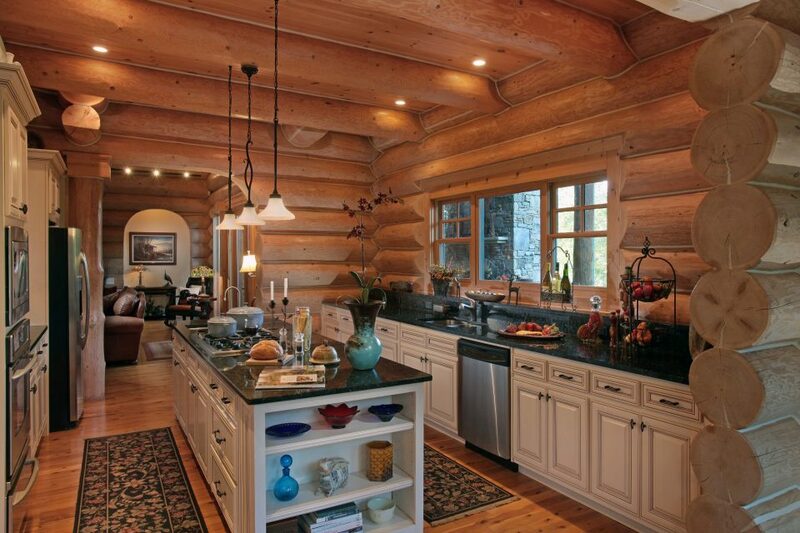 Large scale log work and carefully selected interior finishes create casual elegance throughout this inviting home. 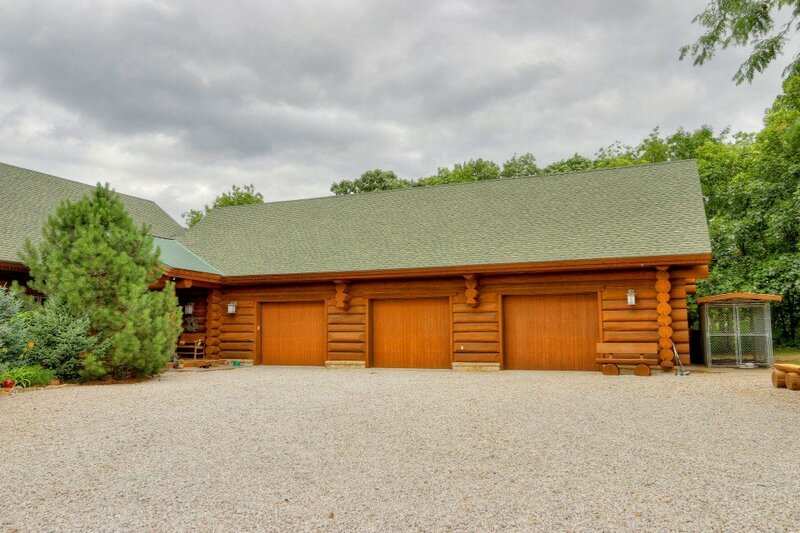 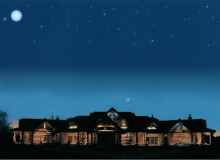 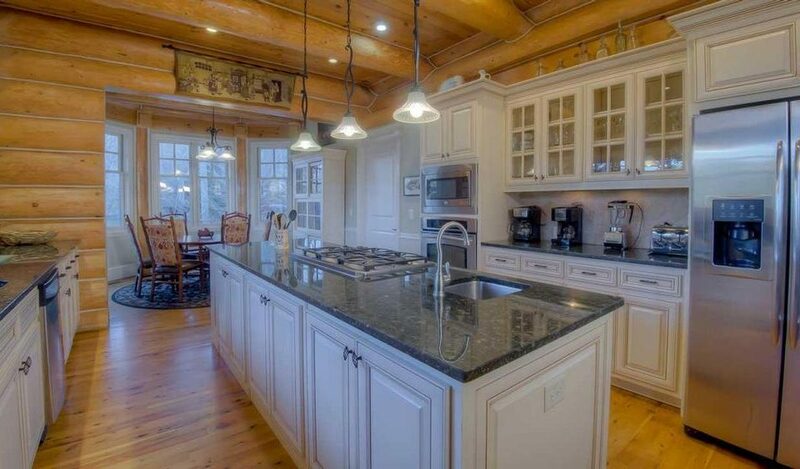 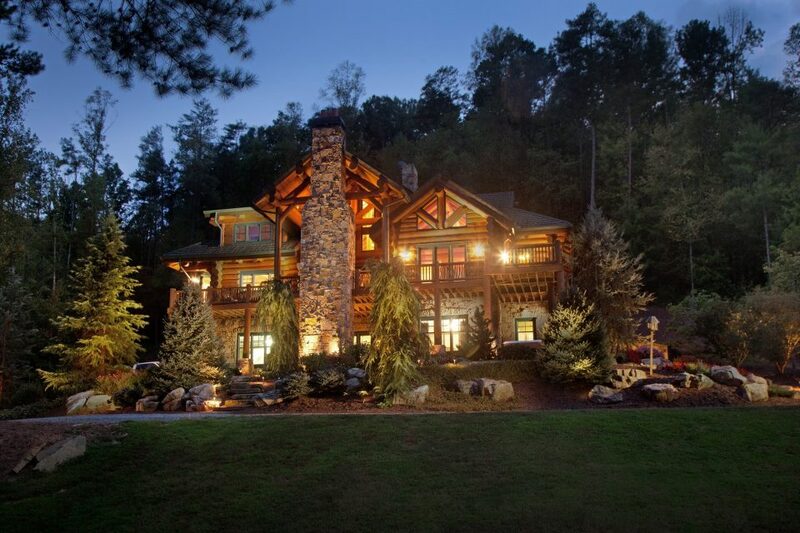 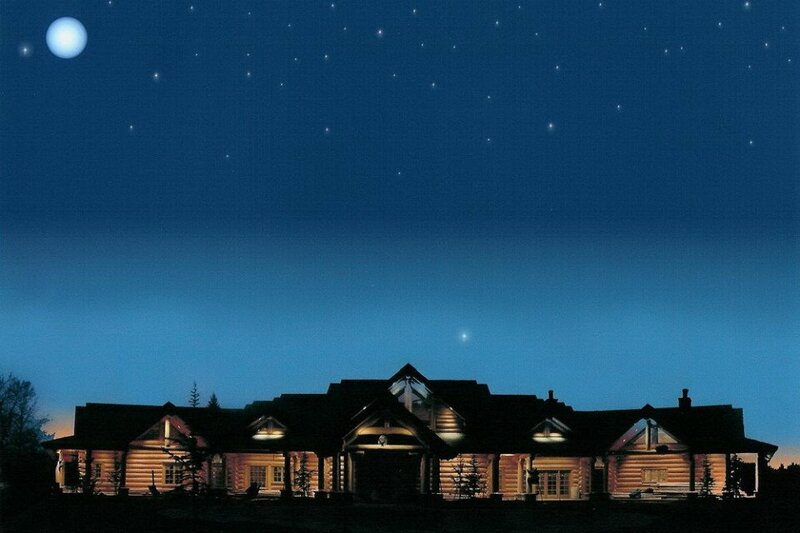 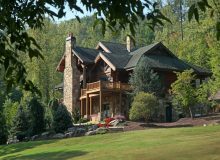 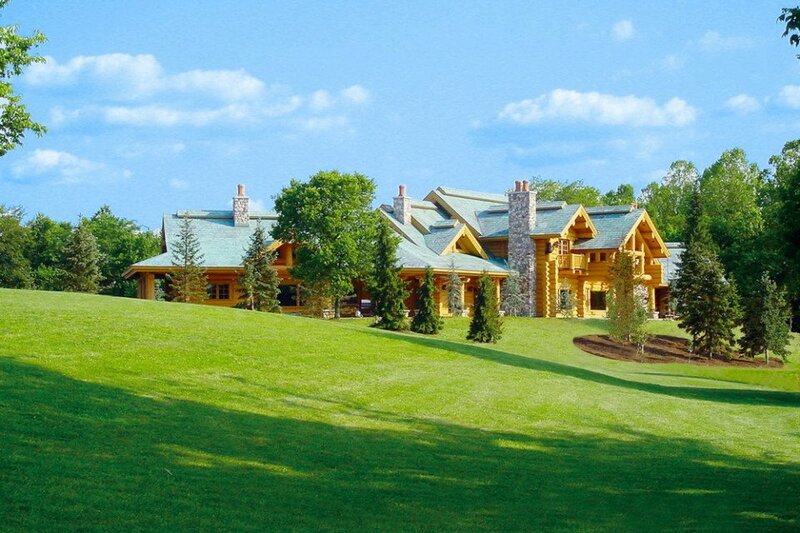 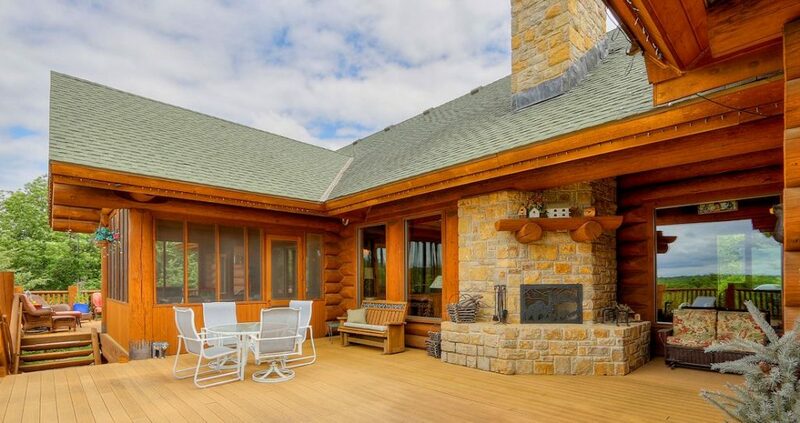 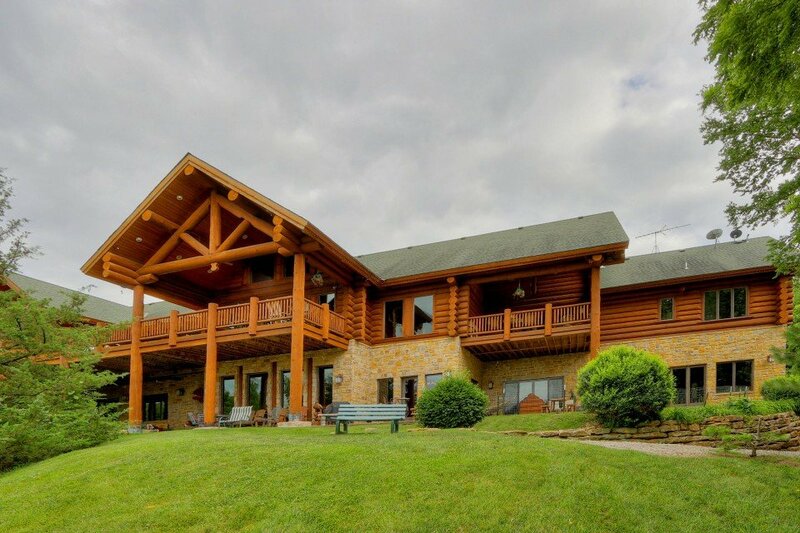 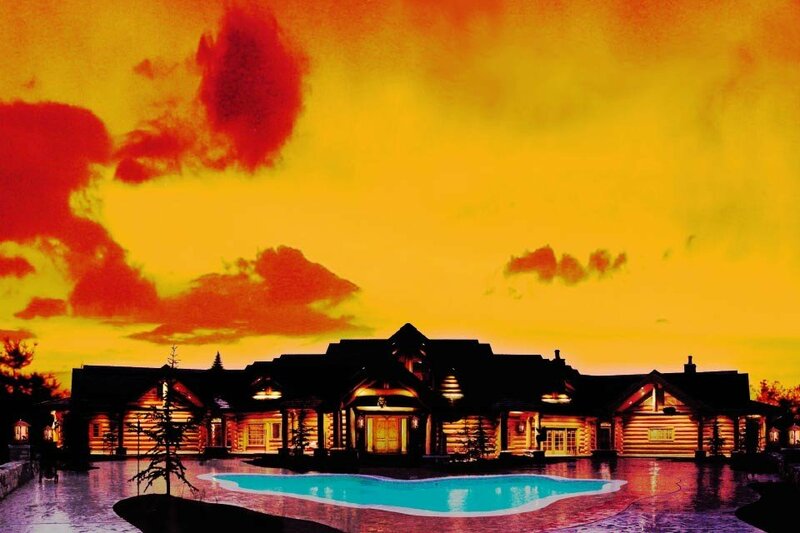 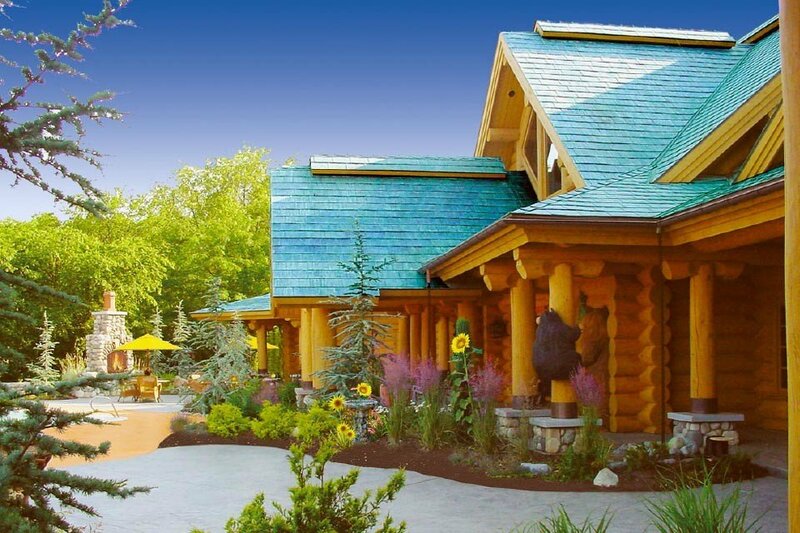 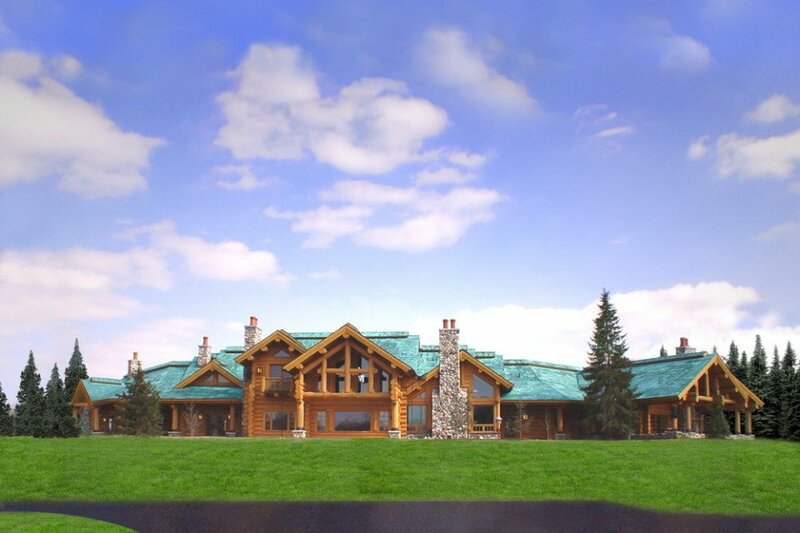 This 9000 square foot log home in Ohio is a handcrafted masterpiece with its own special charm. 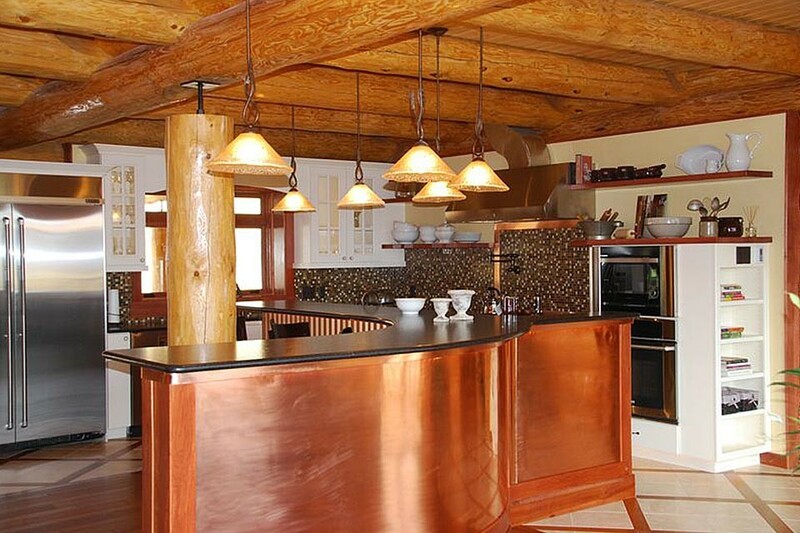 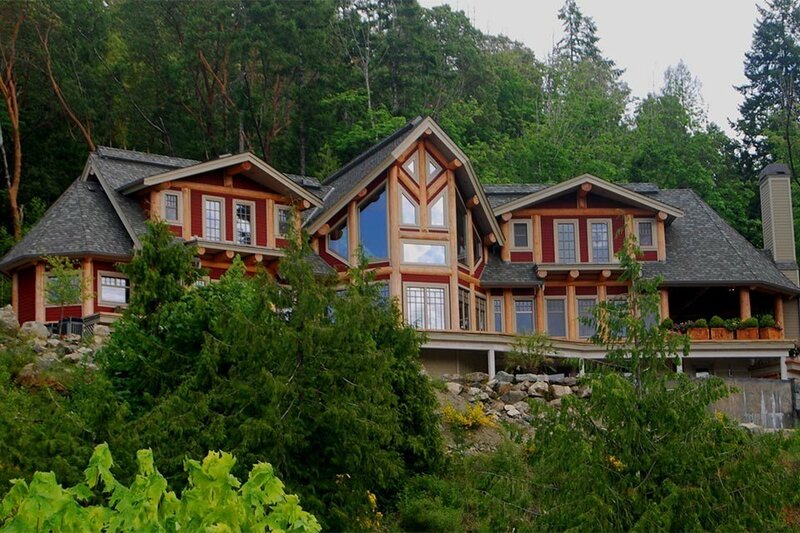 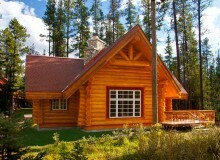 Constructed with large Douglas Fir logs, the unforgettable custom design is topped with an eye catching copper roof. 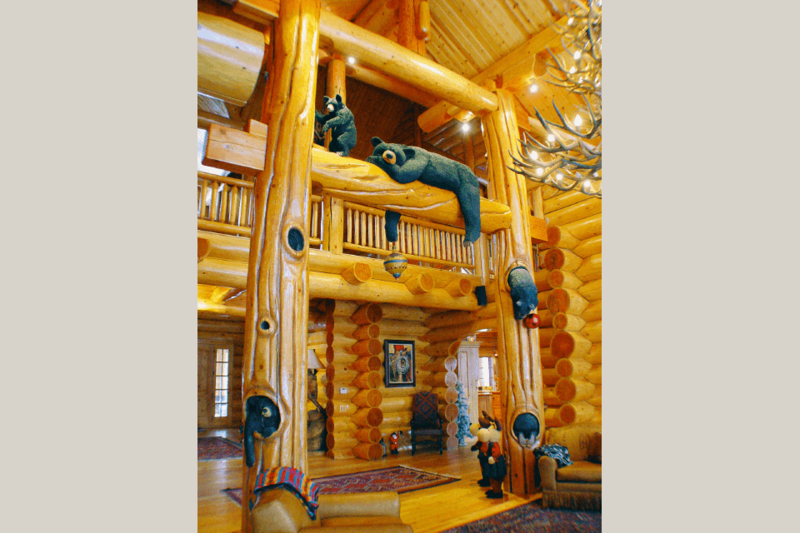 The many black bears carved into the logs throughout this impressive estate home express the client’s whimsical style. 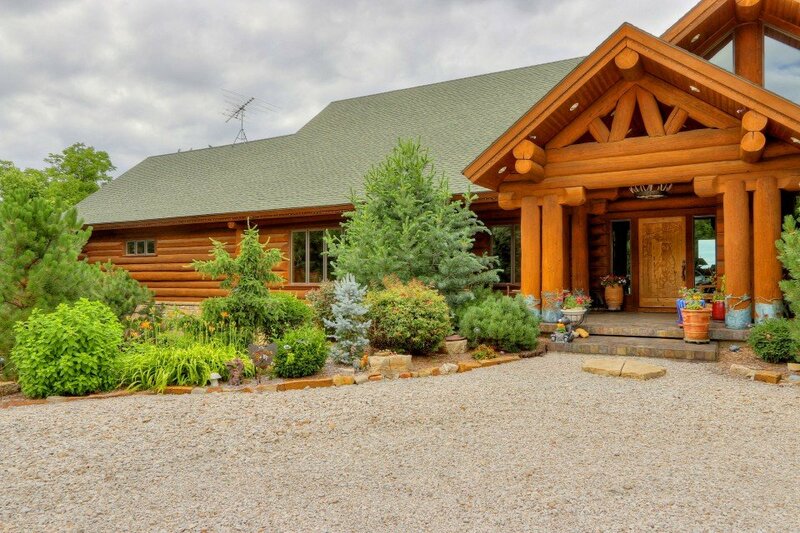 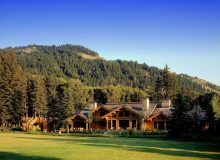 Along the Clark Fork River under Montana’s big sky, a working ten thousand acre ranch boasts a cleverly designed log home that functions as efficiently as its hardworking owners. 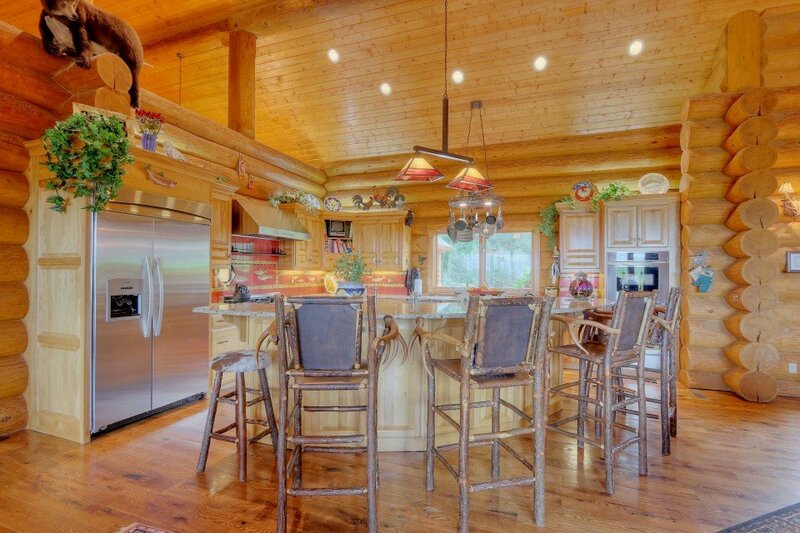 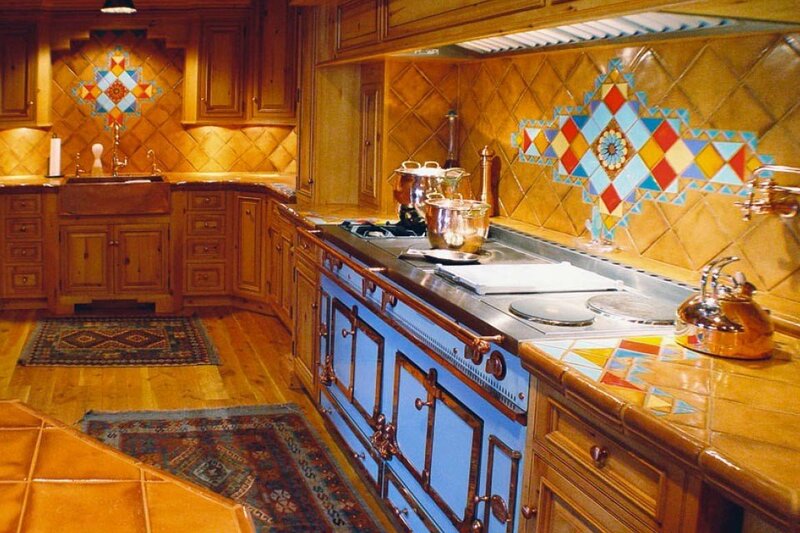 The kitchen with its many professional upgrades and large adjoining butler’s pantry is equipped to feed any number of hungry ranch hands. 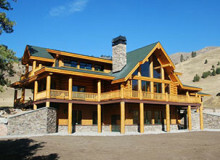 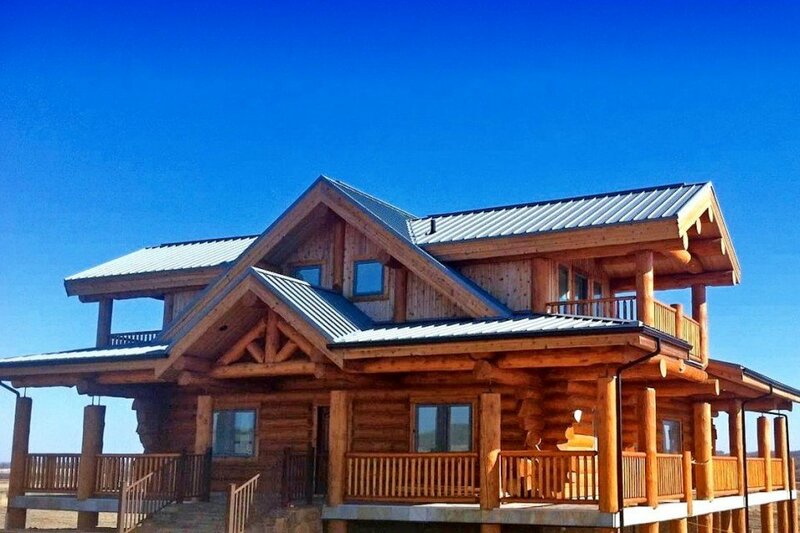 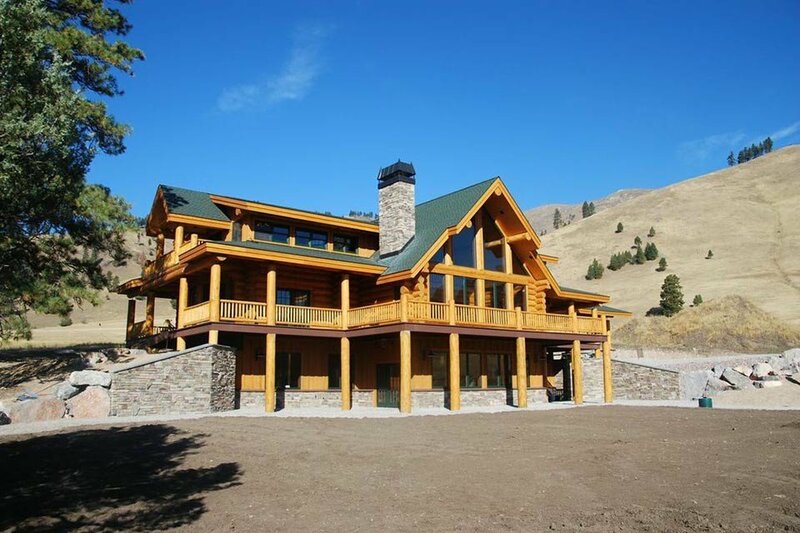 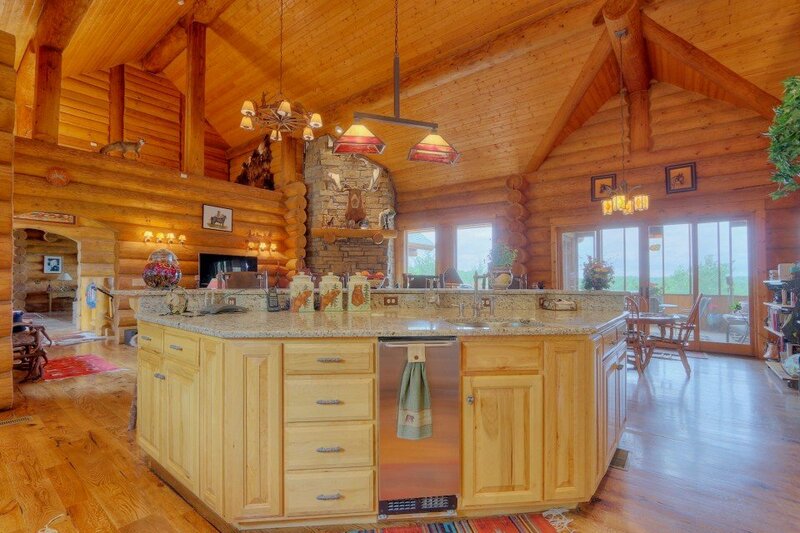 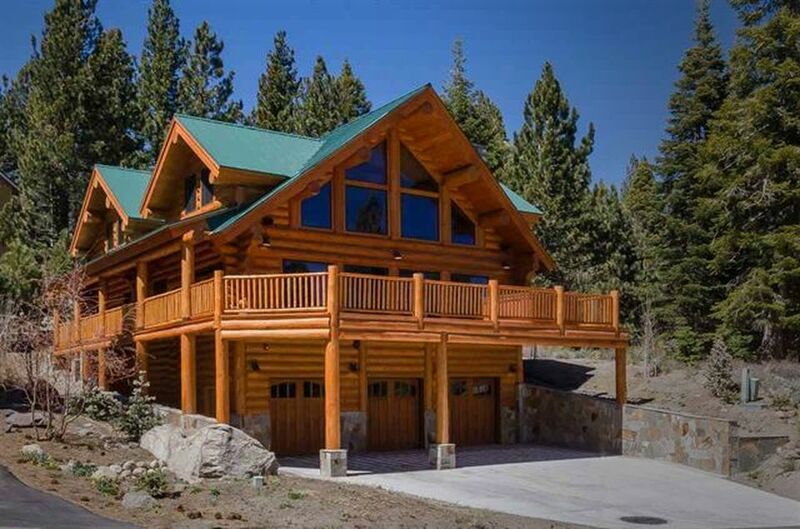 This country log home beauty attracted crowds when it was opened to the public during the 2011 Missoula Parade of Homes. 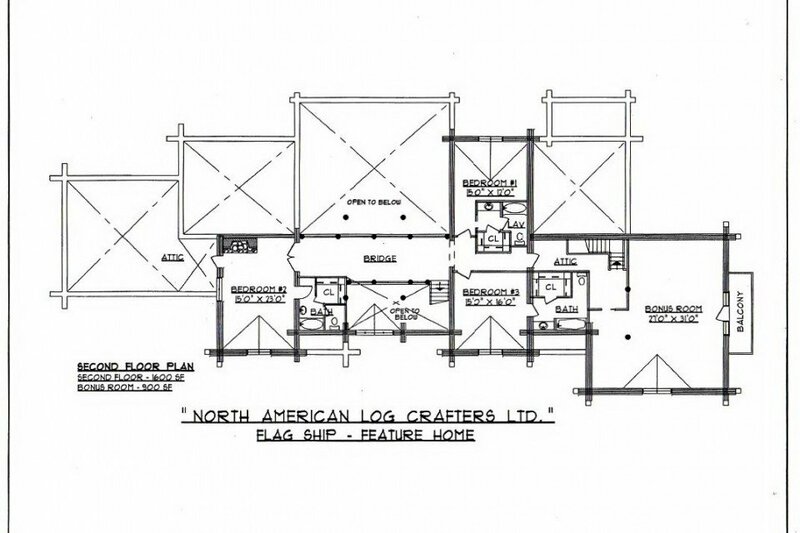 View our Plans Gallery to see other log home plans.